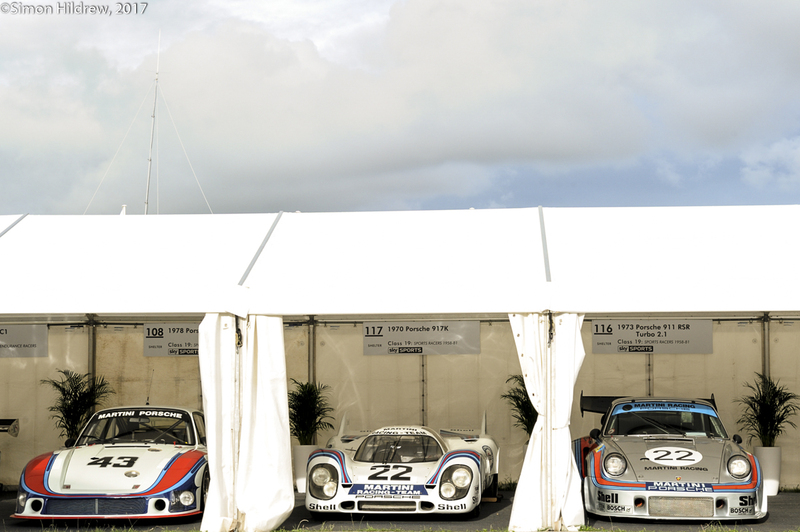 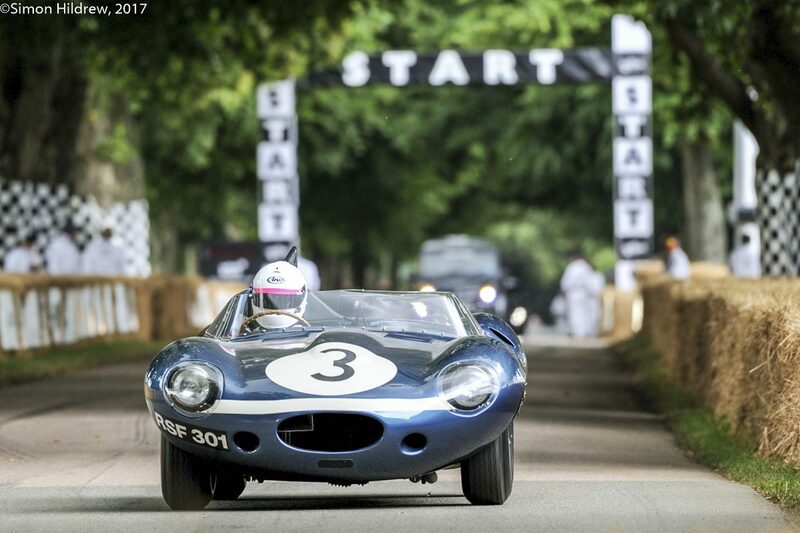 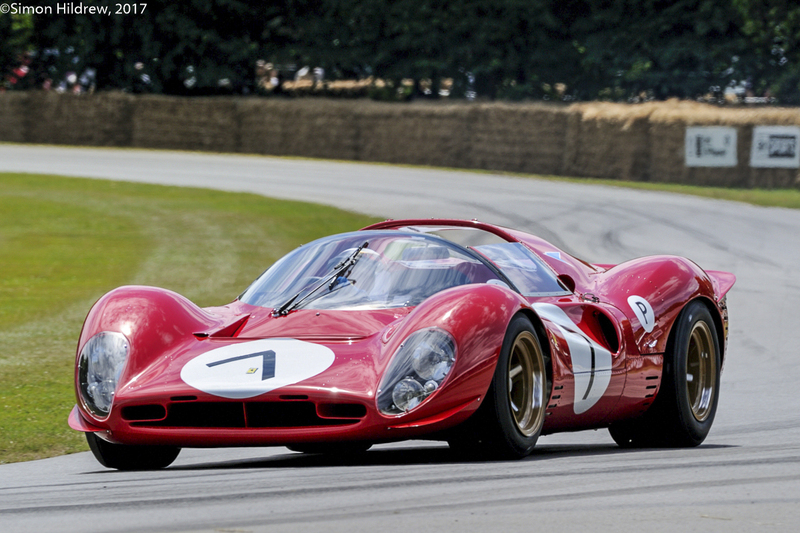 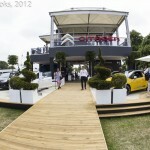 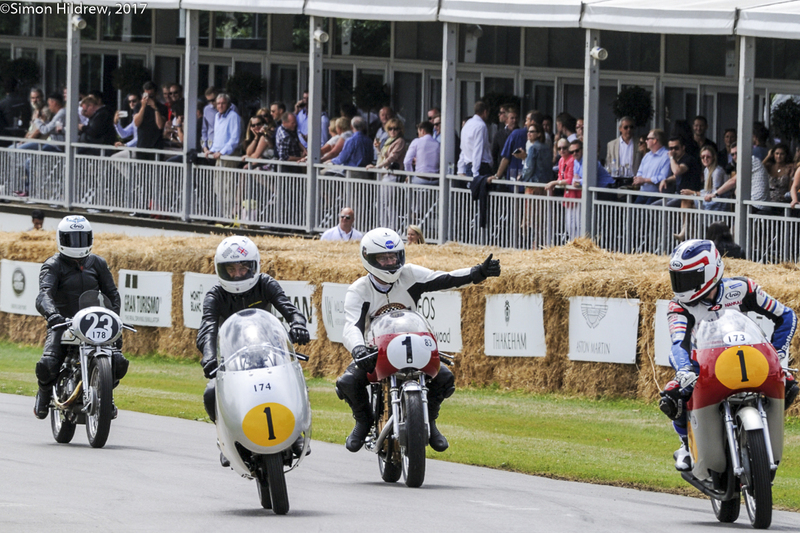 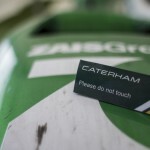 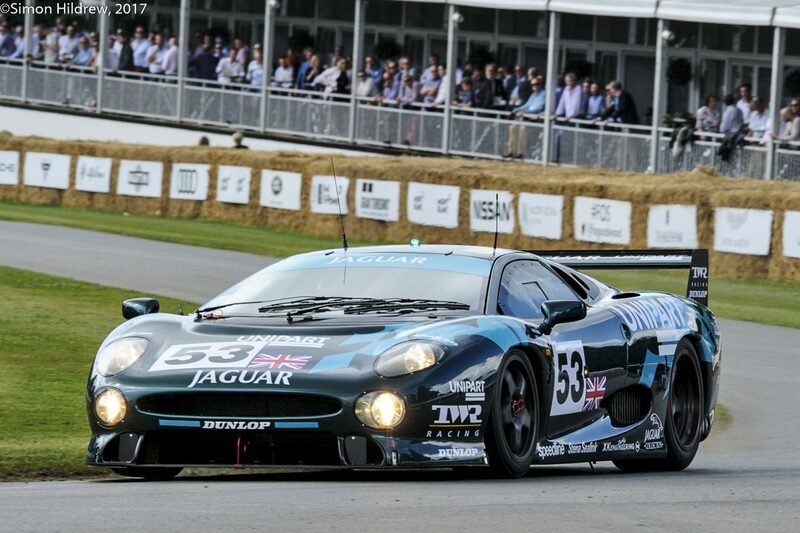 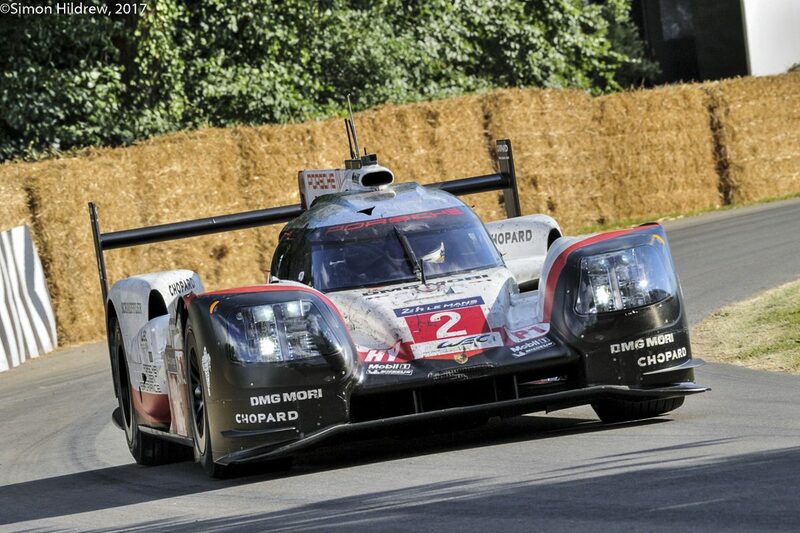 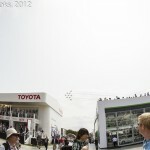 Time to wrap up the coverage from Goodwood. 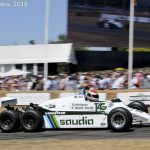 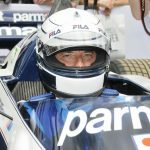 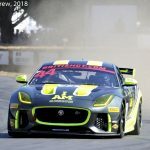 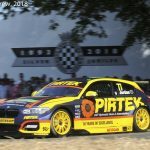 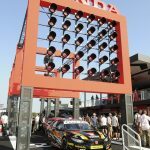 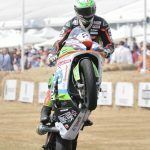 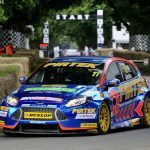 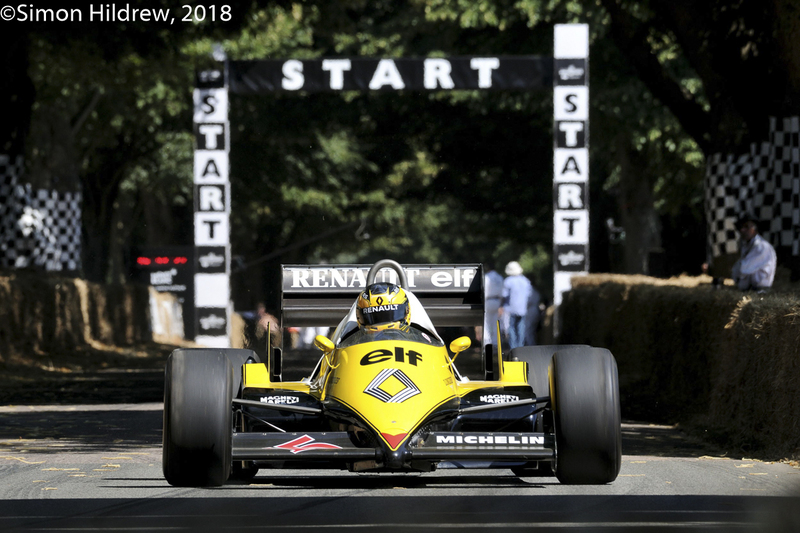 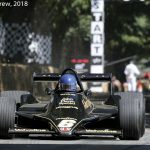 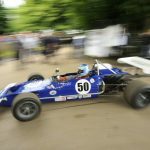 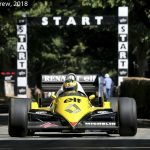 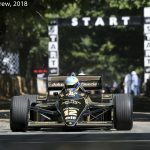 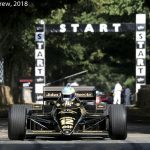 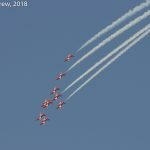 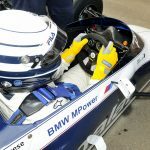 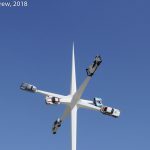 Simon Hildrew was clearly on pole position in the Photographic Grand Prix……………here are some highlights from his triple stint. 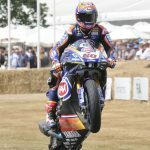 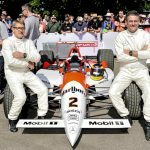 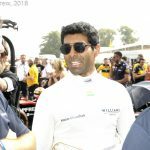 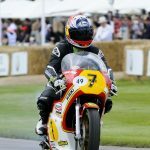 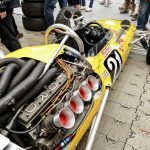 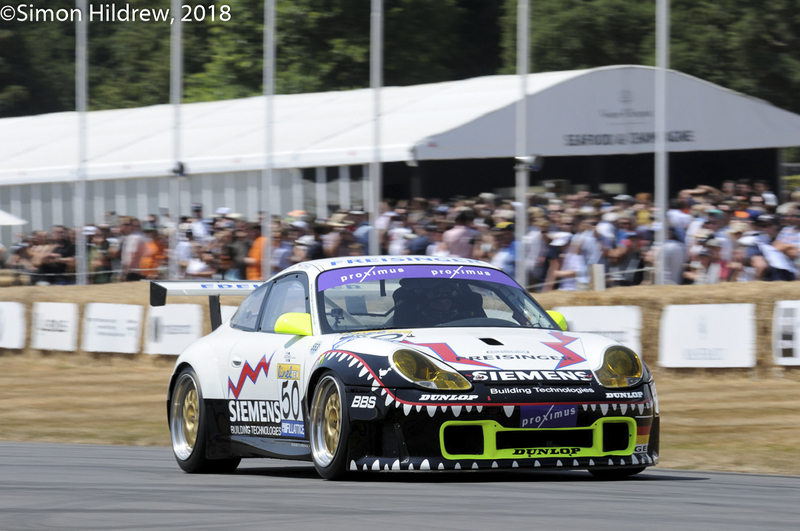 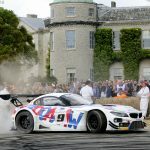 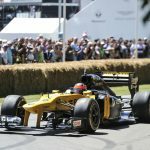 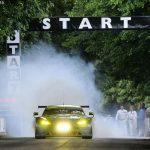 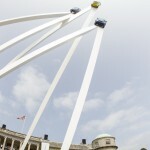 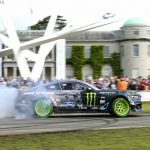 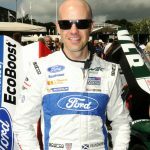 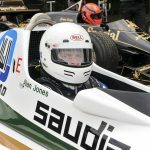 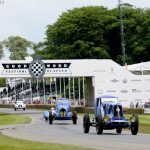 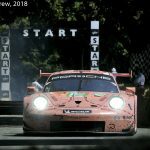 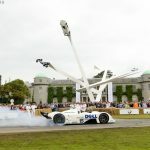 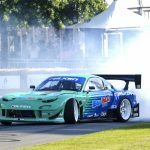 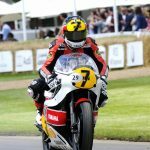 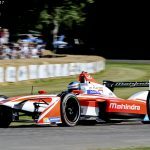 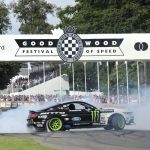 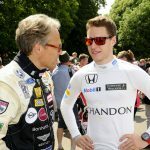 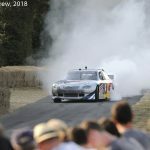 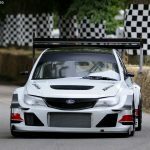 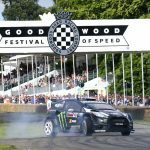 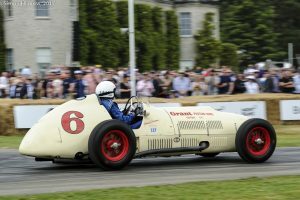 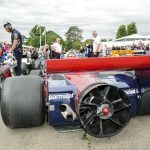 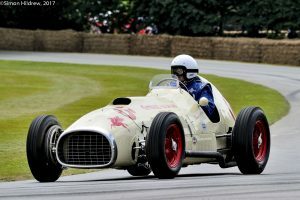 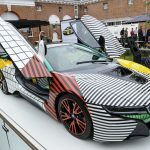 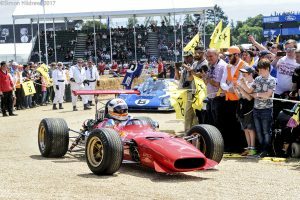 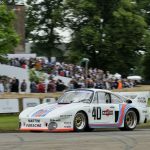 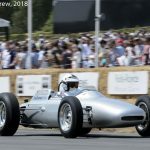 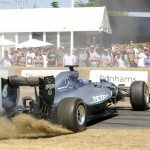 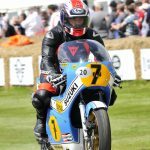 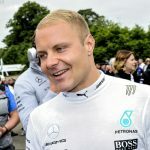 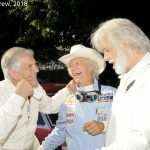 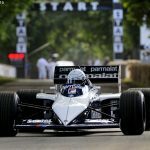 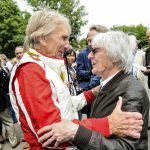 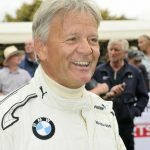 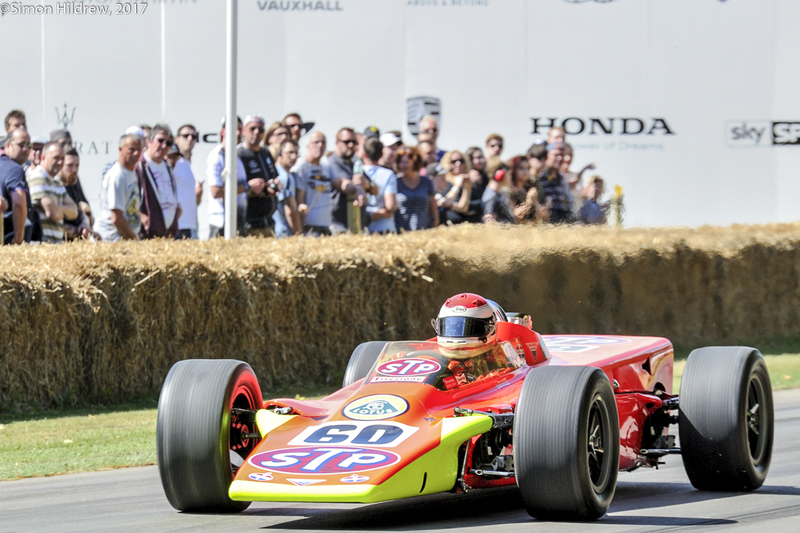 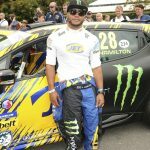 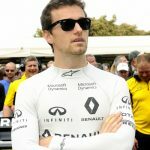 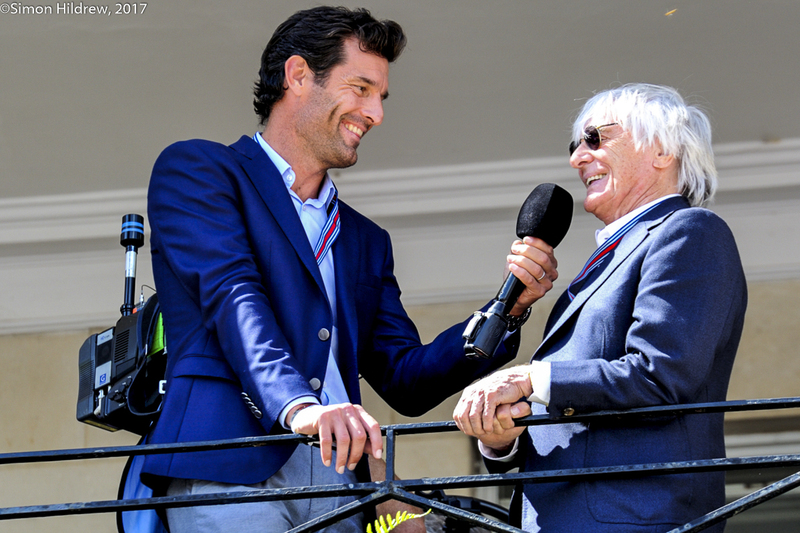 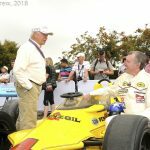 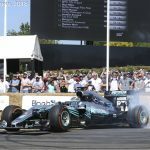 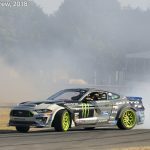 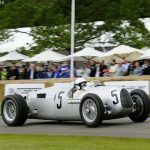 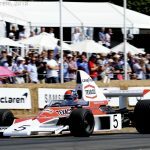 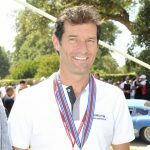 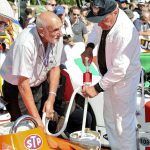 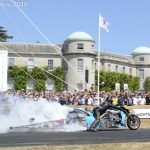 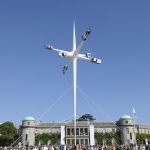 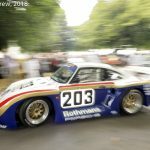 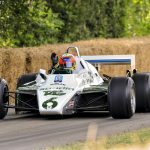 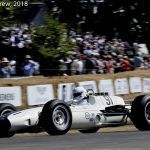 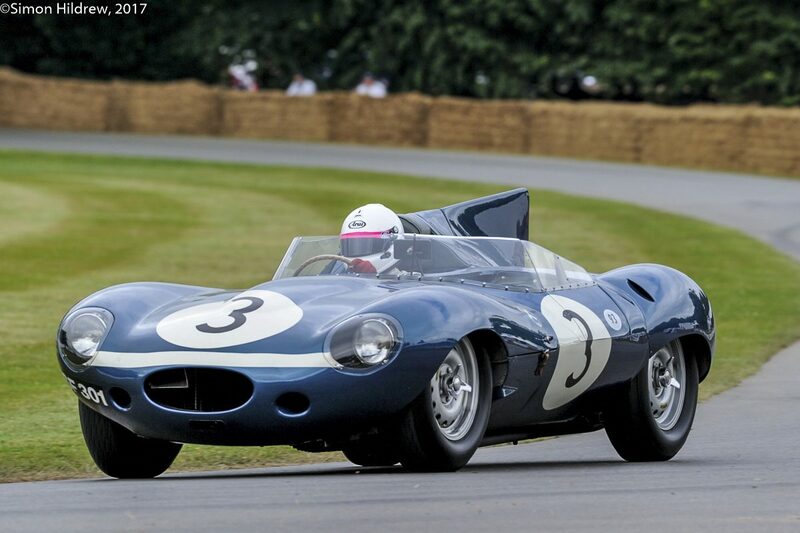 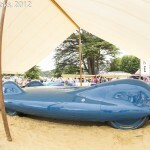 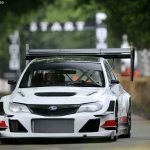 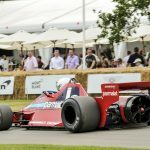 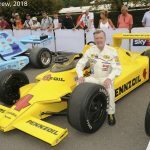 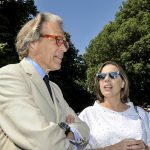 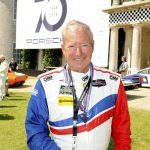 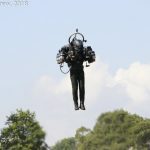 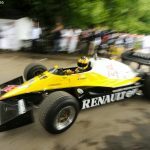 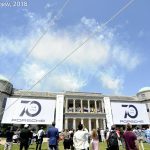 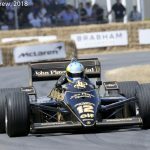 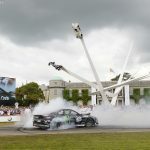 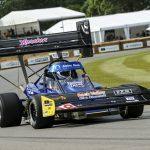 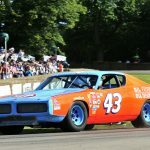 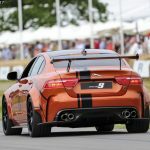 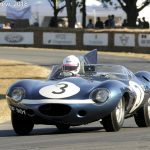 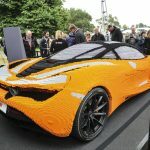 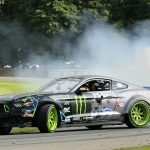 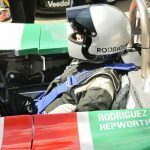 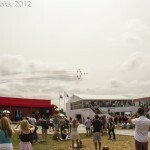 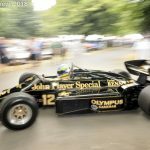 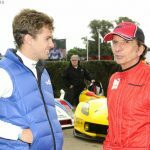 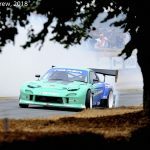 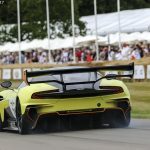 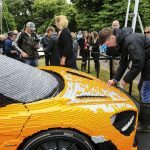 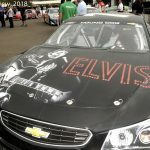 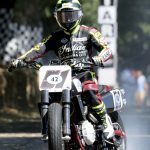 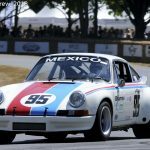 This entry was posted in The Focal Point and tagged Goodwood, Goodwood Festival of Speed, Simon Hildrew on July 17, 2017 by John Brooks. 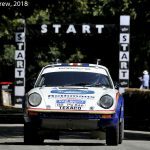 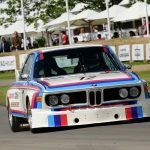 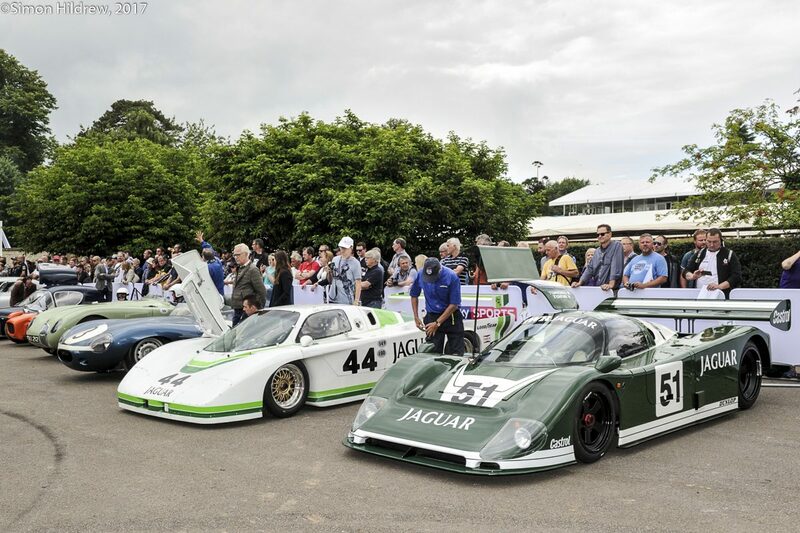 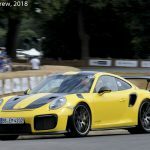 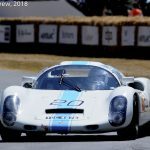 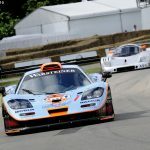 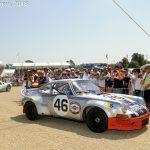 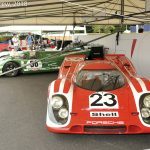 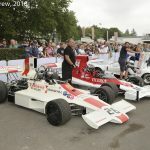 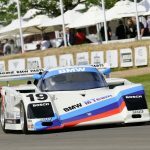 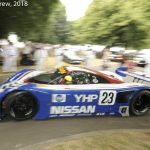 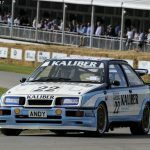 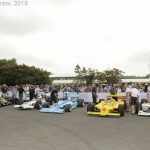 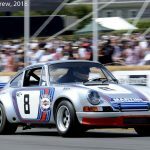 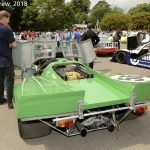 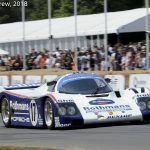 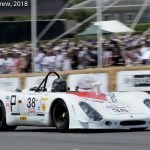 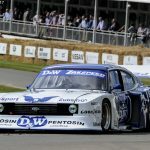 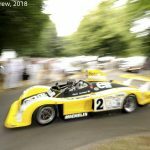 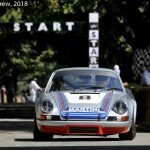 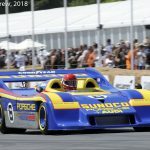 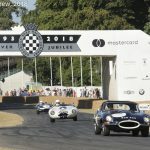 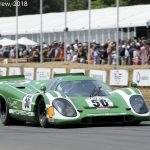 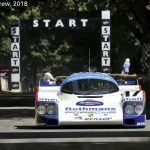 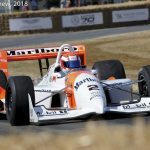 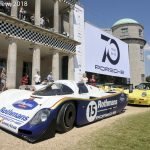 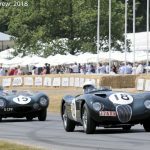 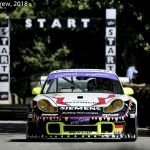 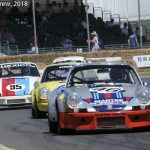 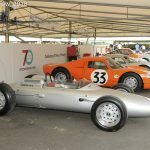 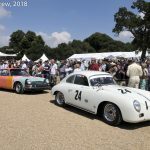 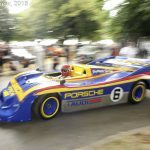 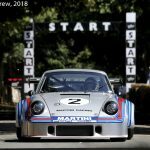 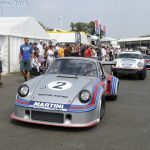 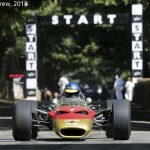 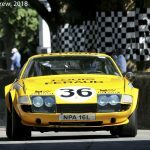 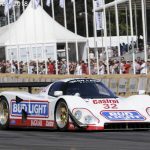 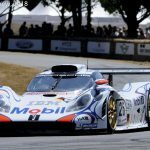 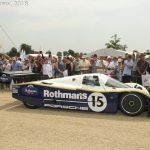 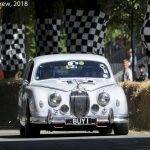 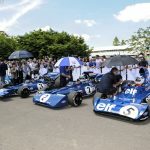 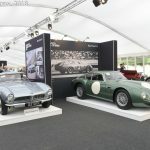 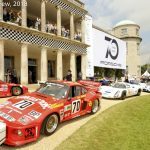 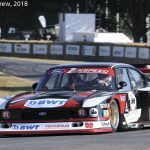 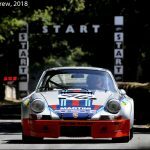 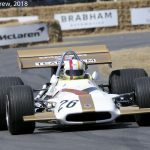 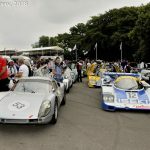 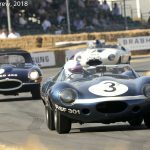 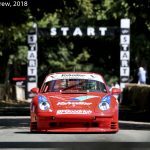 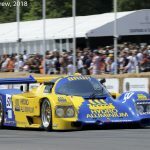 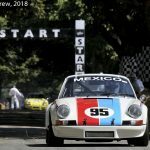 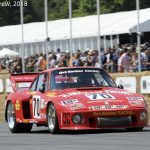 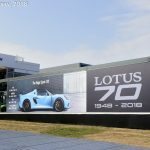 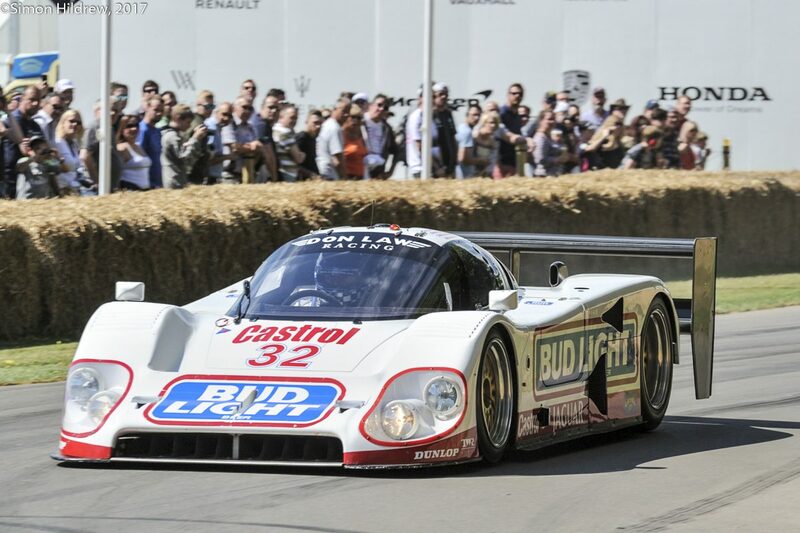 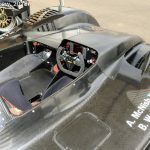 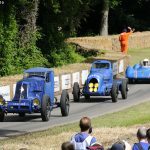 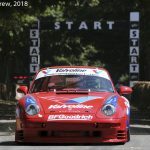 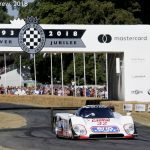 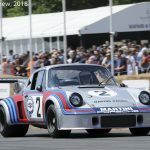 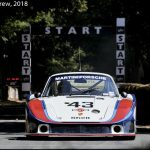 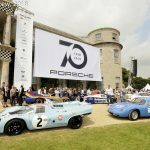 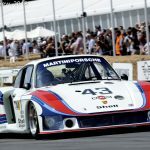 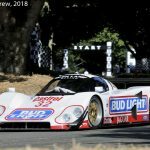 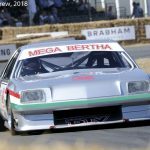 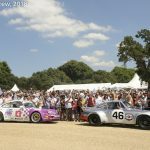 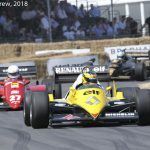 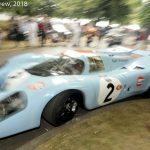 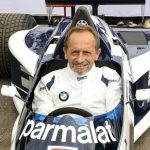 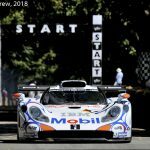 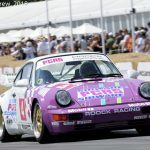 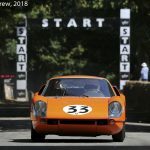 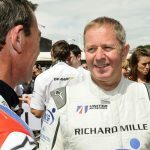 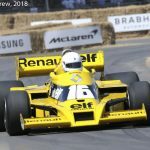 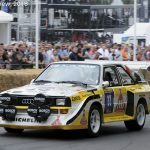 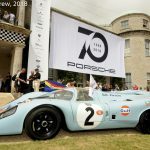 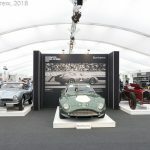 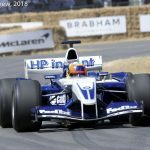 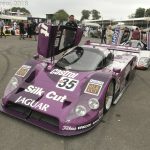 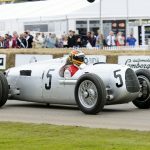 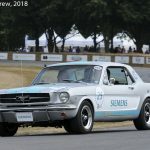 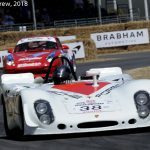 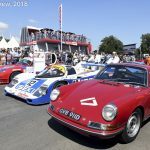 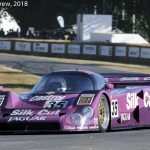 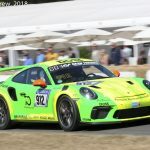 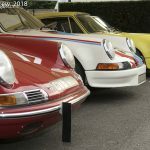 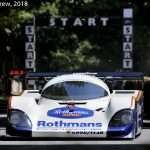 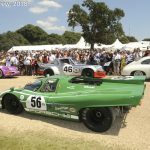 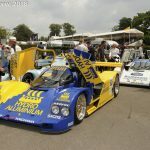 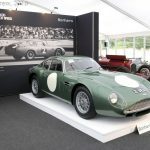 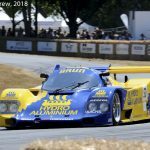 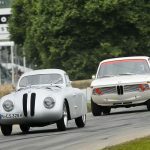 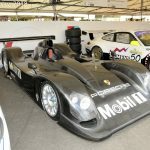 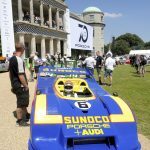 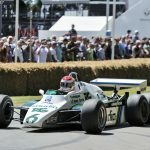 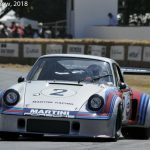 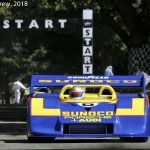 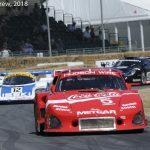 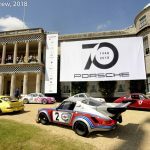 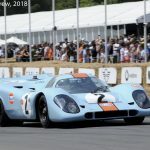 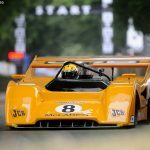 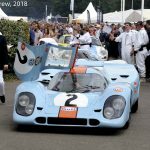 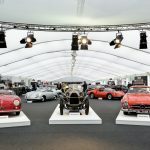 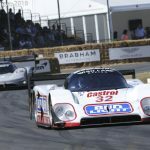 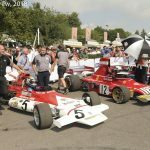 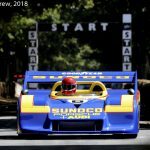 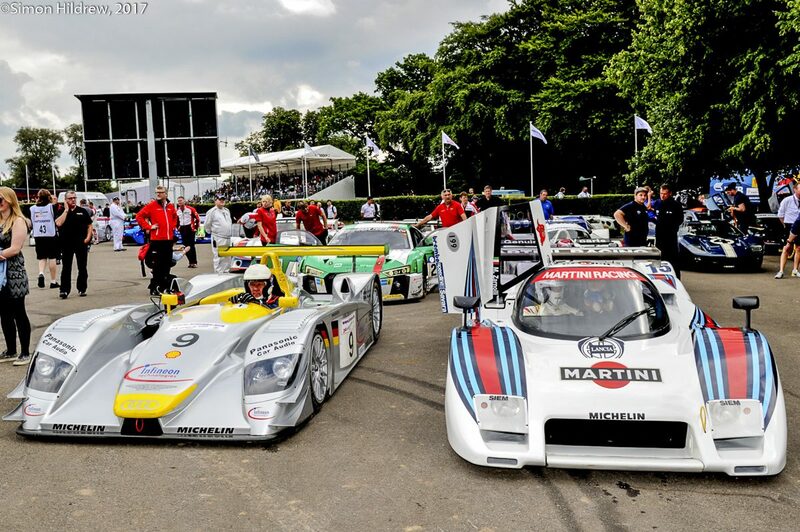 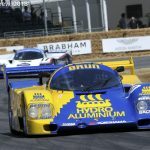 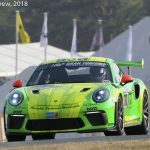 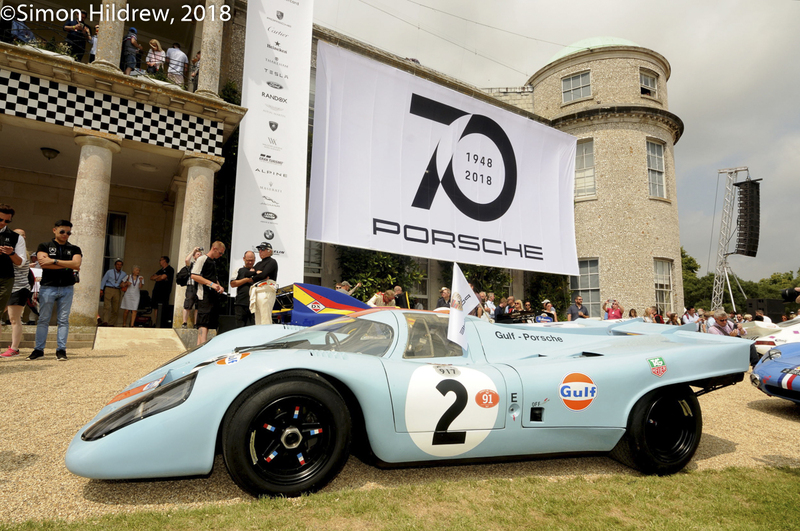 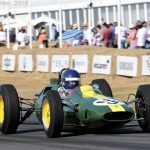 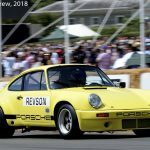 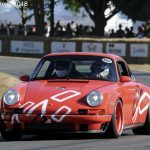 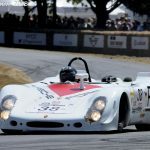 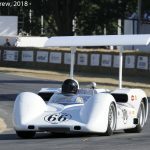 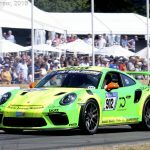 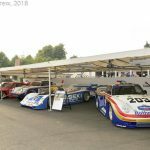 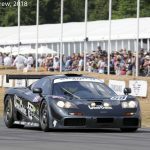 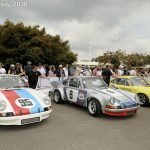 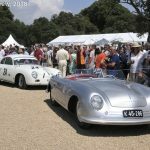 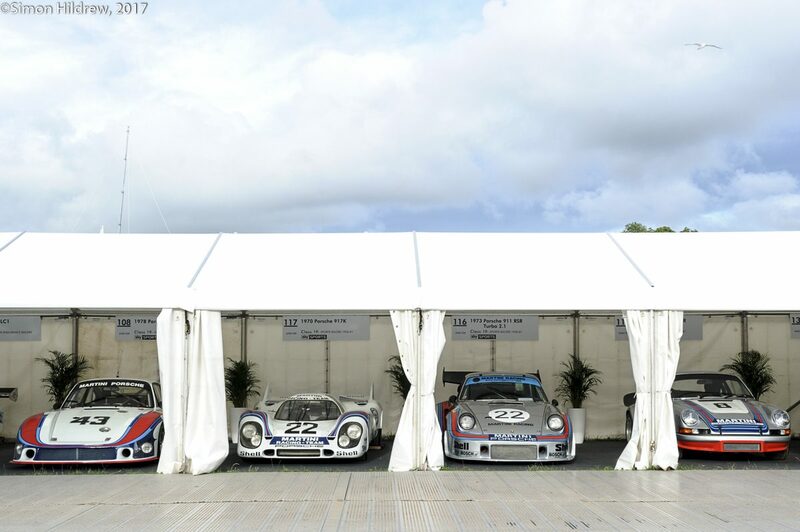 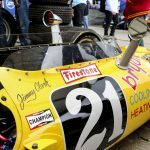 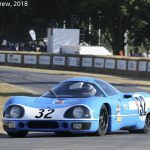 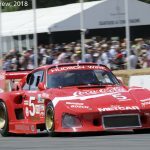 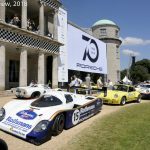 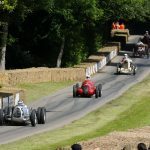 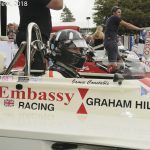 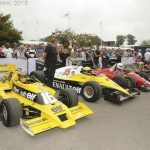 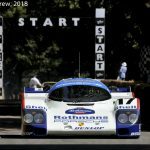 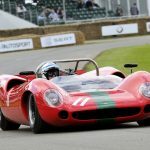 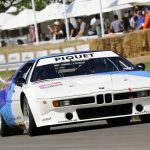 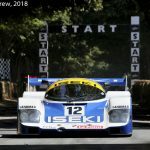 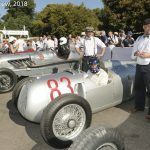 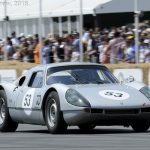 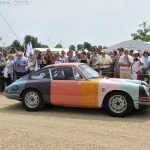 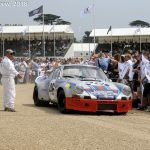 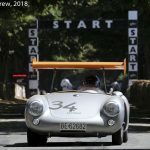 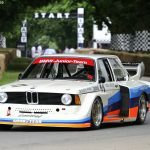 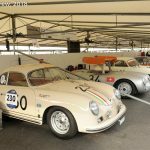 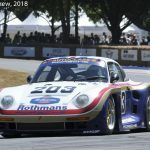 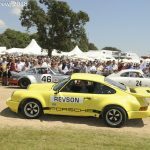 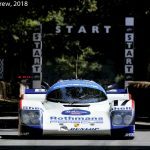 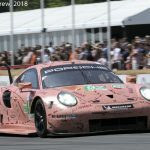 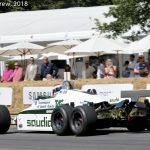 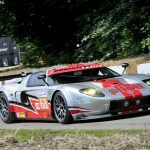 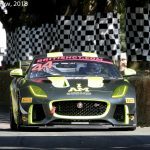 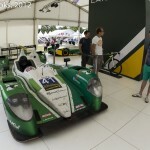 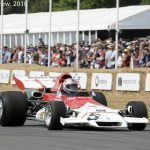 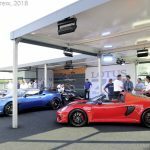 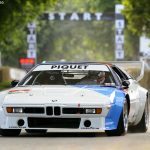 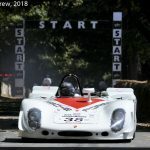 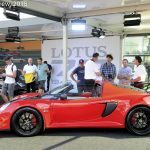 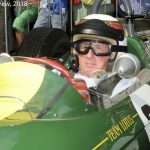 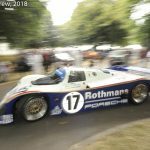 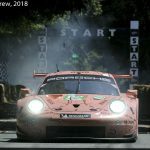 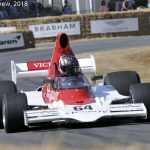 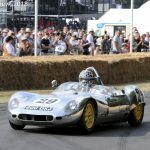 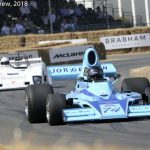 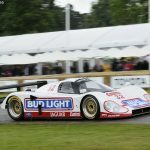 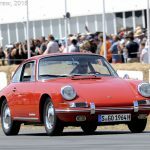 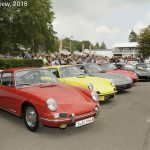 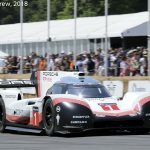 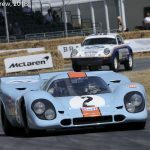 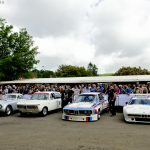 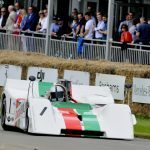 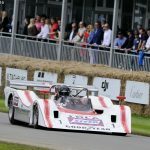 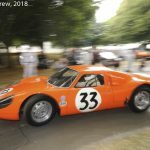 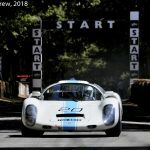 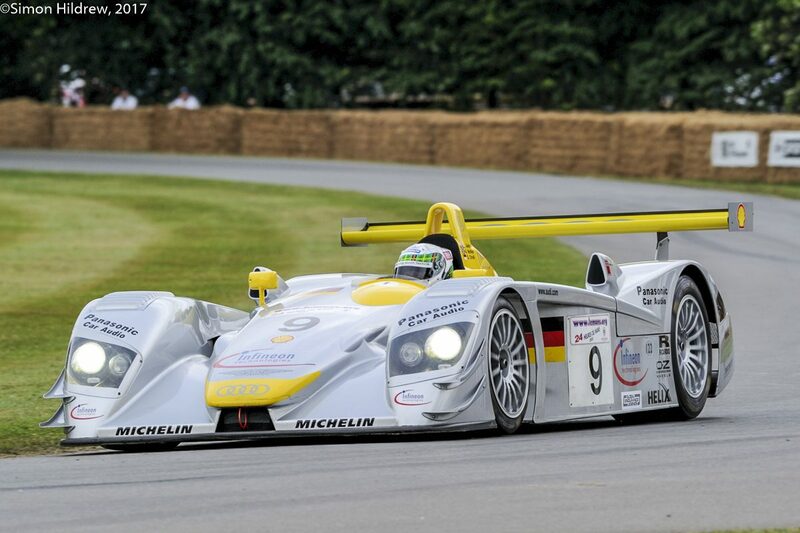 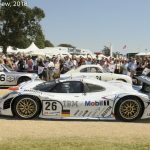 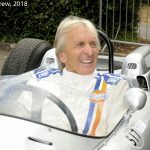 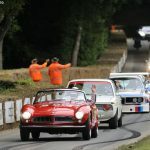 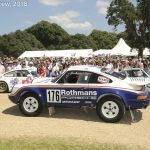 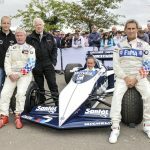 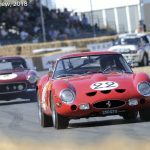 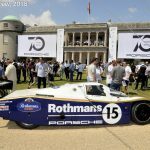 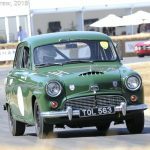 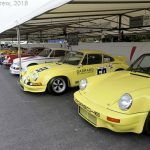 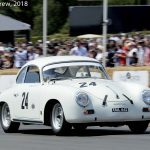 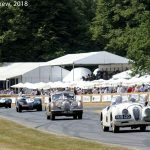 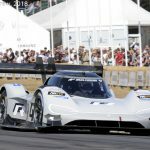 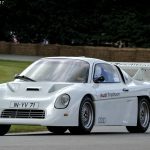 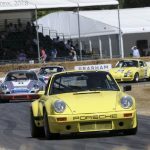 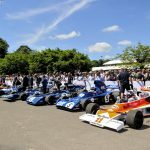 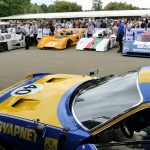 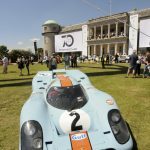 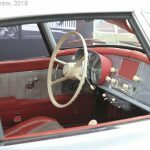 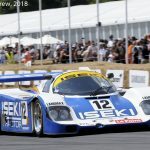 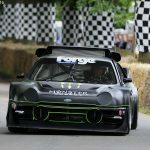 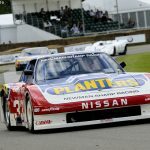 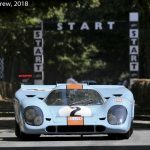 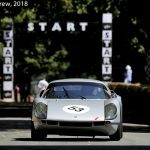 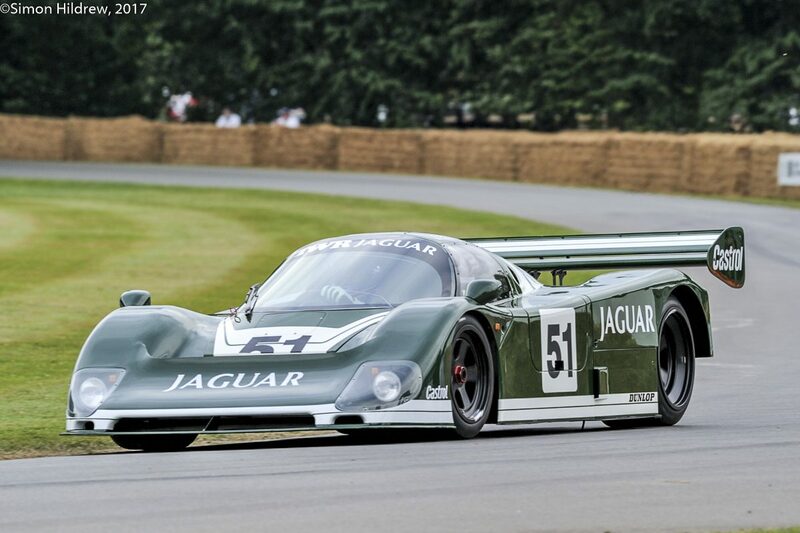 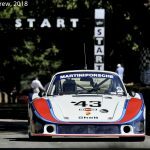 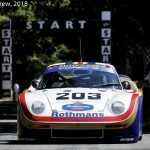 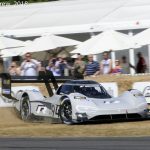 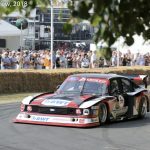 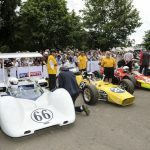 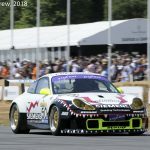 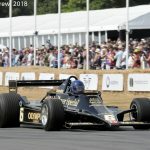 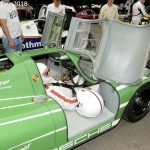 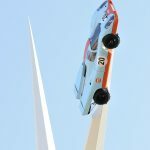 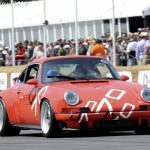 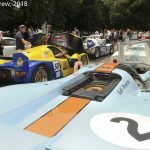 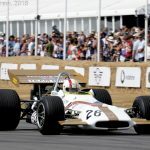 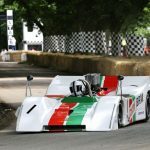 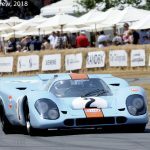 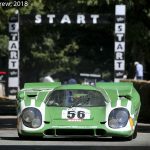 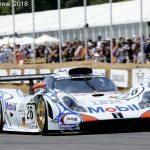 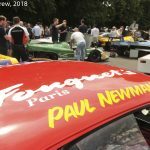 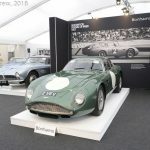 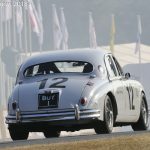 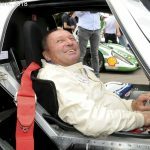 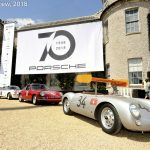 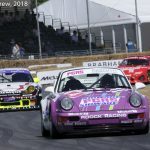 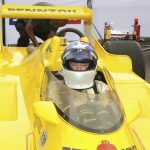 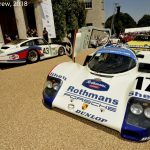 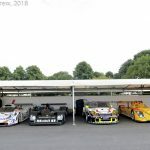 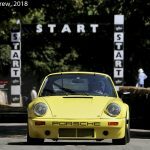 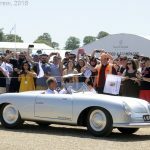 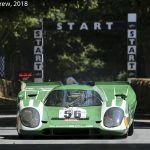 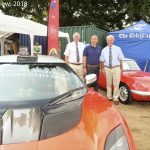 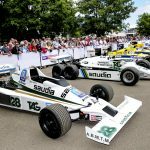 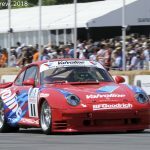 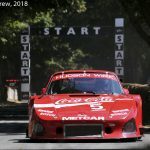 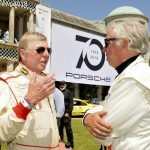 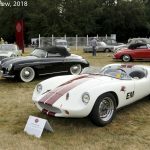 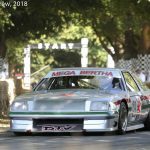 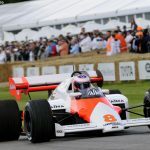 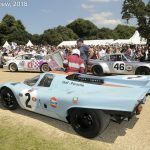 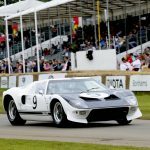 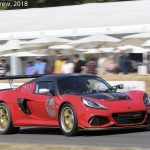 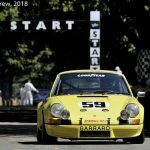 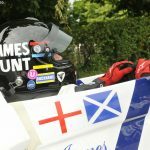 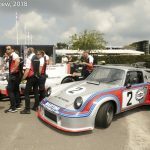 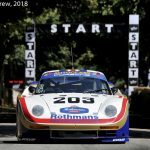 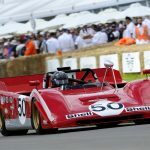 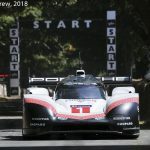 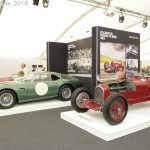 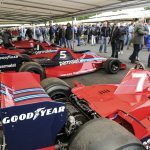 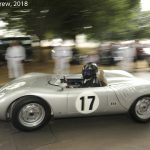 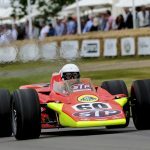 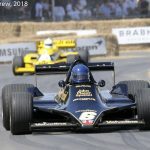 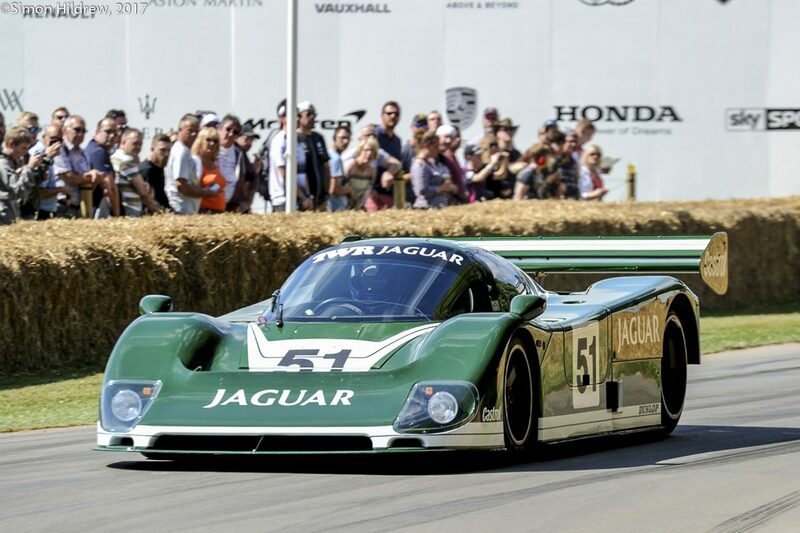 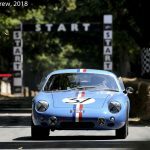 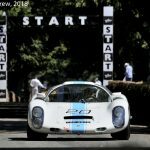 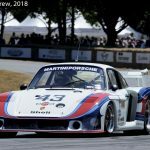 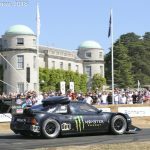 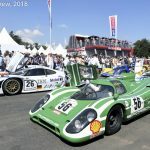 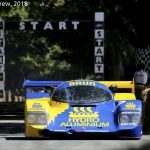 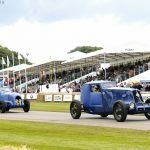 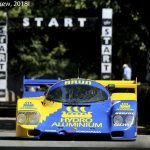 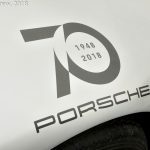 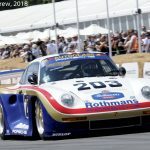 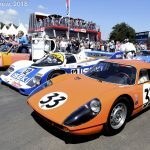 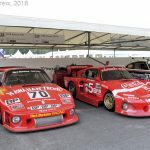 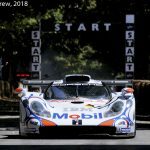 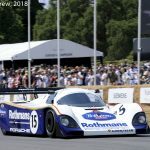 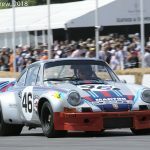 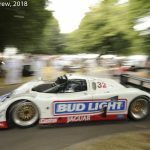 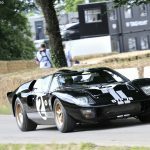 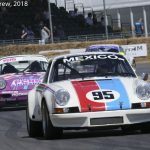 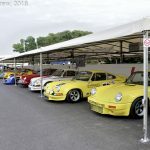 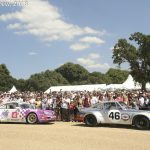 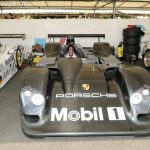 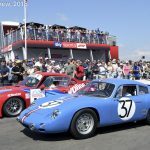 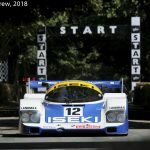 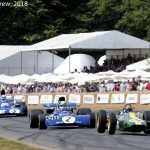 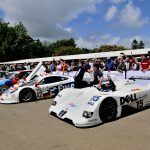 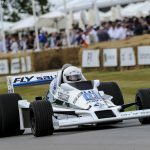 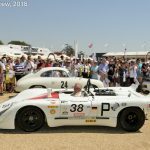 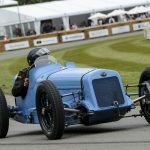 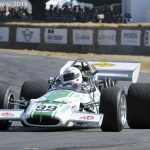 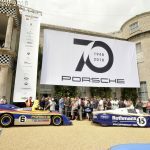 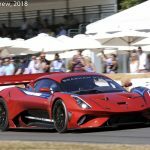 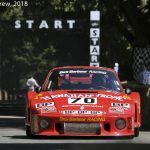 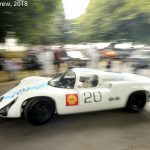 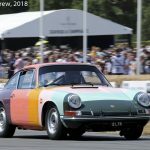 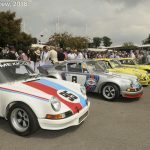 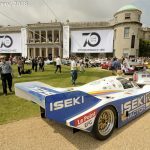 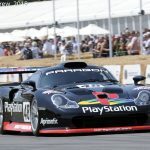 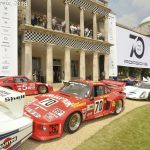 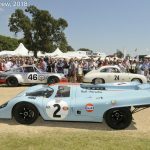 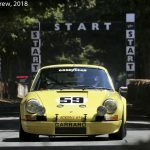 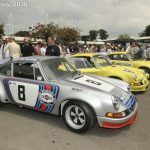 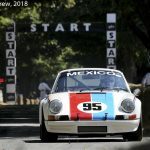 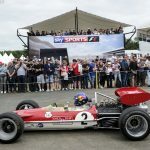 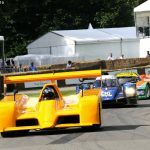 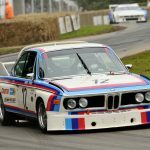 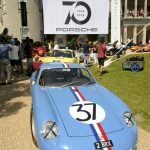 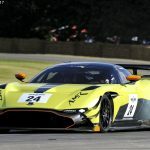 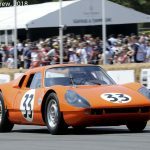 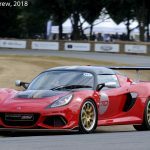 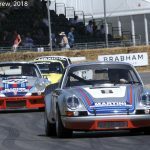 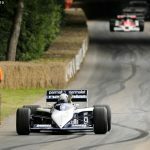 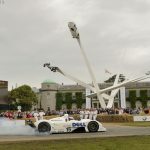 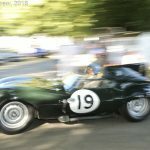 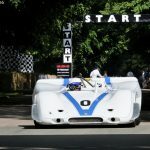 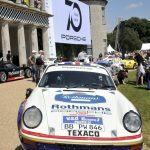 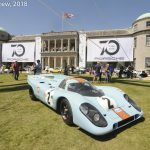 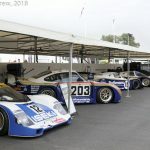 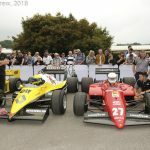 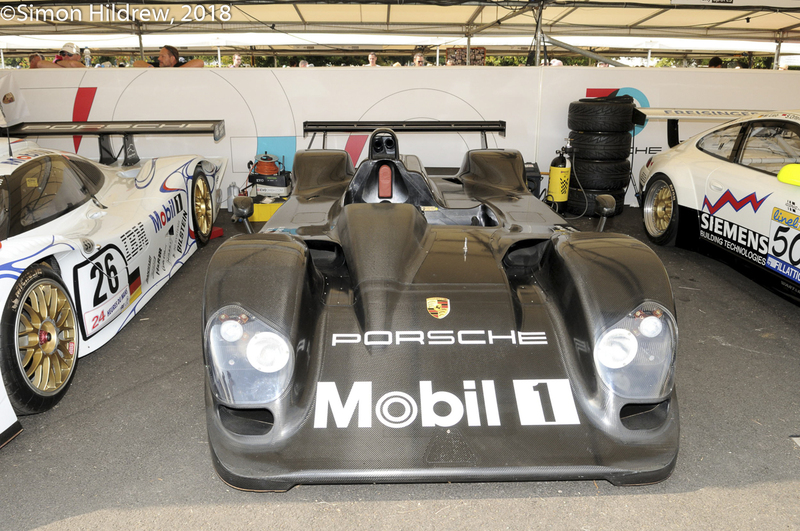 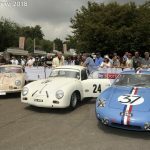 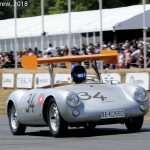 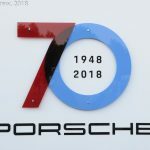 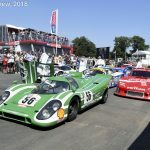 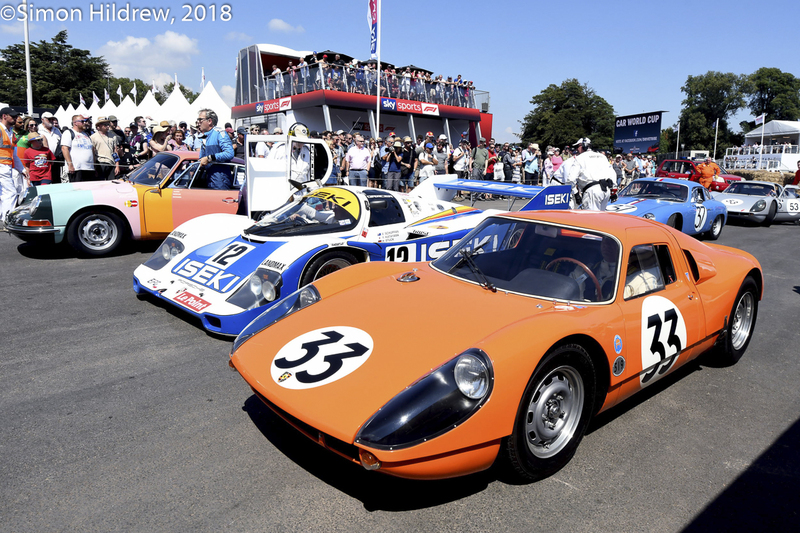 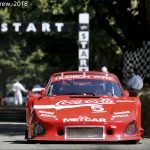 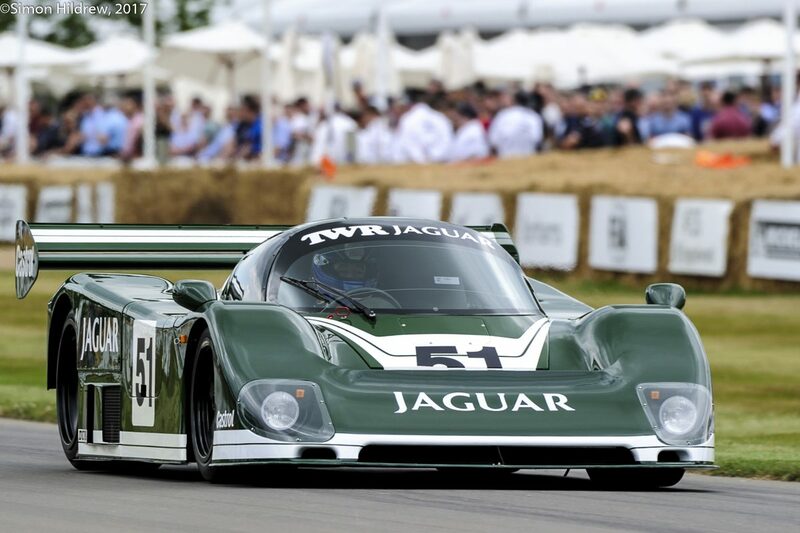 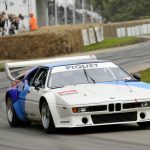 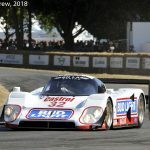 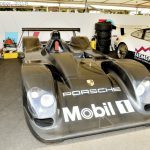 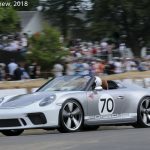 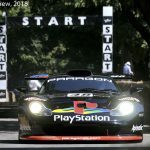 As one might expect, at Goodwood there was a fine display of sportscars from the early days right through to the 2017 winner of the Le Mans 24 Hours. 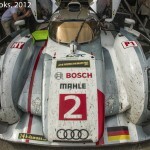 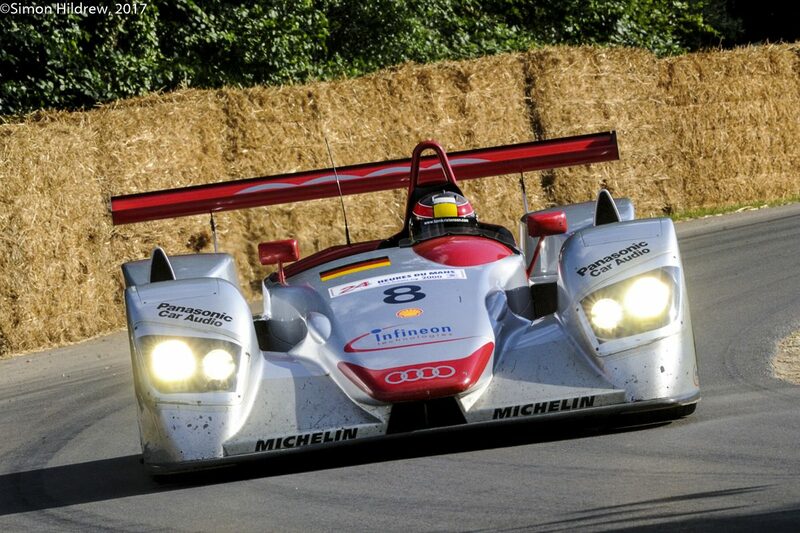 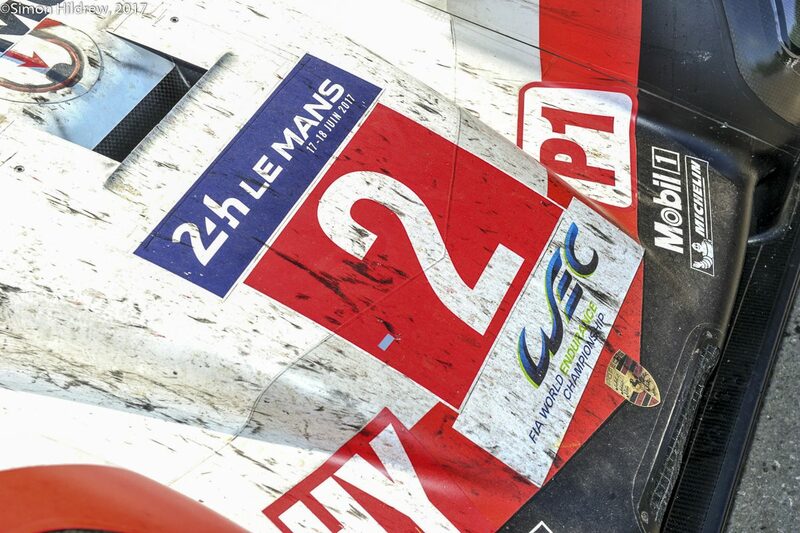 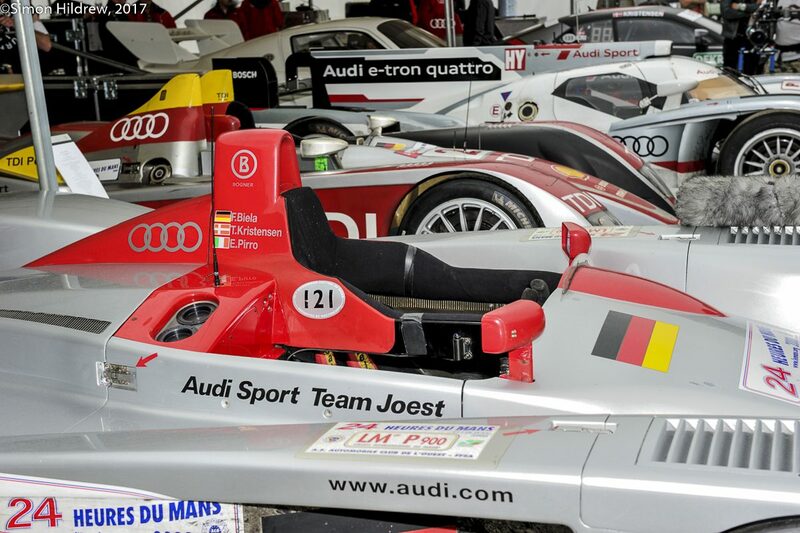 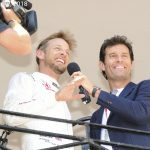 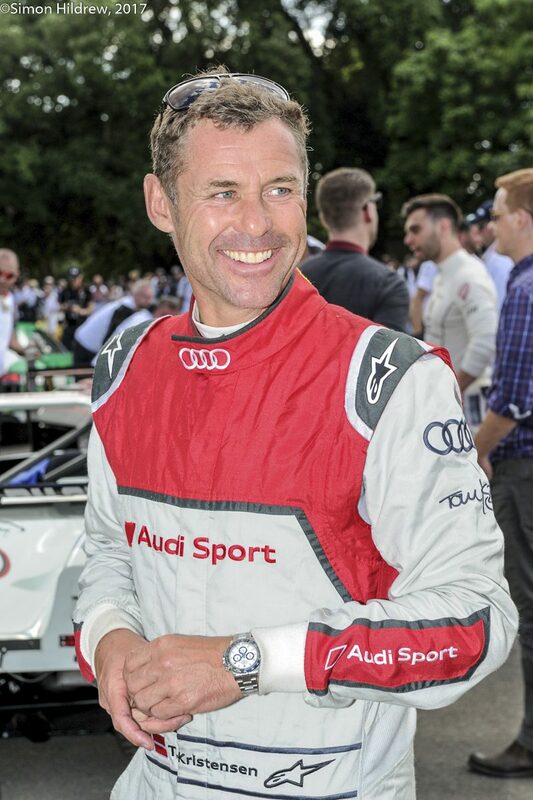 There was also a special tribute to the Great Dane, Tom Kristensen, nine-time victor at La Sarthe. 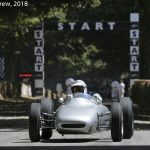 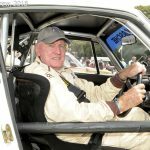 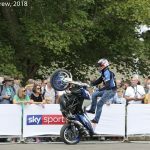 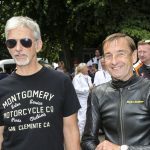 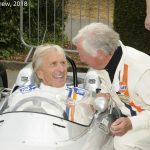 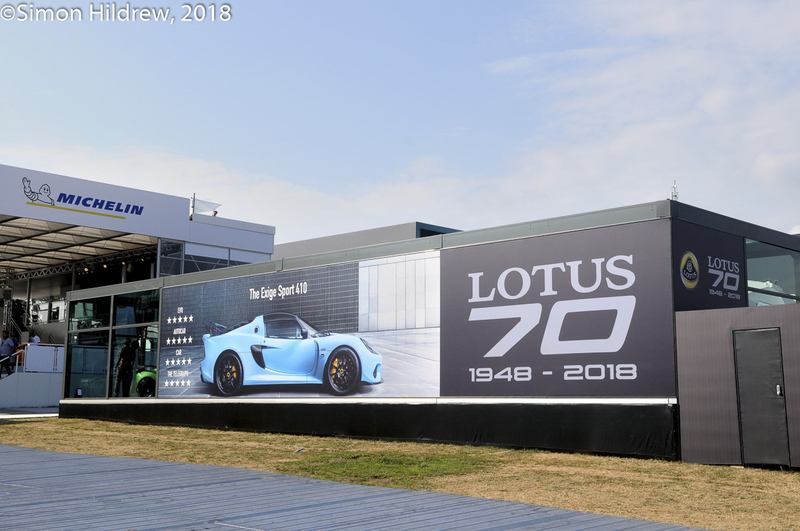 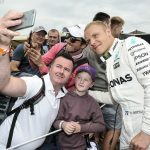 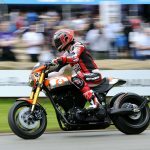 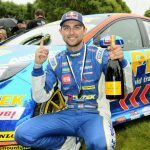 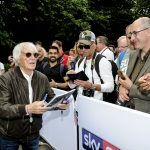 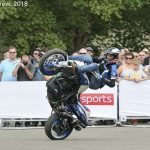 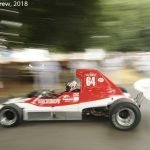 Our great snapper, Simon Hildrew, was also on tip top form, so enjoy the penultimate gallery on DDC from the Festival of Speed. 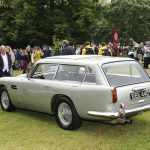 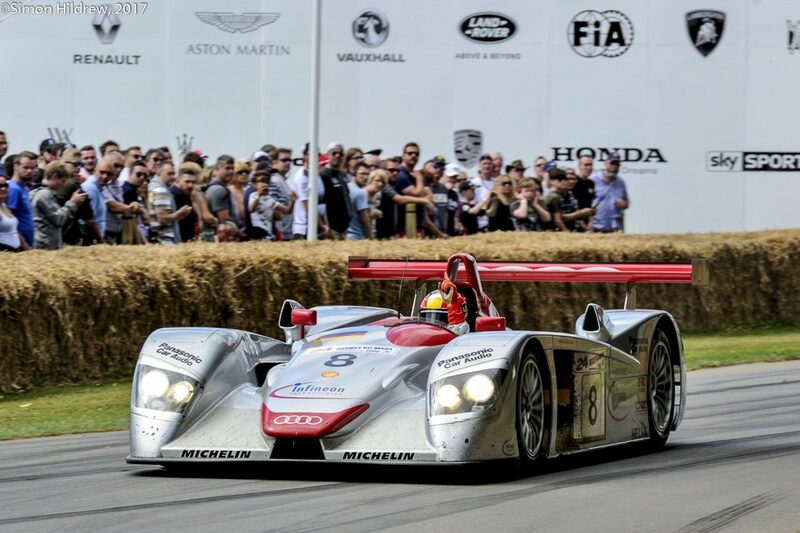 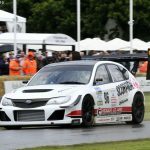 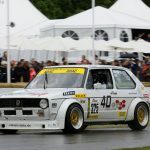 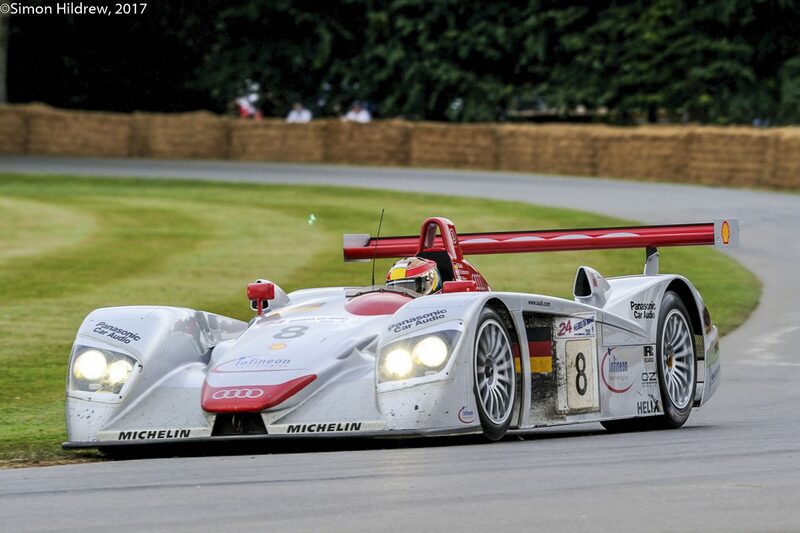 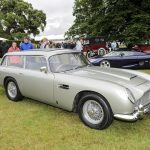 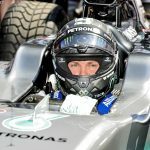 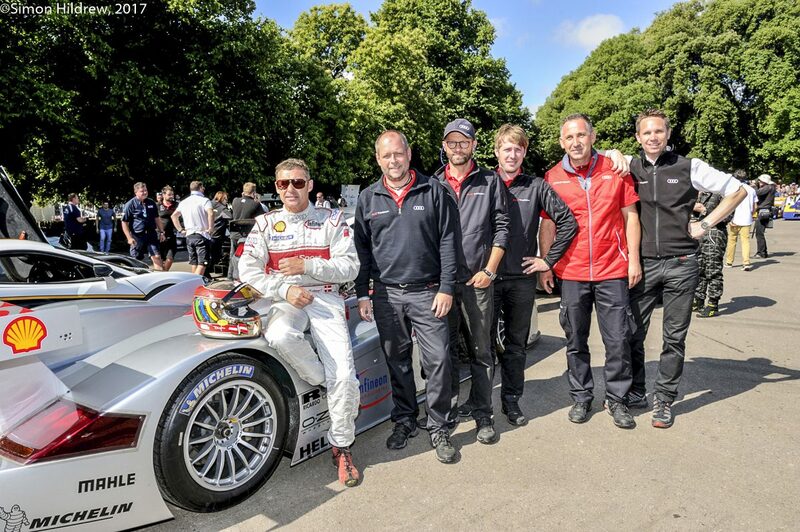 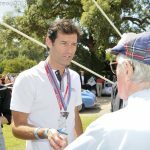 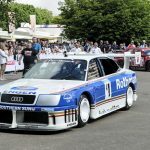 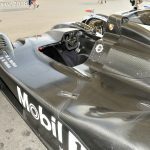 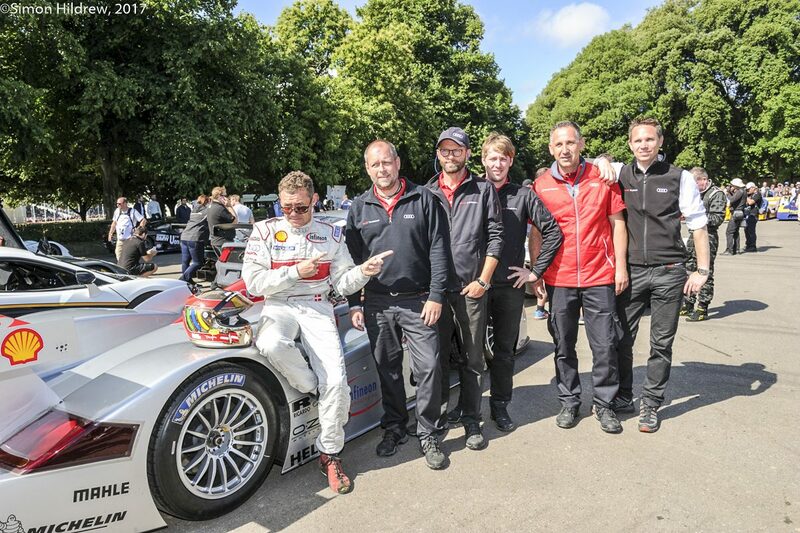 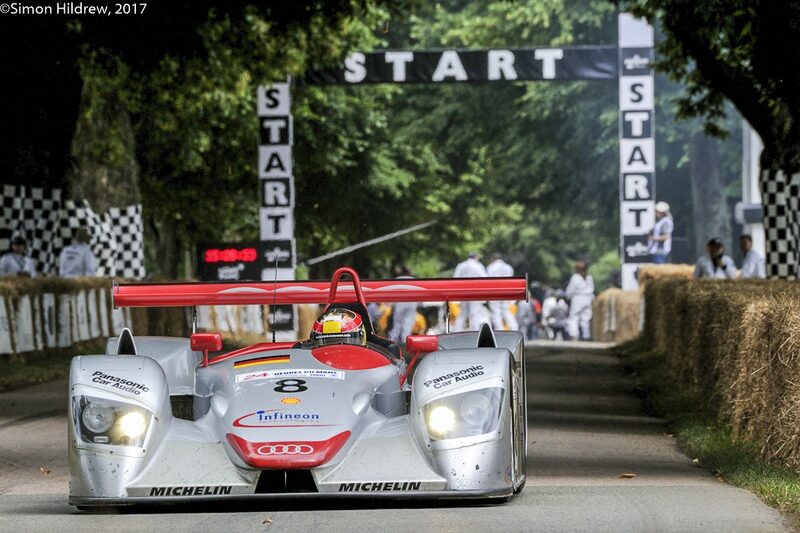 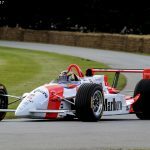 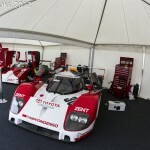 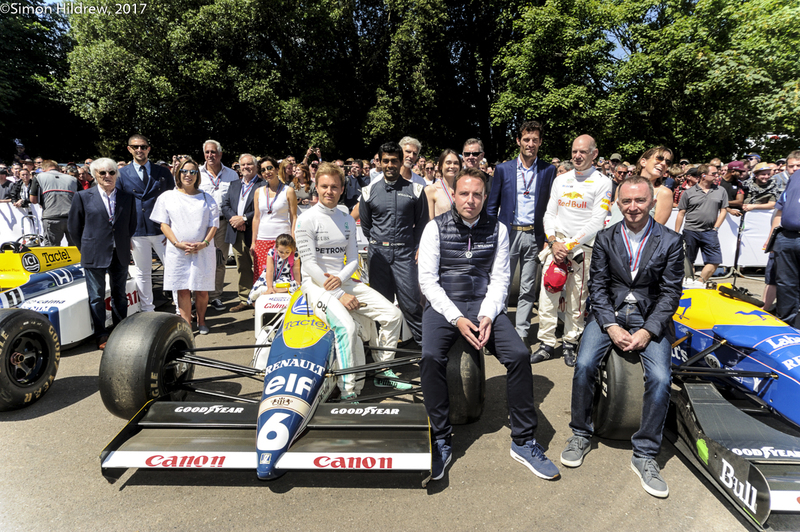 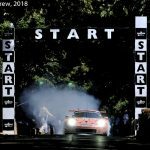 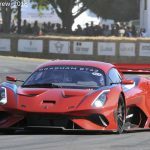 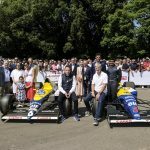 This entry was posted in The Focal Point and tagged Goodwood, Goodwood Festival of Speed, Tom Kristensen on July 15, 2017 by John Brooks. 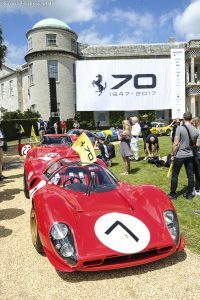 Ferrari at 70 has been a theme wherever the great and the good have gathered in 2017 to celebrate things motoring. 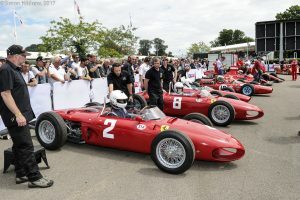 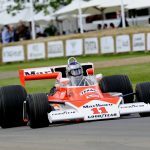 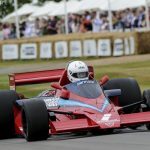 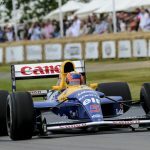 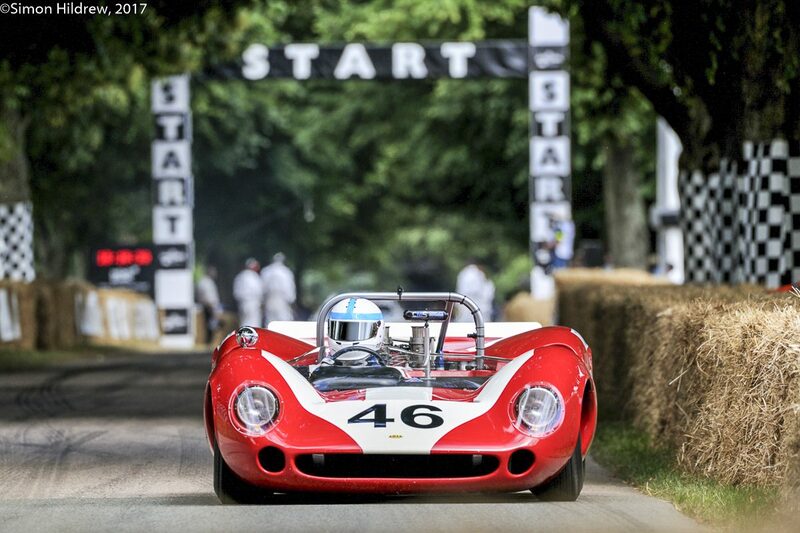 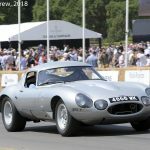 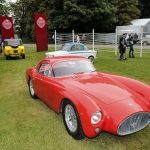 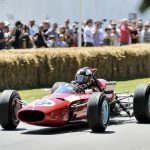 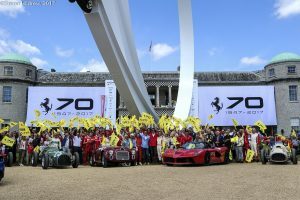 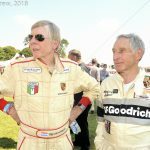 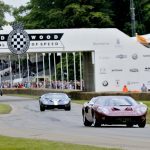 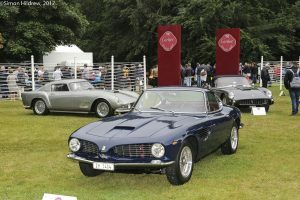 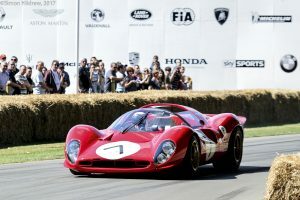 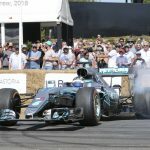 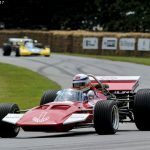 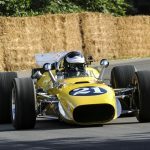 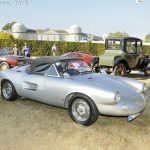 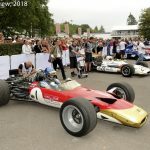 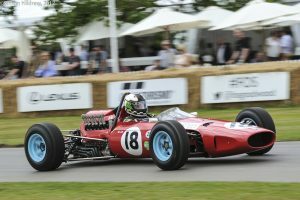 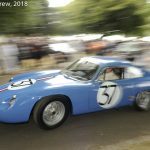 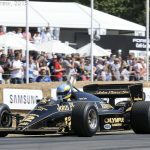 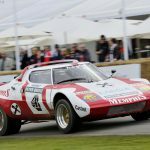 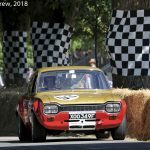 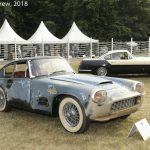 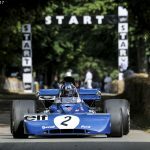 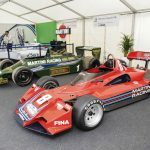 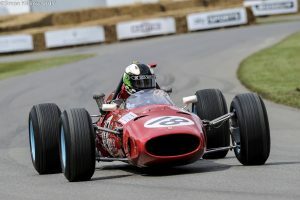 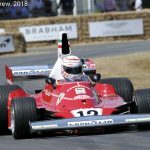 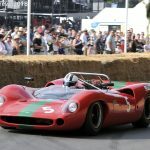 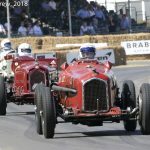 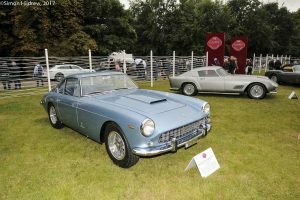 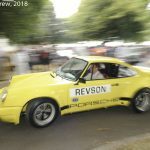 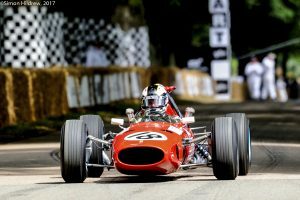 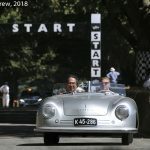 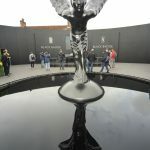 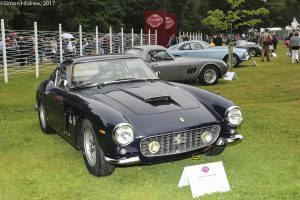 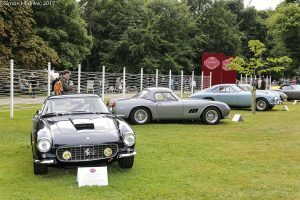 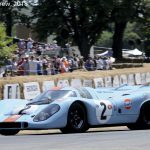 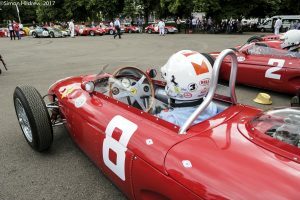 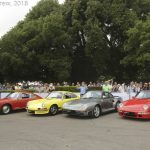 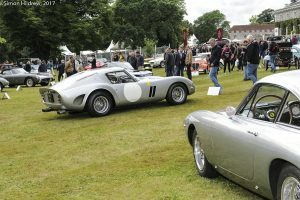 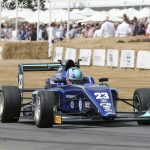 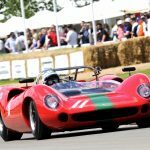 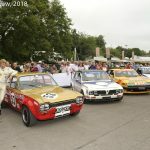 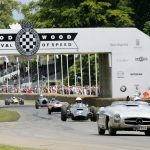 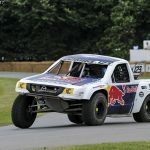 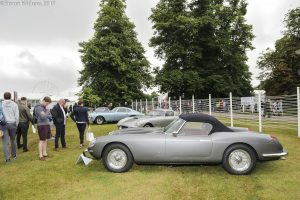 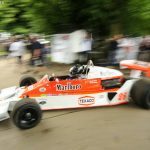 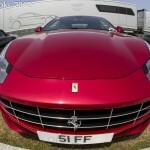 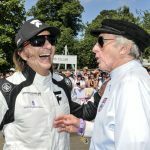 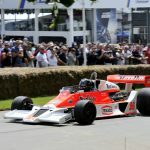 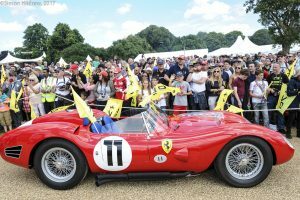 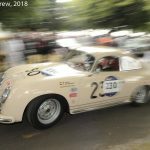 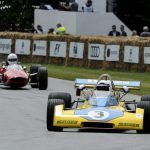 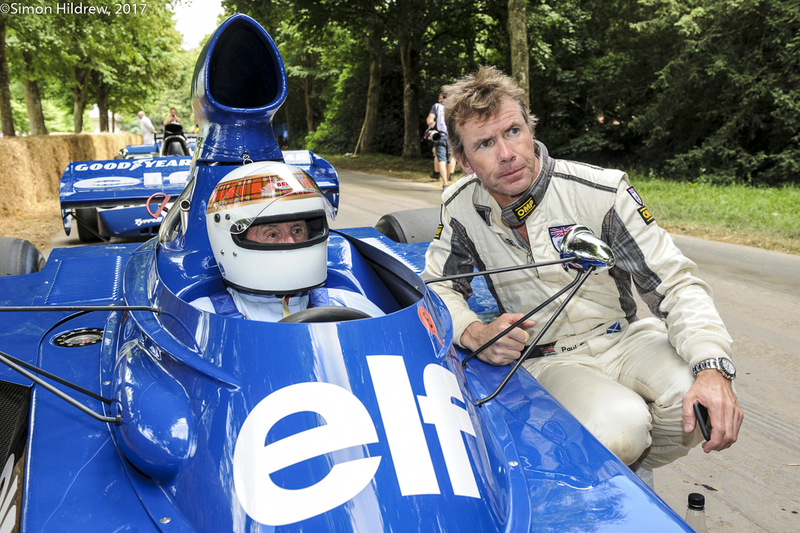 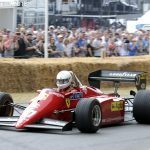 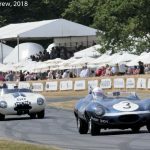 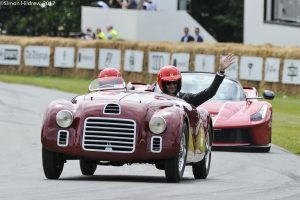 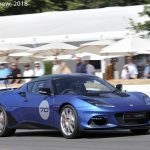 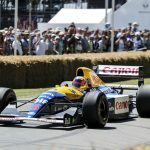 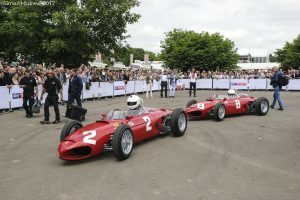 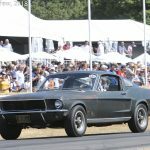 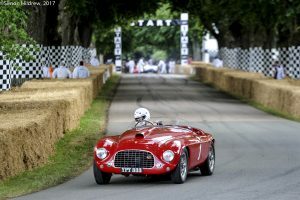 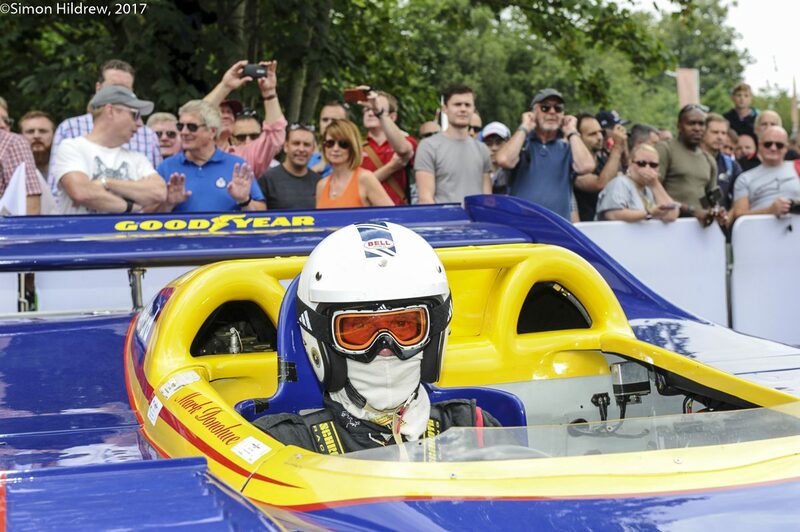 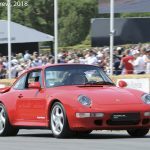 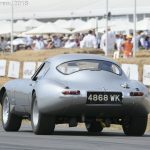 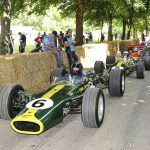 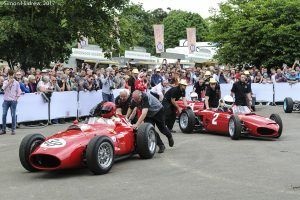 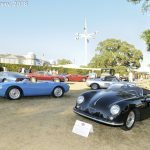 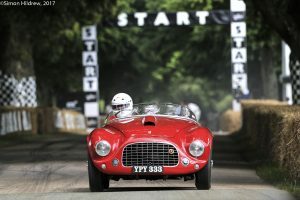 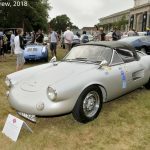 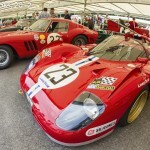 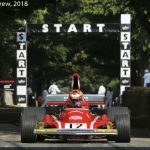 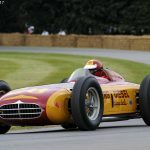 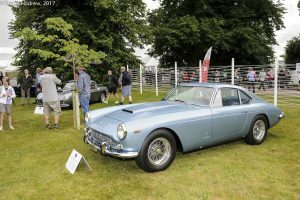 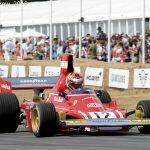 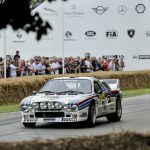 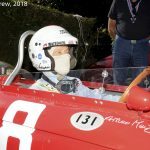 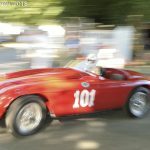 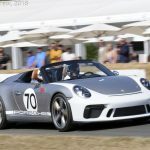 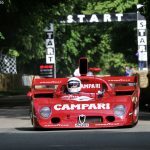 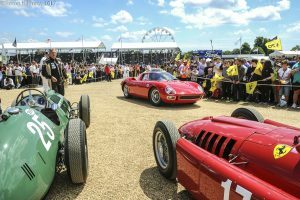 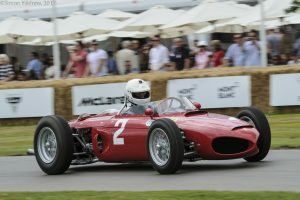 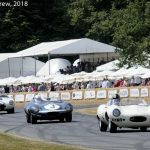 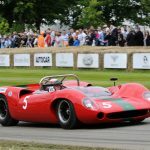 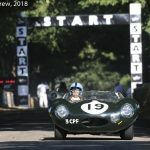 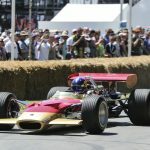 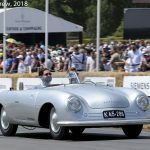 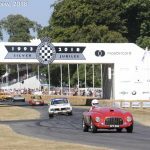 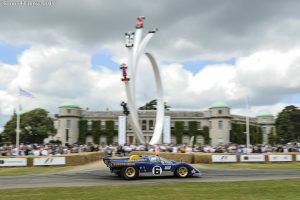 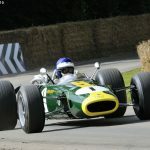 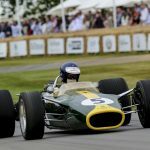 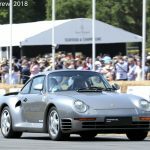 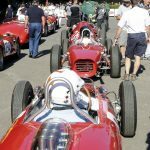 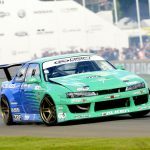 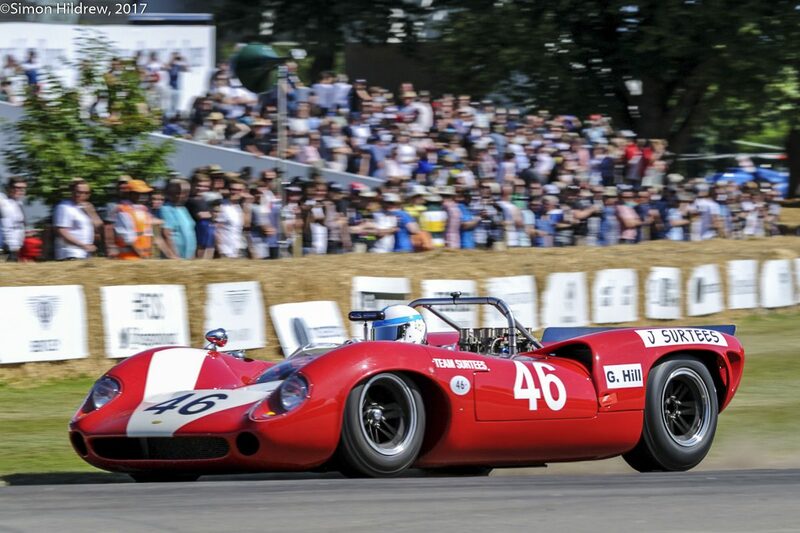 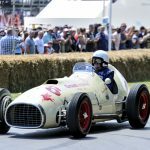 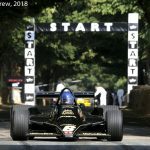 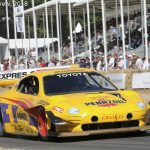 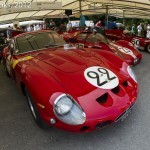 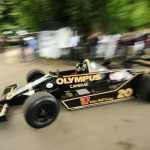 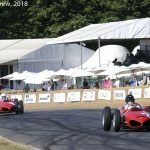 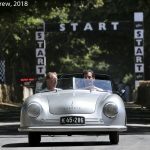 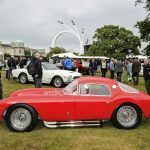 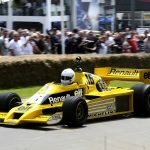 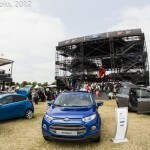 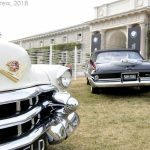 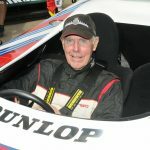 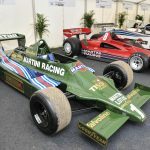 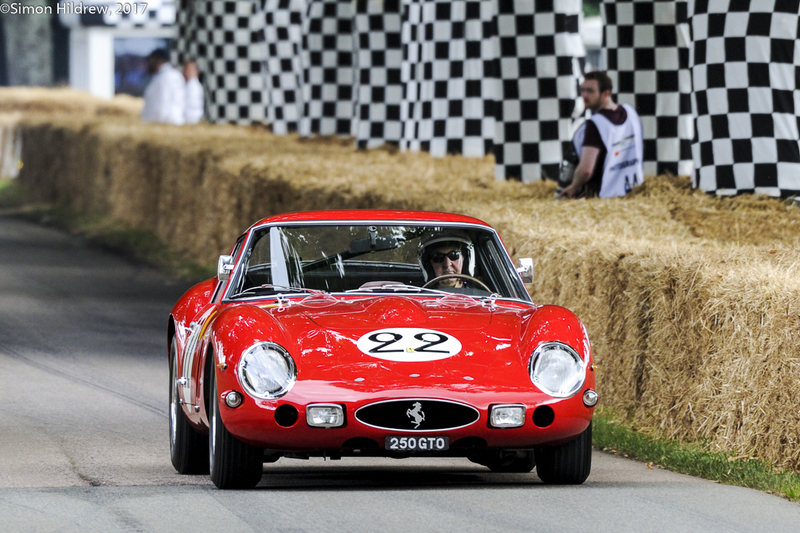 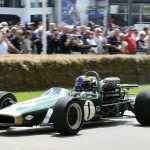 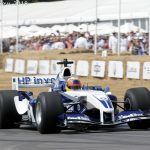 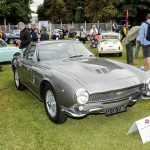 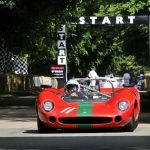 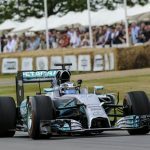 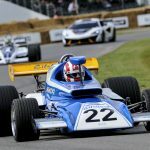 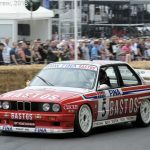 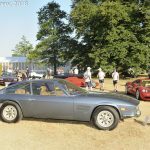 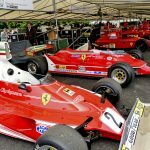 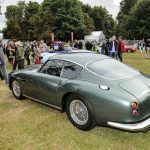 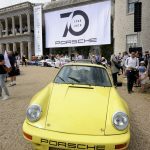 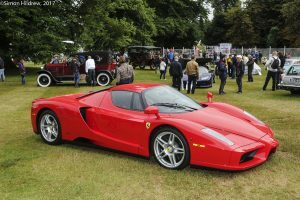 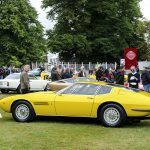 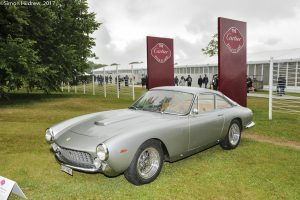 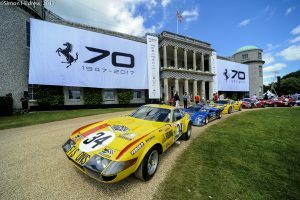 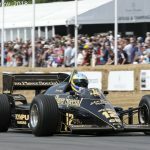 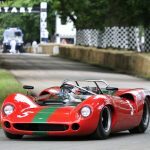 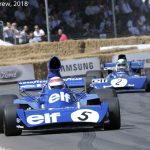 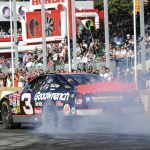 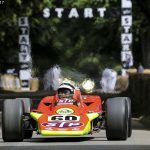 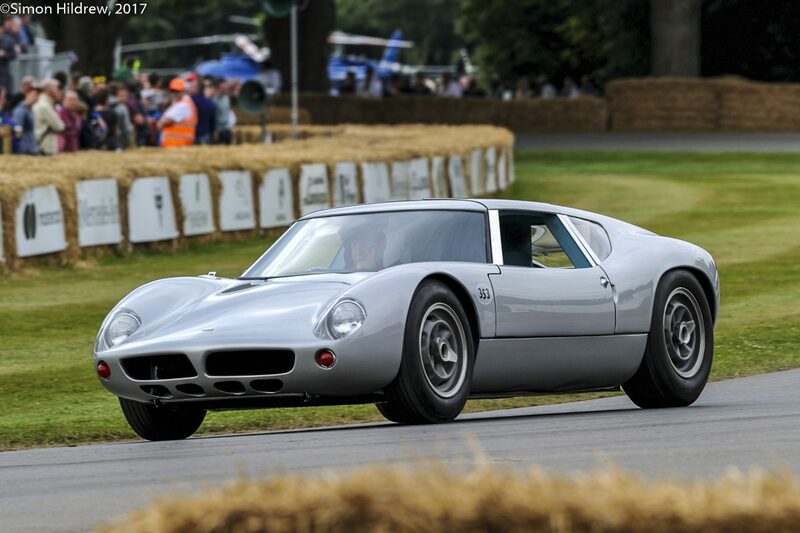 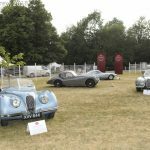 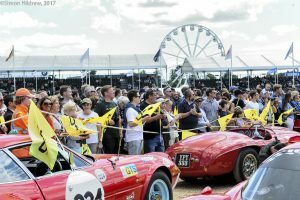 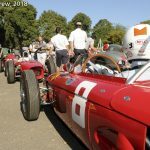 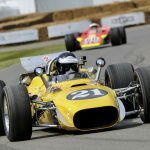 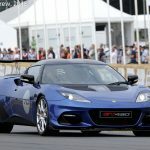 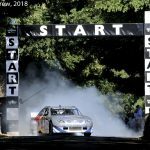 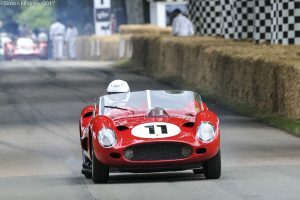 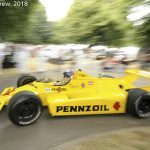 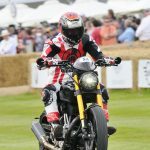 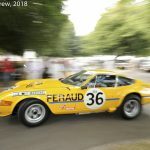 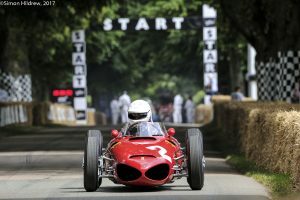 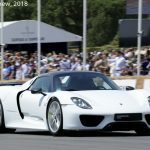 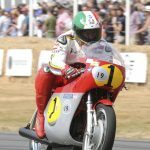 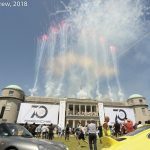 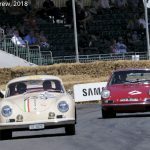 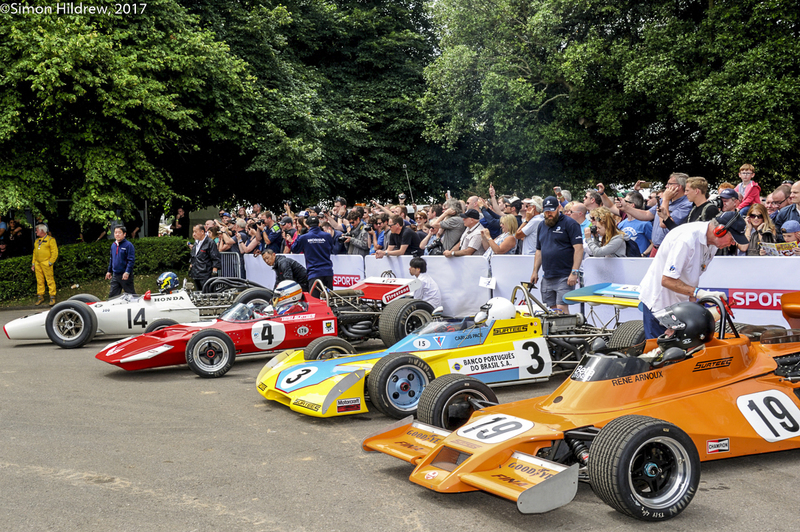 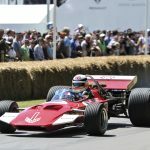 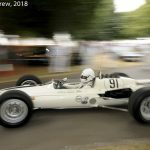 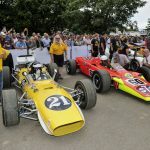 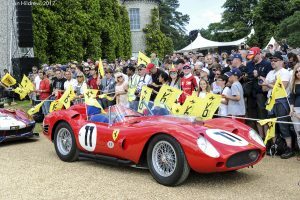 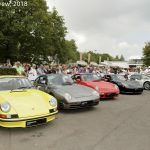 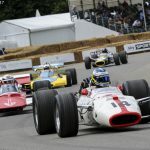 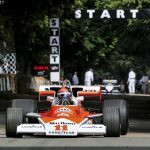 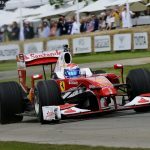 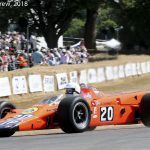 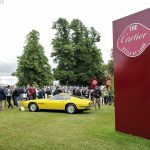 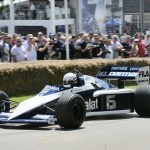 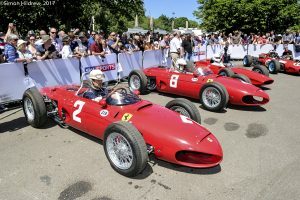 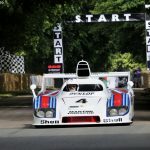 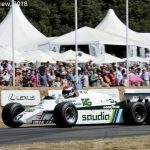 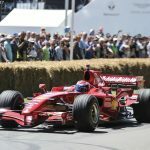 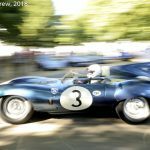 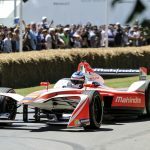 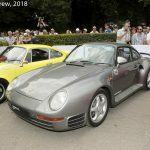 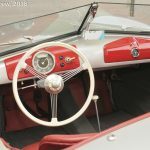 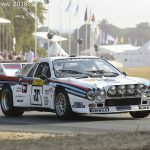 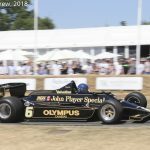 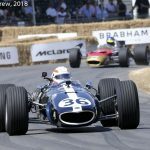 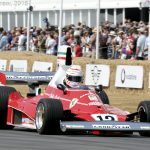 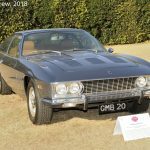 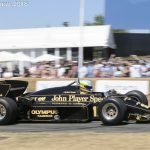 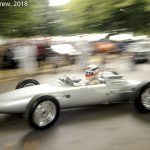 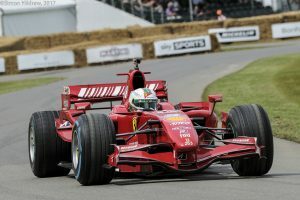 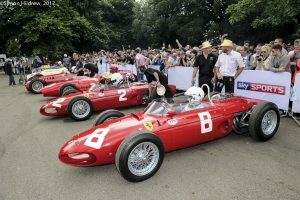 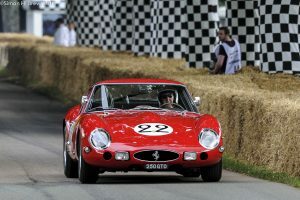 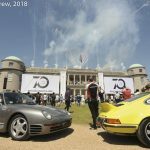 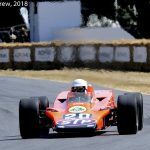 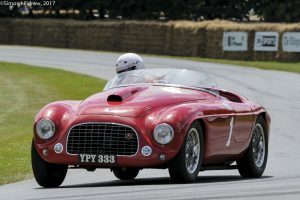 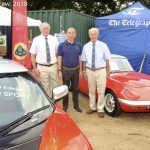 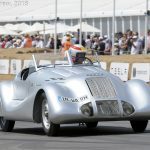 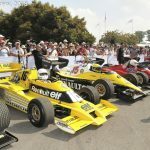 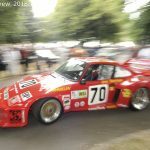 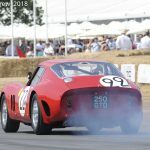 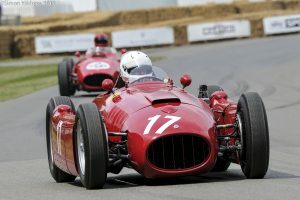 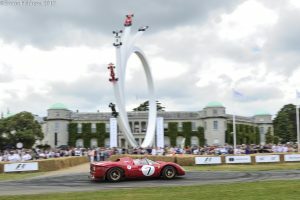 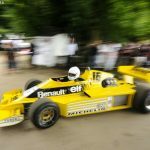 The Goodwood Festival of Speed was no exception to this wave of enthusiasm, and being the Festival it was pretty much top rank, with iconic Ferraris at every turn. 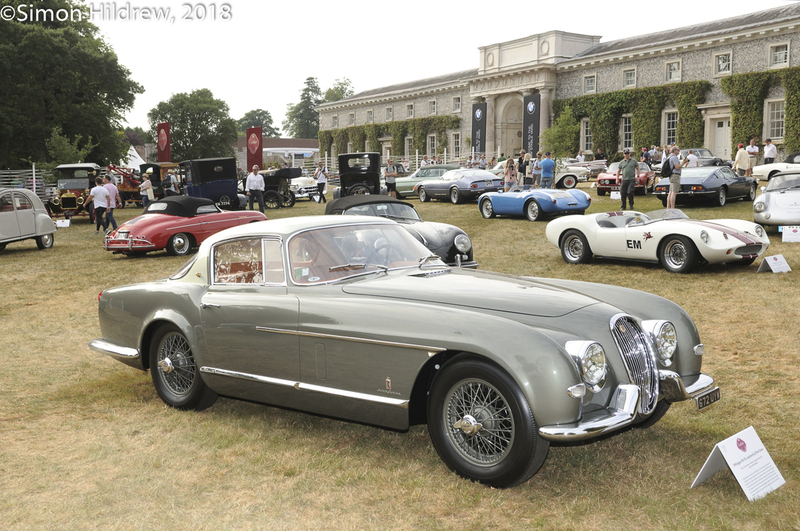 Simon Hildrew brings us an authentic Italian flavour from the Sussex Downs………. 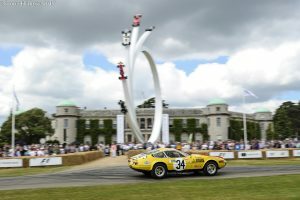 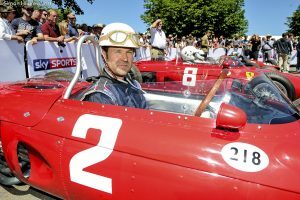 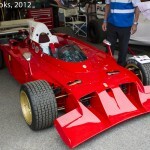 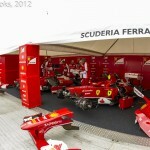 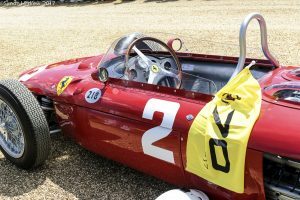 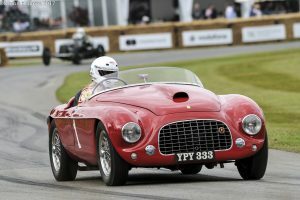 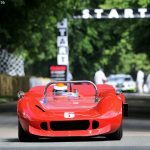 This entry was posted in The Focal Point and tagged Ferrari, Goodwood Festival of Speed, Simon Hildrew on July 12, 2017 by John Brooks. 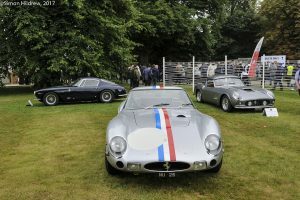 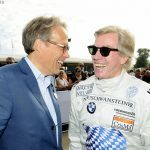 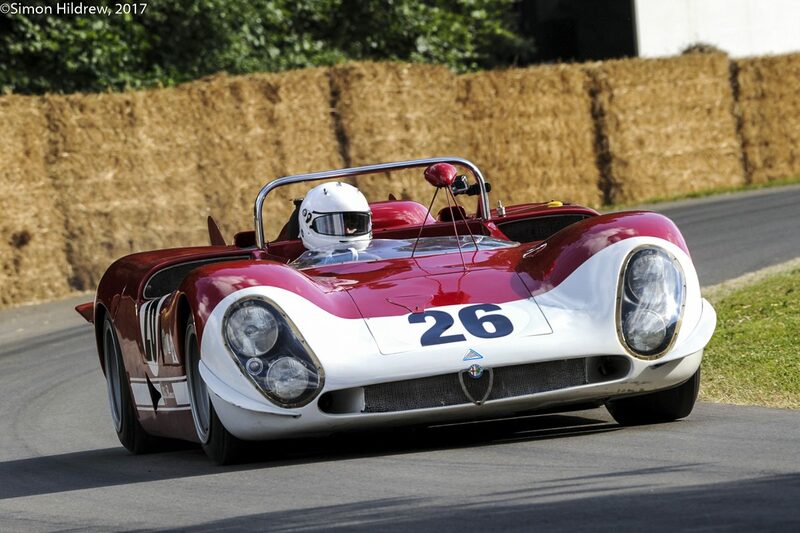 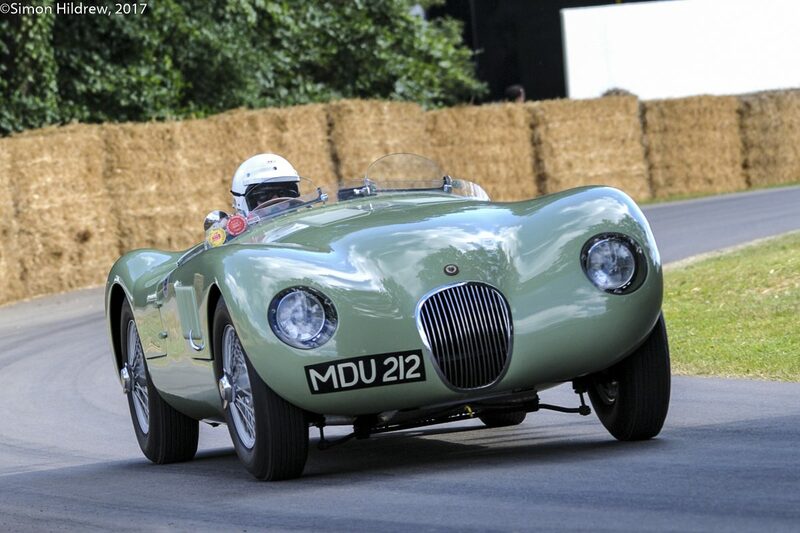 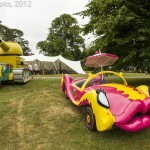 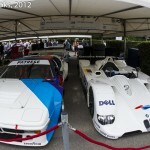 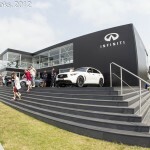 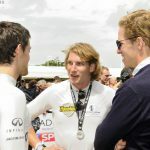 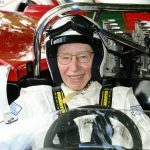 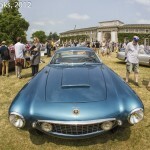 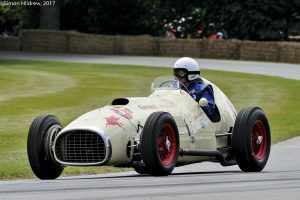 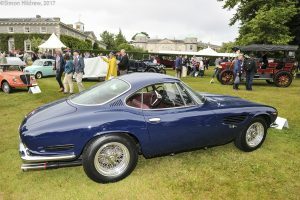 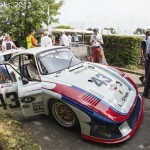 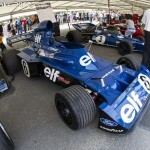 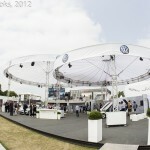 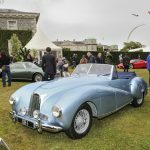 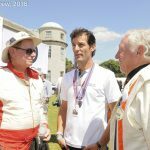 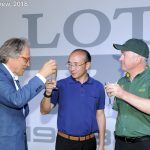 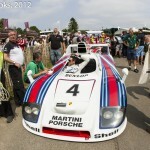 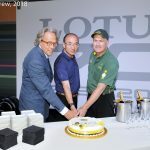 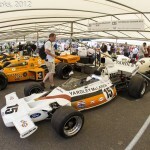 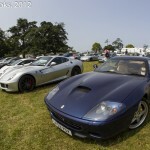 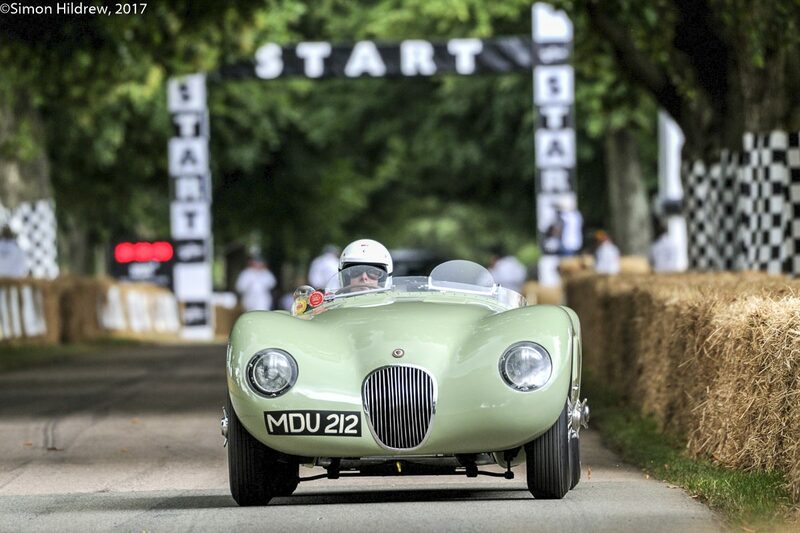 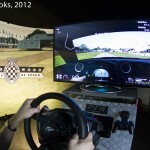 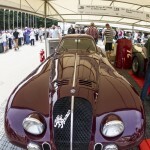 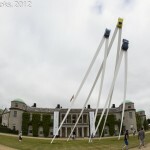 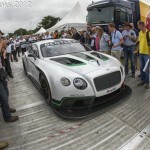 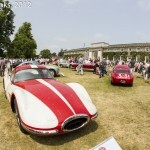 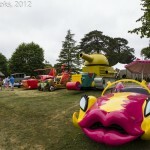 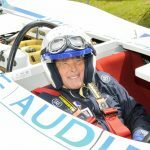 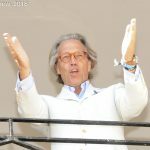 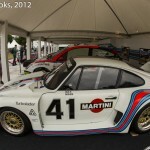 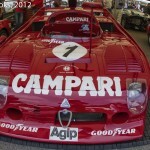 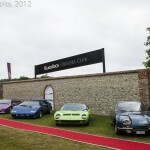 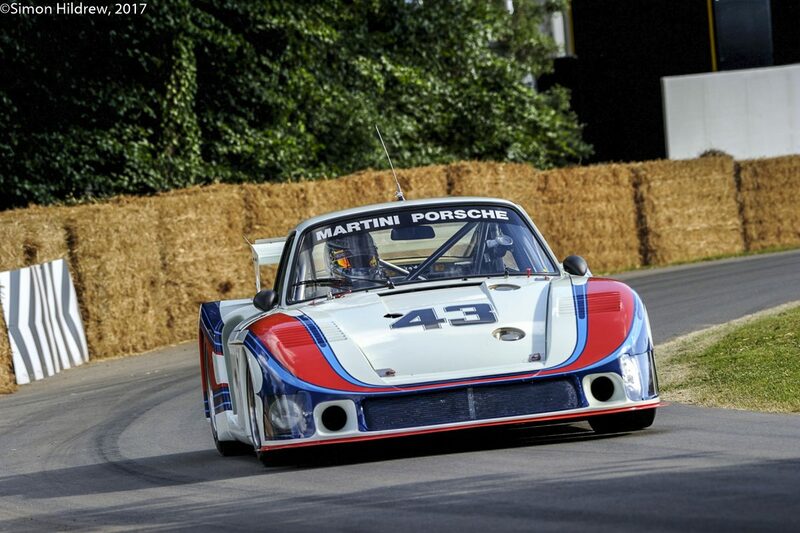 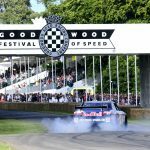 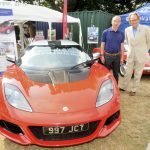 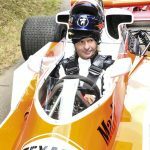 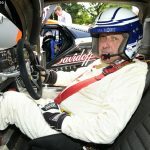 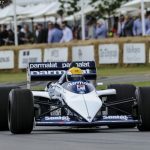 The Special Correspondent paid his annual visit to Lord March’s Goodwood Estate for the Festival of Speed. 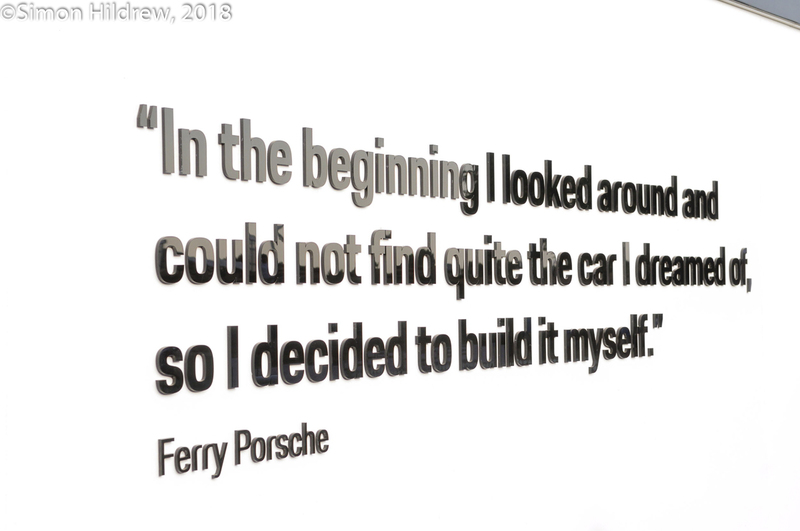 He found much to admire and pass comment on, and he favours us with his reflections. 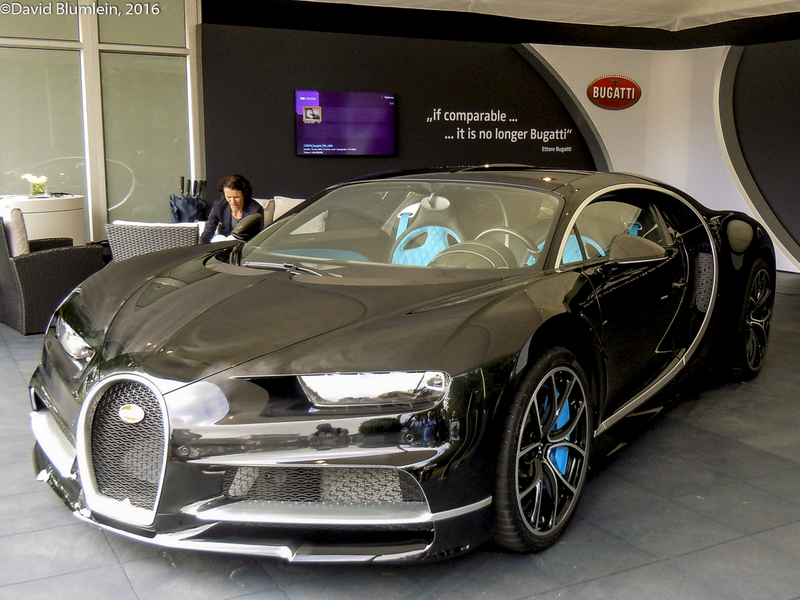 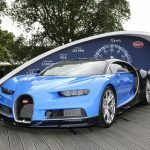 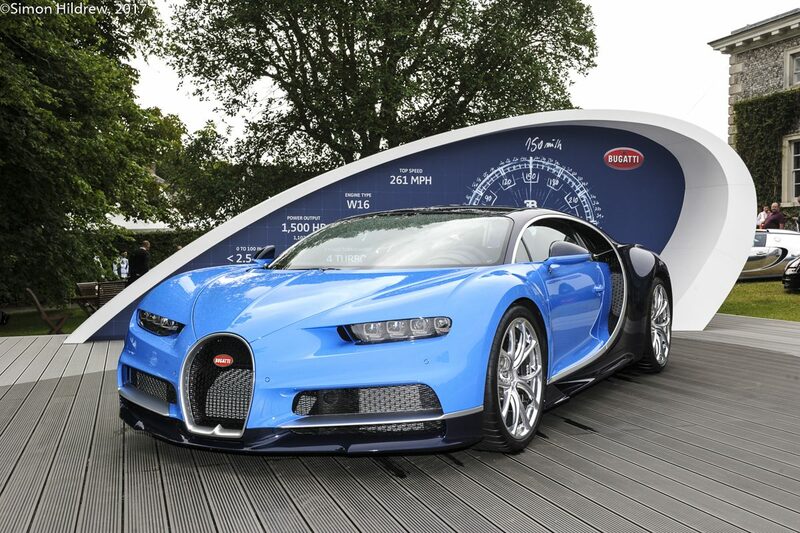 How better to start a visit than to be confronted with the new Bugatti Chiron? 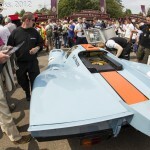 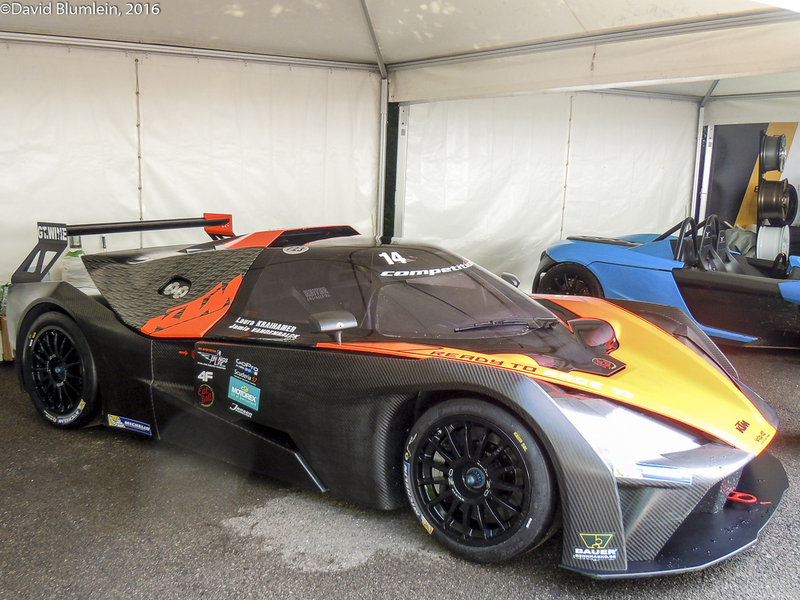 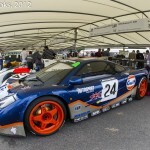 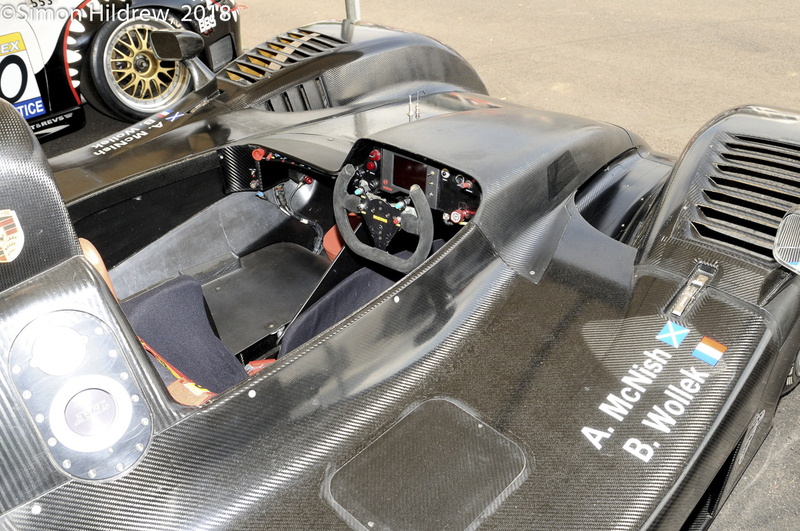 One is not at Goodwood very long before one sees a rare gem such as this KTM X-Bow GT4. 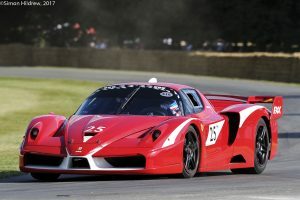 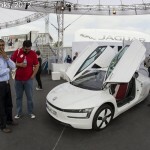 Developed by Reiter Engineering it uses an Audi 2.0 TFSI 4-cylinder engine. 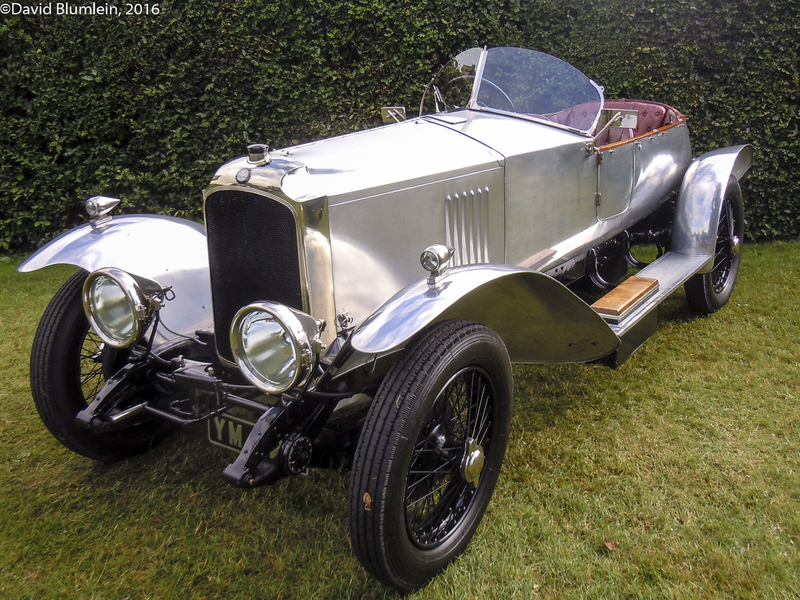 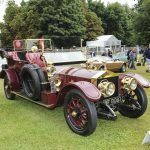 This 1924 Vauxhall Wensum is an example of the bespoke coachbuilt body styles fitted to the popular 30/98 chassis. 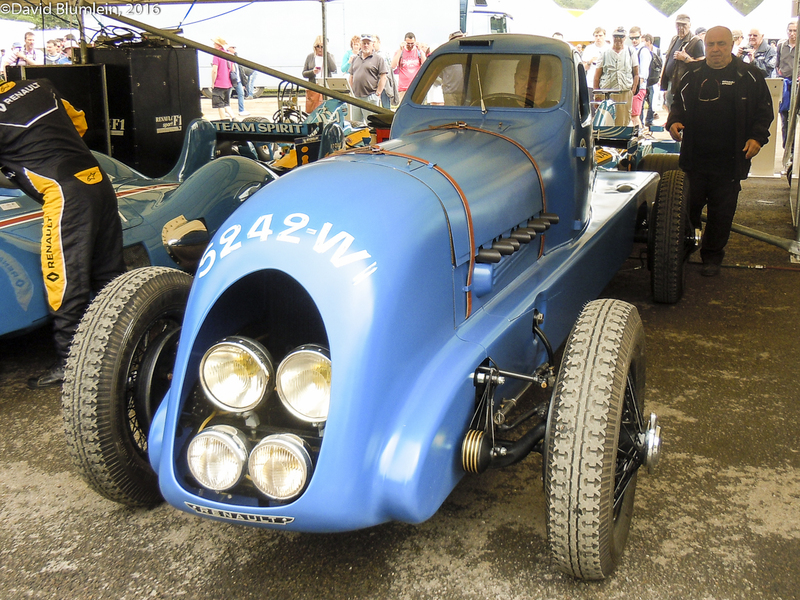 Vauxhall’s works driver, A.J.Hancock, kept a fast motorboat on the River Wensum near Norwich, hence the boat tail and wooden marine decking interior. 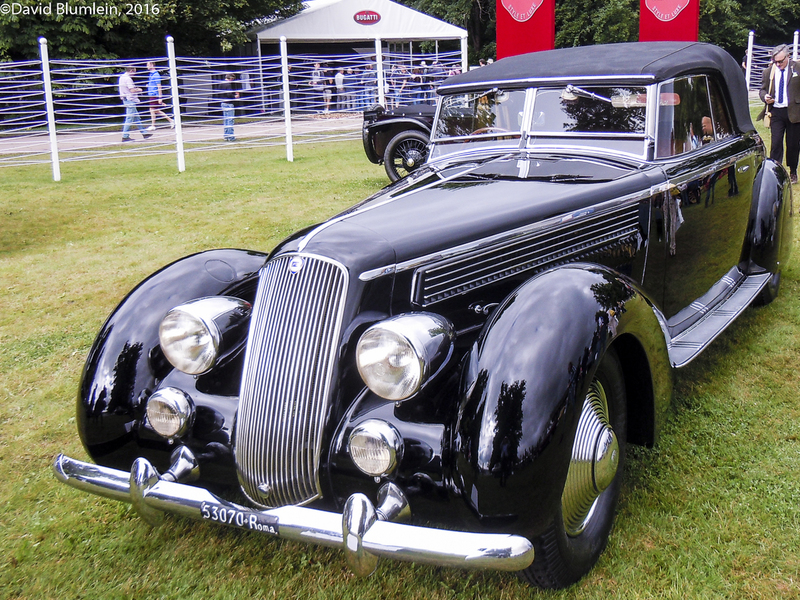 Following his Lambda masterpiece, Vincenzo Lancia created in 1931 the Astura with a brand new 2604 c.c. 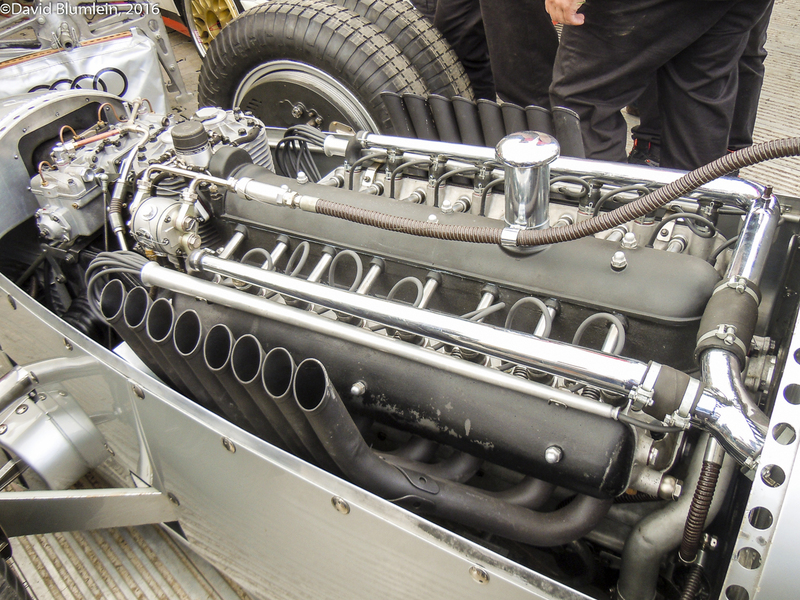 V8 engine for fast touring. 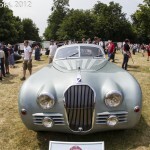 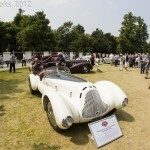 This is a 1933 example with Pinin Farina bodywork, one of a batch of five cabriolets for Lancia dealer Ernesto Bocca. 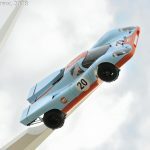 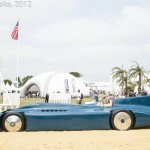 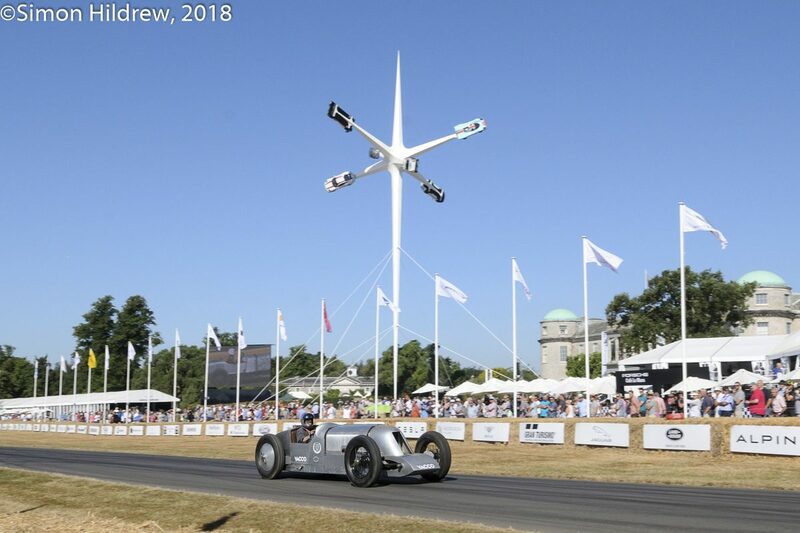 After the records by the 40CV cars in 1925 and 1926, Louis Renault asked his engineers to create a new record breaking car, the Nervasport, this a faithful recreation as the original has disappeared. 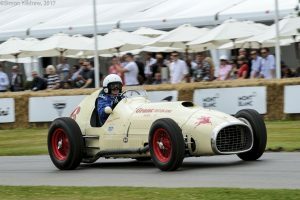 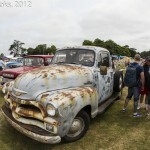 It had a straight 8 side-valve engine and 3-speed gearbox. 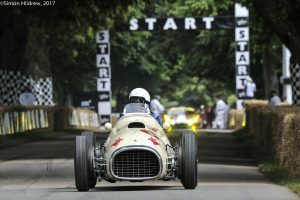 At Montlhéry in April 1934 it covered a record-breaking 5000 miles. 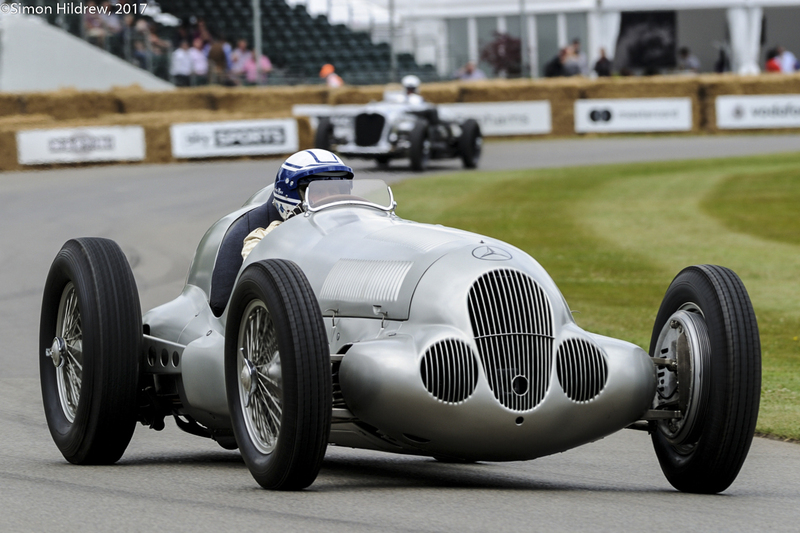 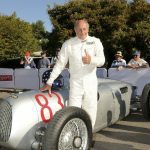 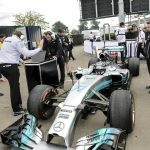 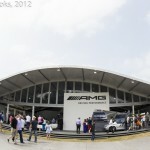 This Mercedes-Benz W25 R attained over 230 m.p.h. 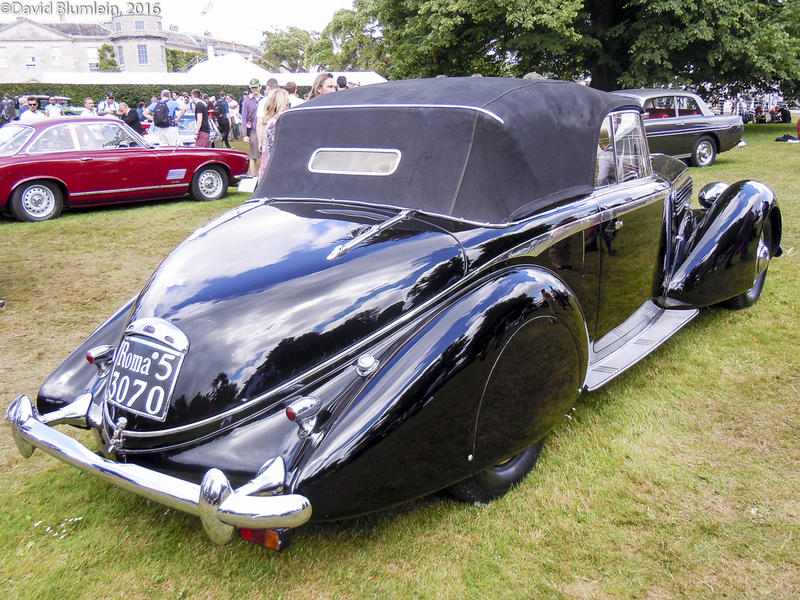 in 1936. 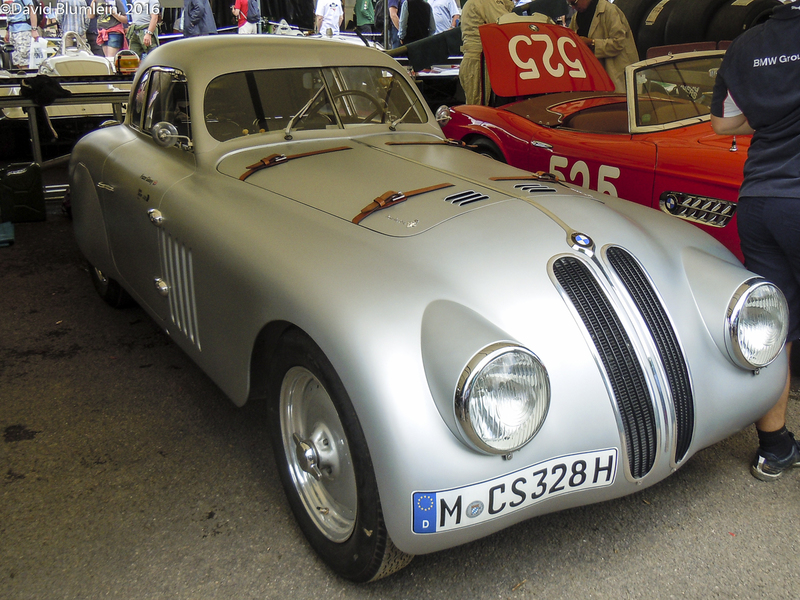 This is the 1940 Mille Miglia-winning BMW 2-litre, driven by Huschke von Hanstein and Walter Baumer. 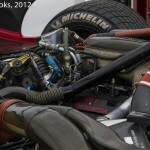 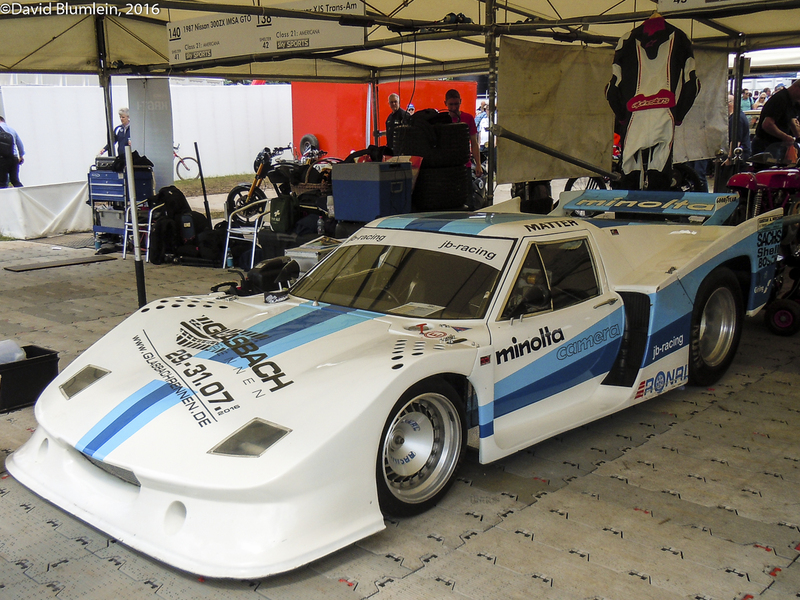 This unusual version of the Lotus Europa has a turbo BDA as used in the Zakspeed Capri. 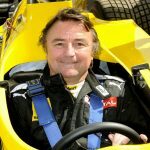 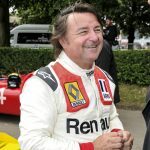 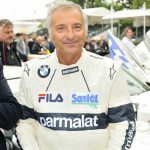 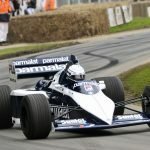 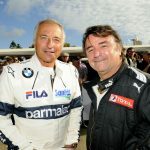 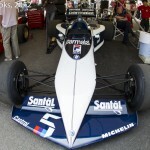 The car’s only noteworthy result was a sixth place at Hockenheim in 1979, driven by Harald Ertl. 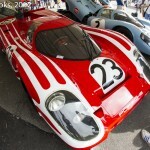 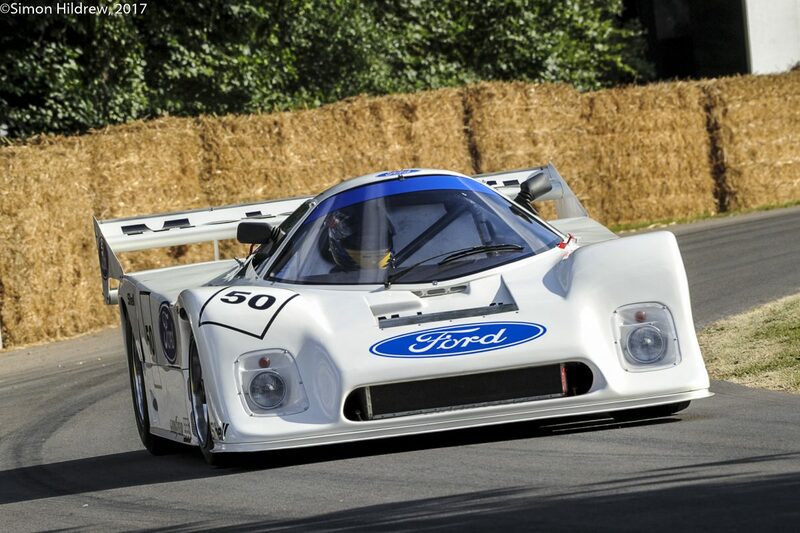 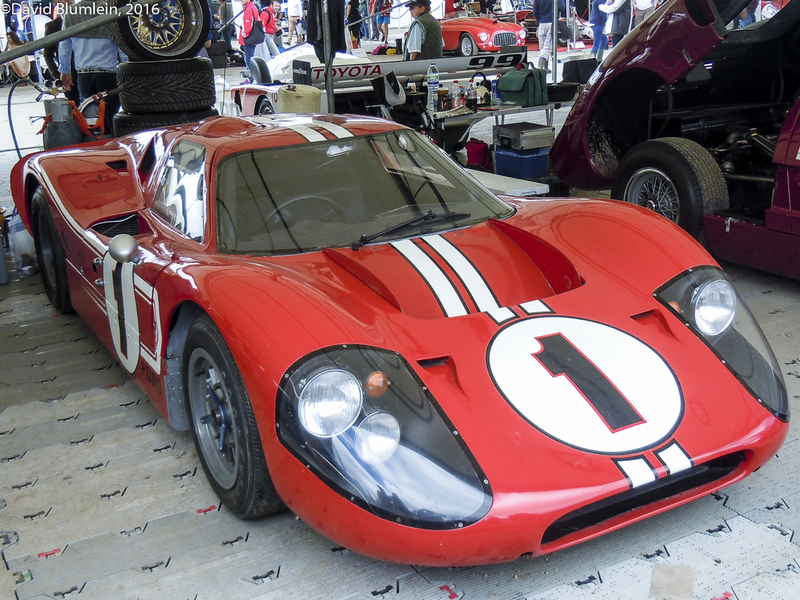 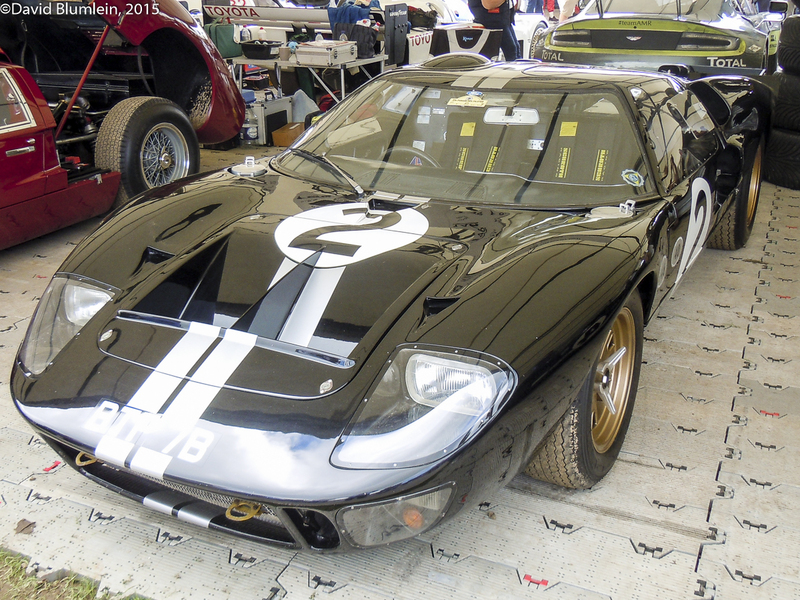 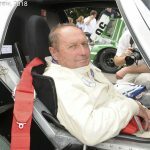 It took Ford three years to win Le Mans, achieving it with the 7-litre GT40 Mk 2 in 1966. 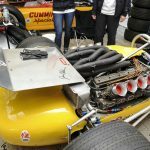 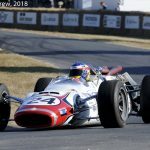 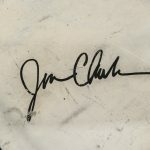 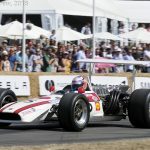 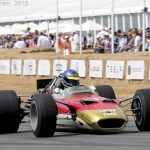 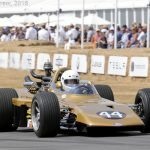 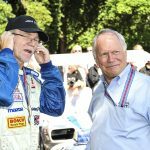 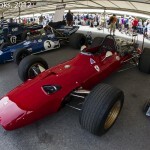 They repeated their success in 1967 when Dan Gurney and A.J.Foyt drove this Mark IV. 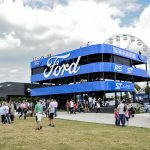 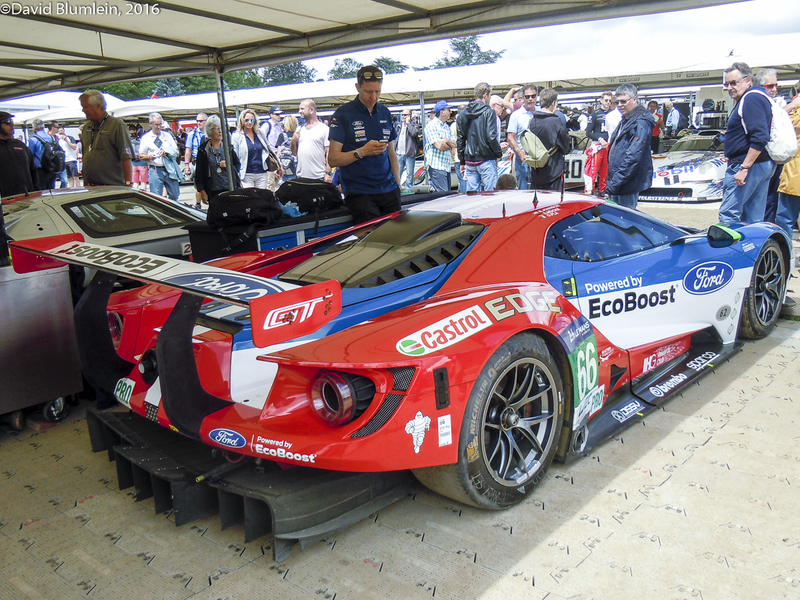 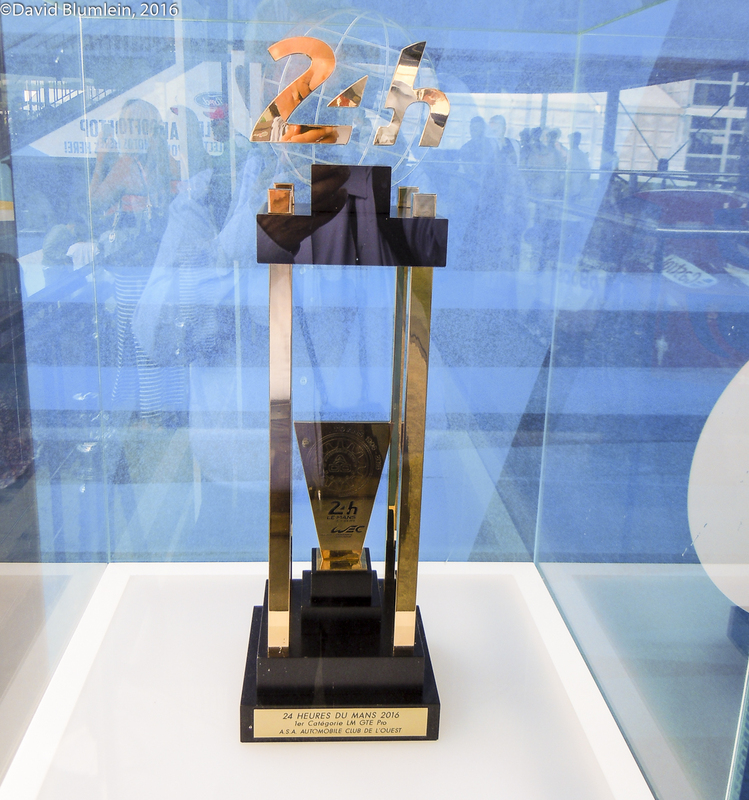 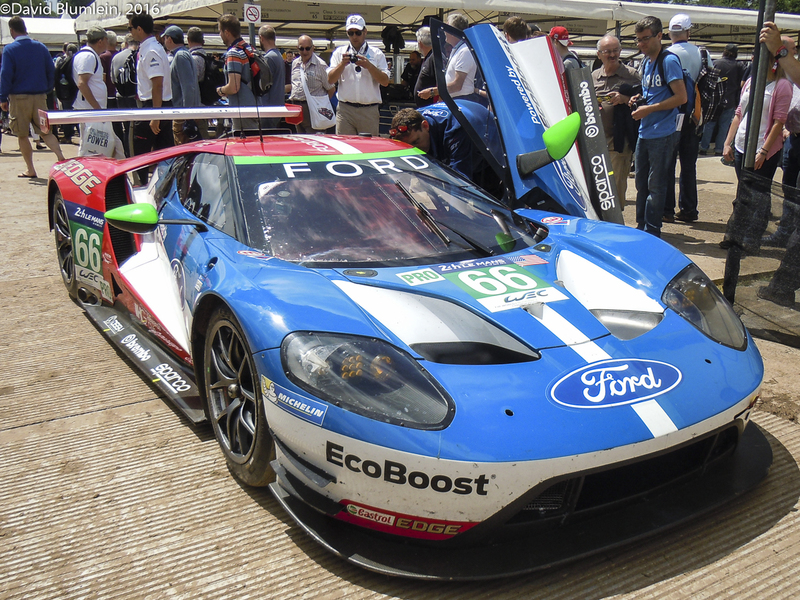 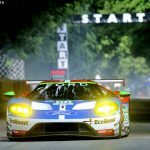 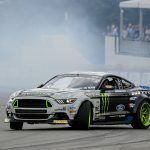 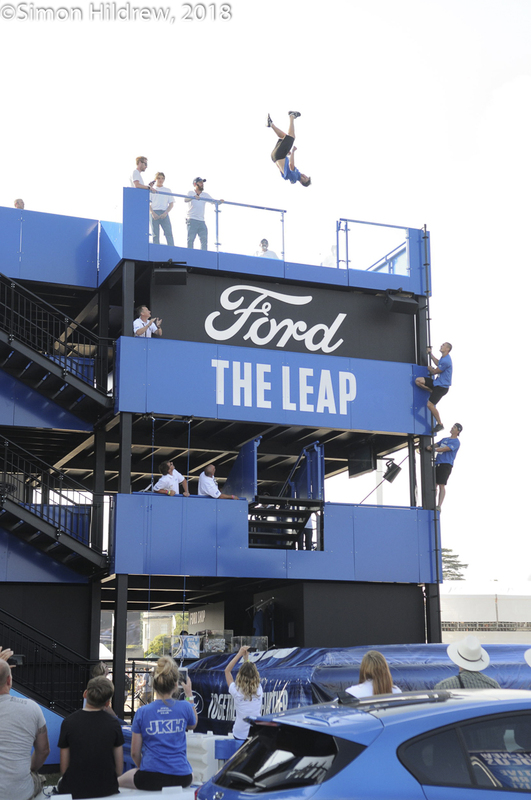 Ford returned to Le Mans this year with their new GT and successfully won the GTE Pro class. 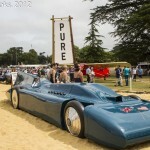 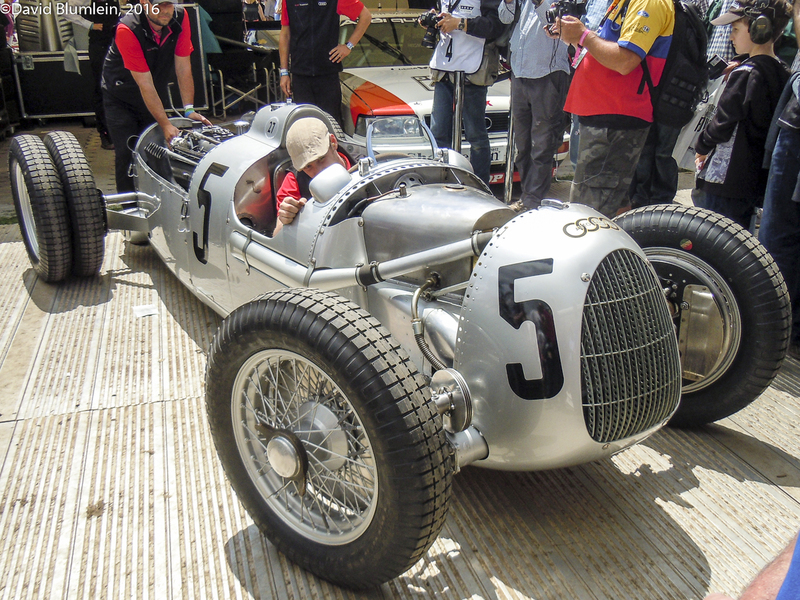 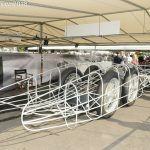 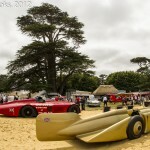 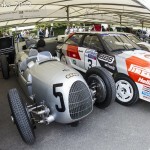 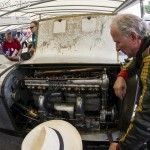 The 1936 Auto Union C-type warming up in the paddock. 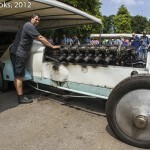 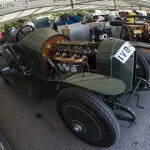 Here is its 6-litre supercharged V16 engine. 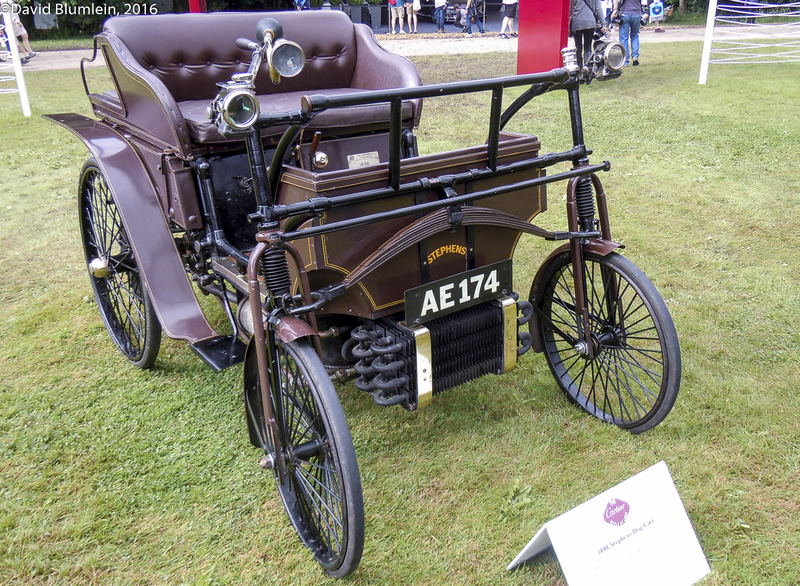 An 1898 Stephens Dog Cart – note the independent front suspension! 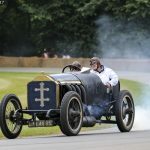 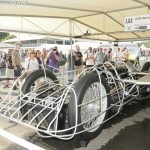 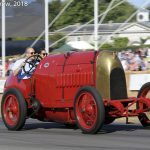 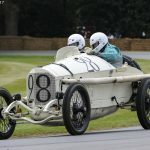 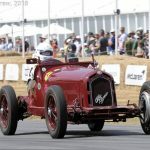 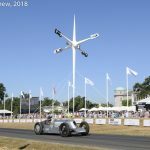 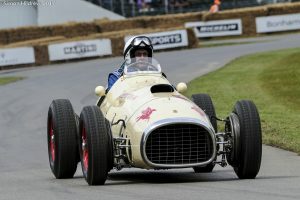 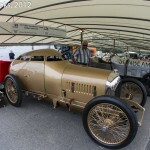 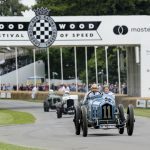 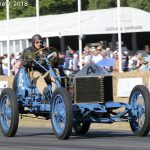 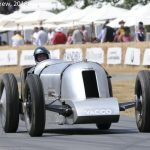 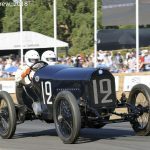 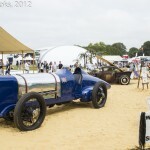 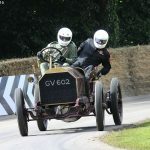 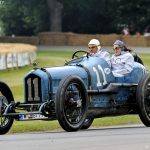 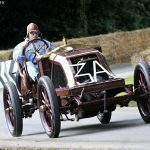 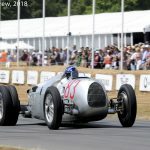 This entry was posted in From A Special Correspondent and tagged 1898 Stephens Dog Cart, 1924 Vauxhall Wensum, 1936 Auto Union C-type, 1940 Mille Miglia-winning BMW 2-litre, Bugatti Chiron, Ford GT, Ford GT40 Mk 2, Ford Mark IV, Goodwood Festival of Speed, KTM X-Bow GT4, Lotus Europa, Mercedes-Benz W25 R, Nervasport on July 13, 2016 by John Brooks. 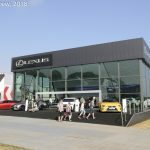 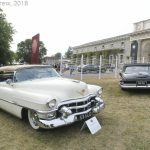 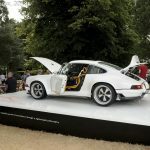 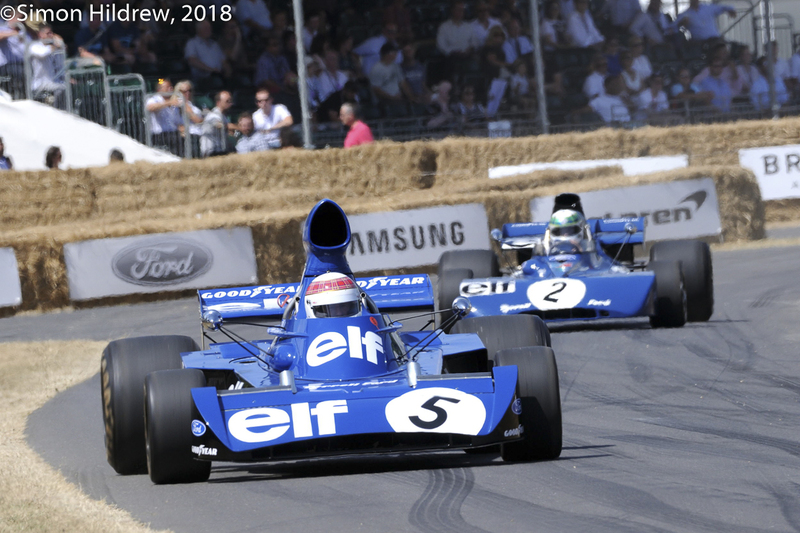 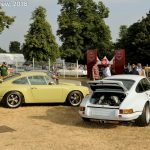 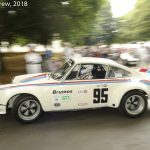 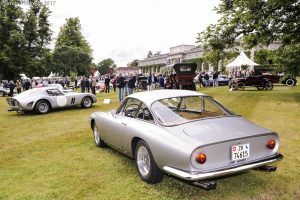 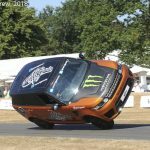 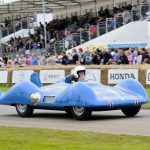 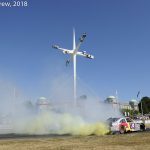 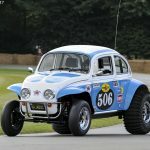 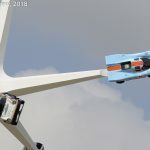 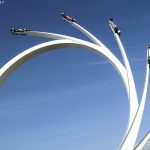 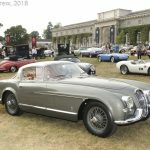 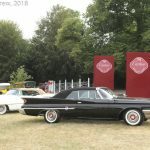 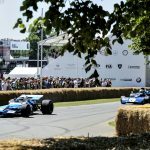 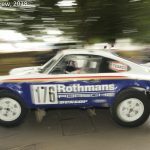 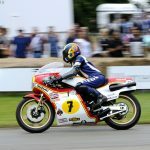 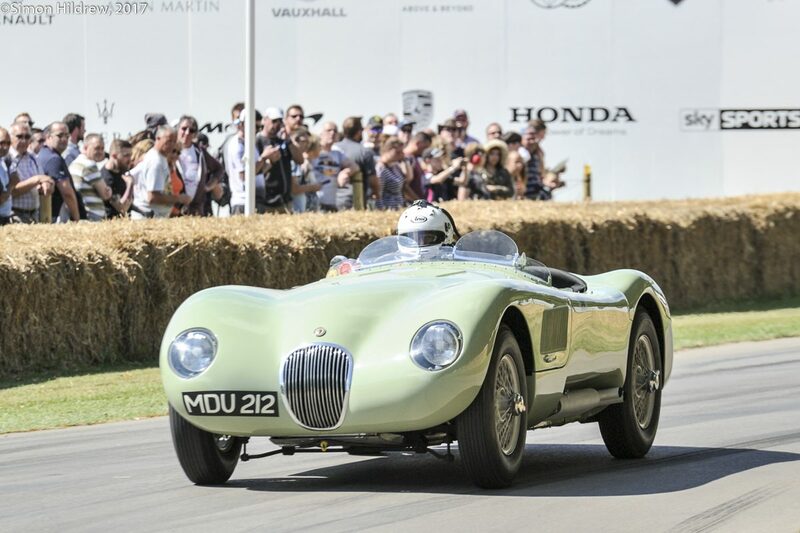 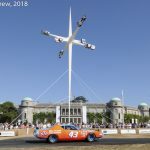 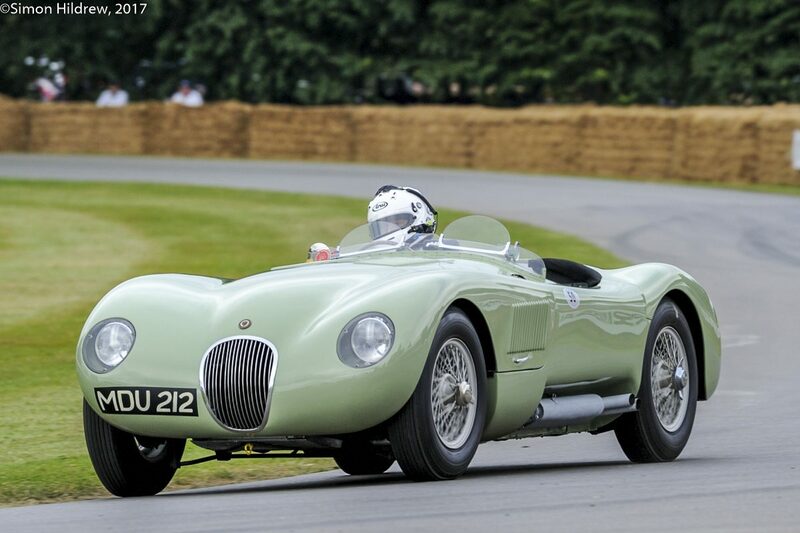 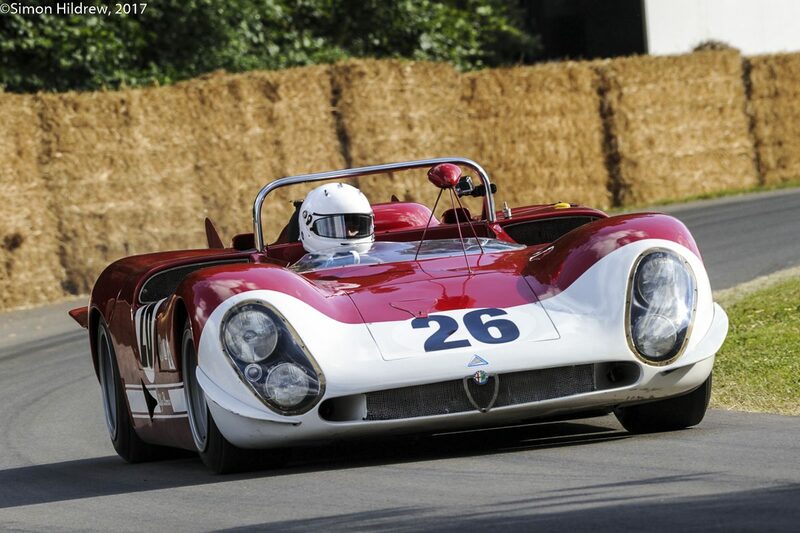 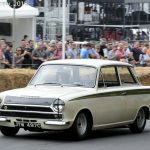 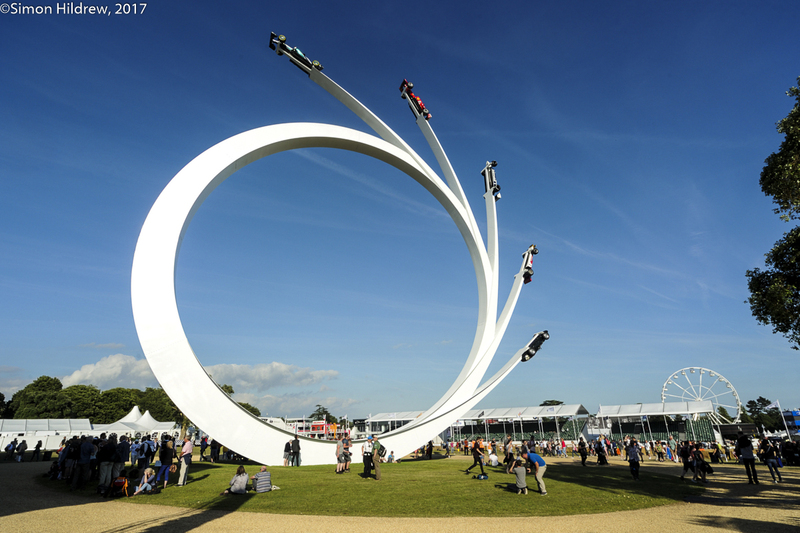 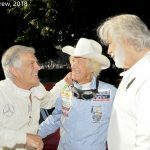 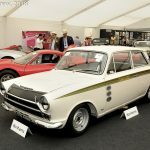 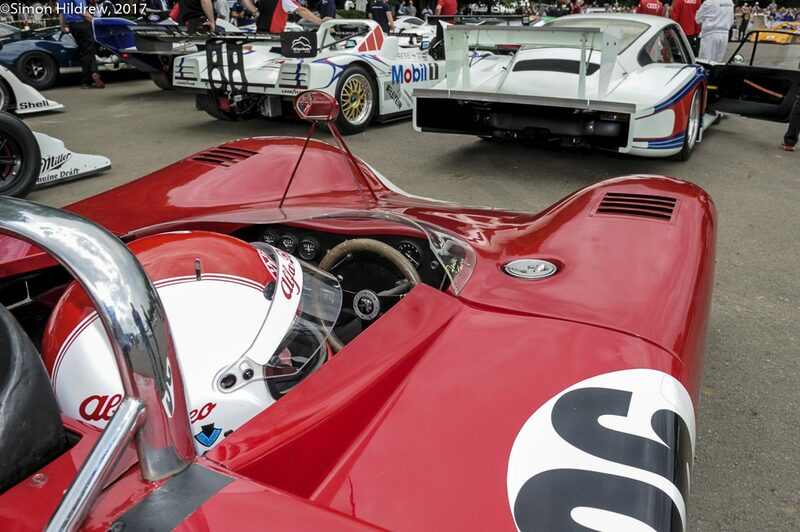 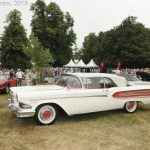 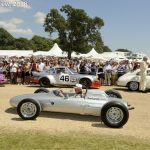 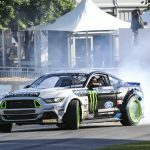 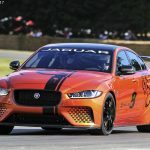 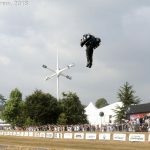 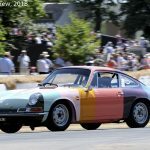 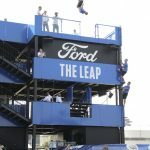 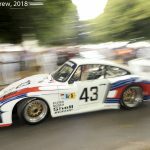 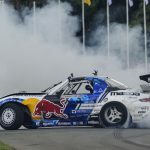 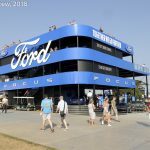 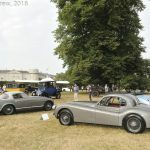 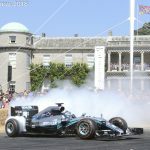 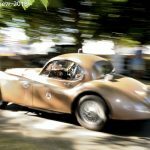 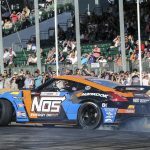 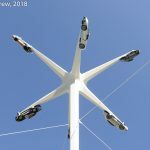 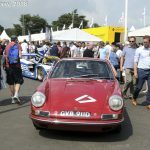 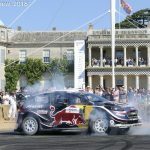 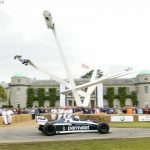 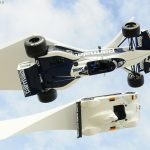 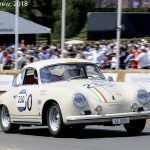 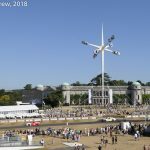 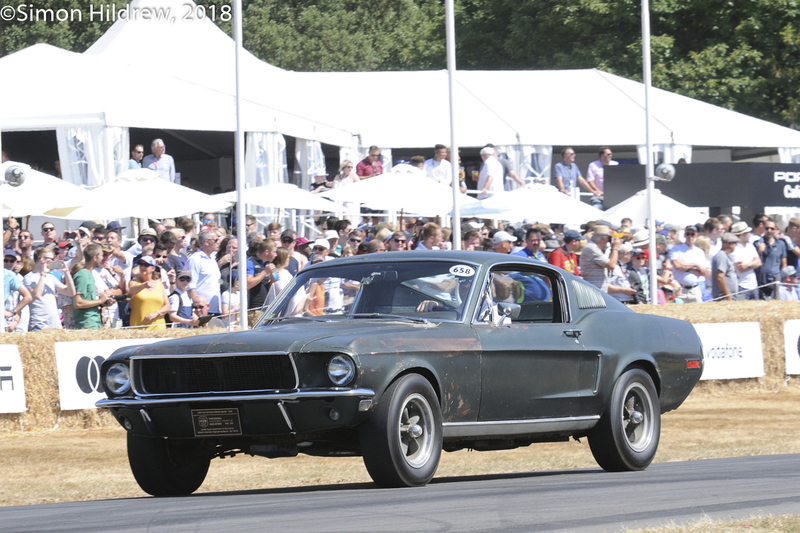 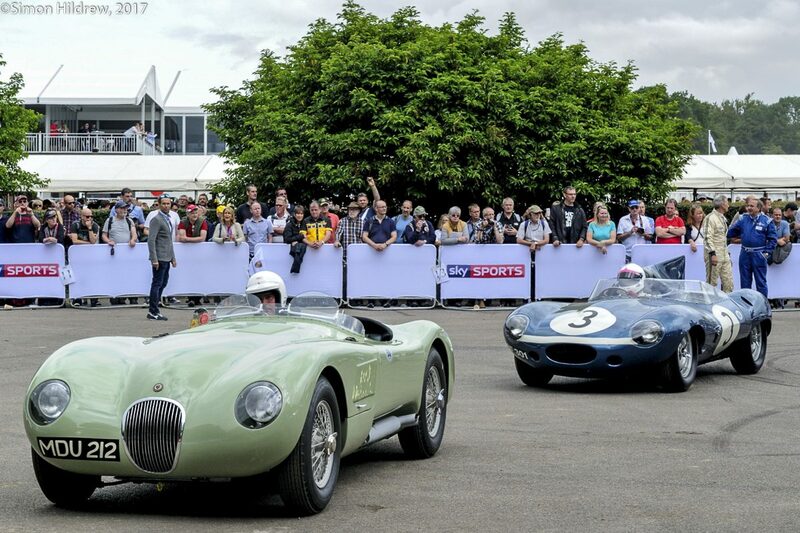 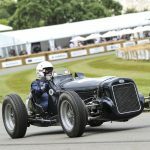 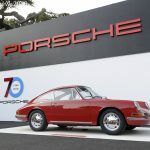 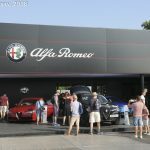 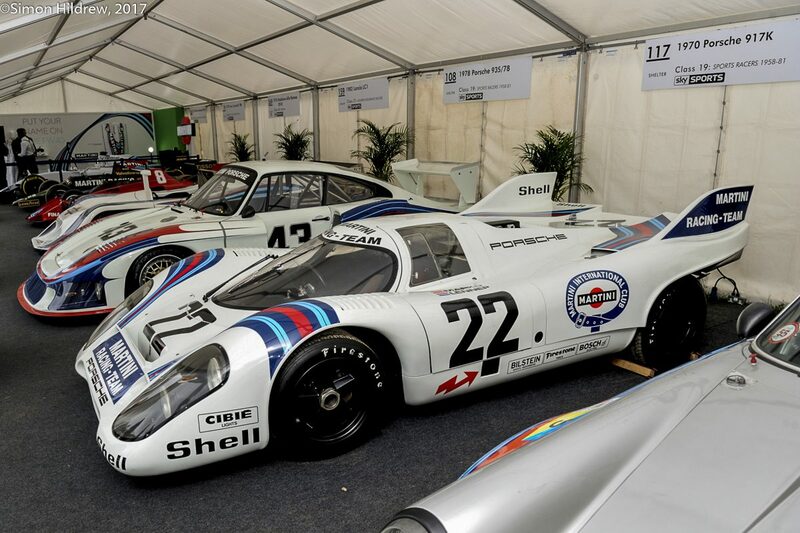 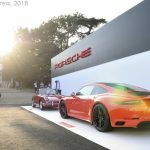 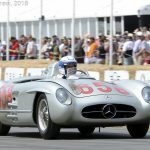 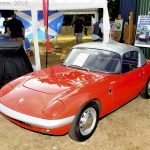 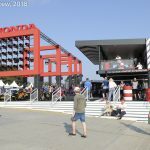 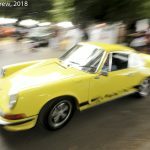 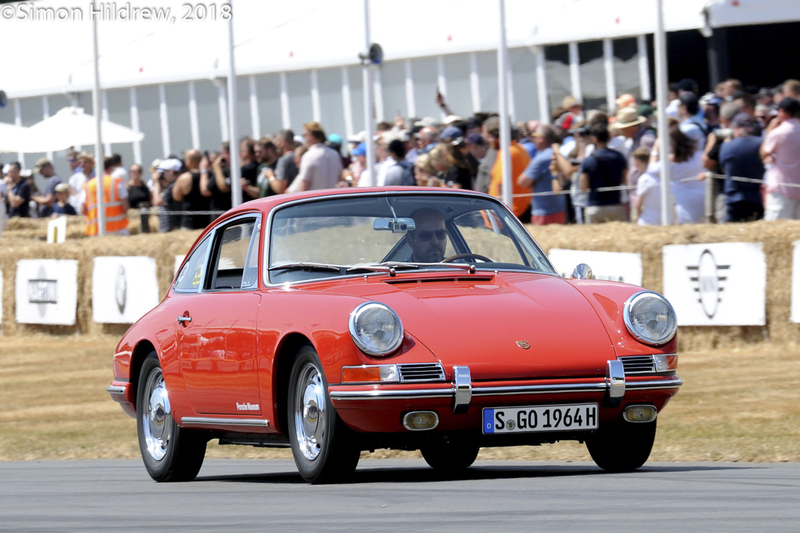 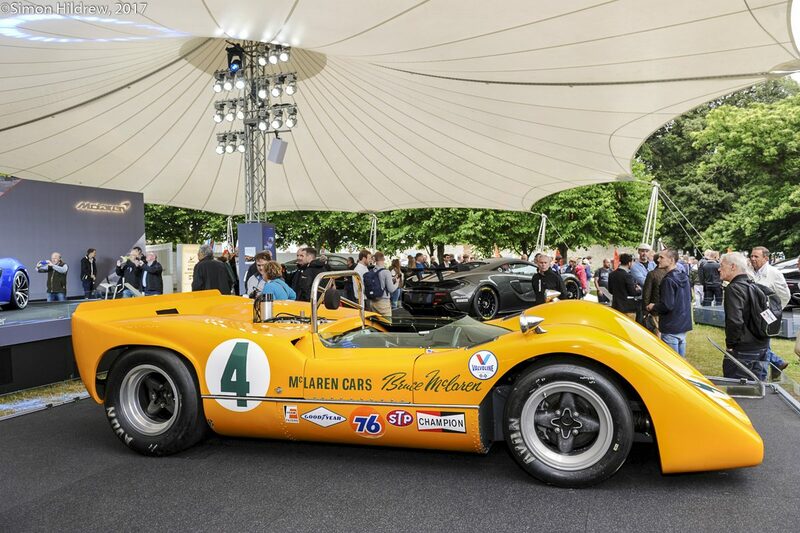 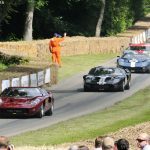 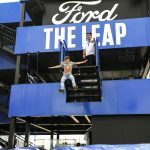 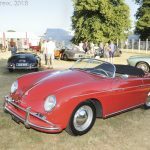 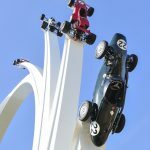 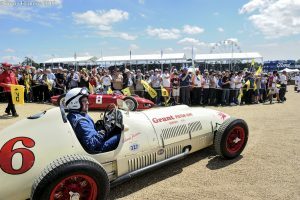 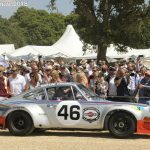 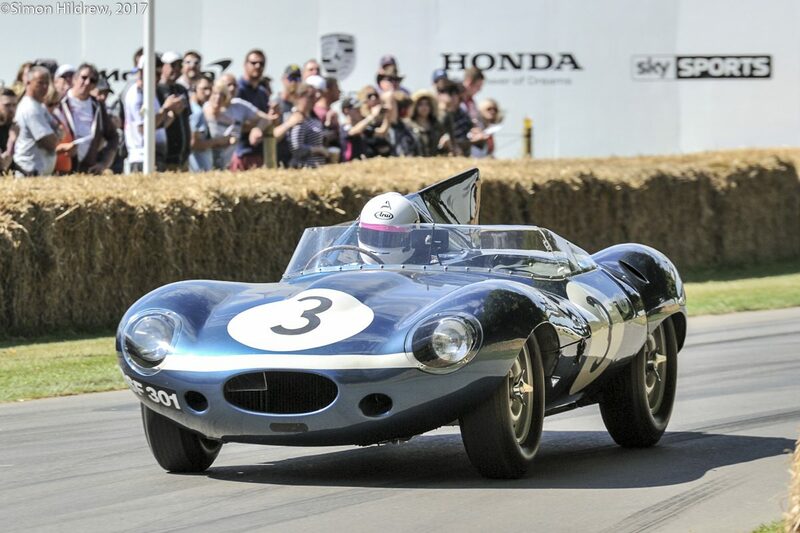 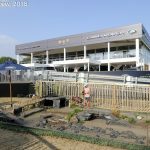 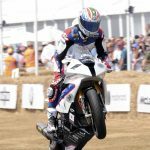 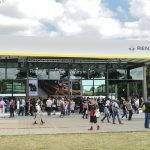 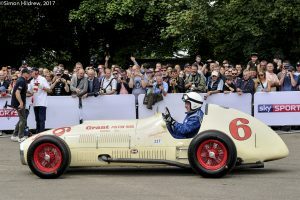 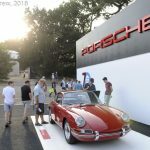 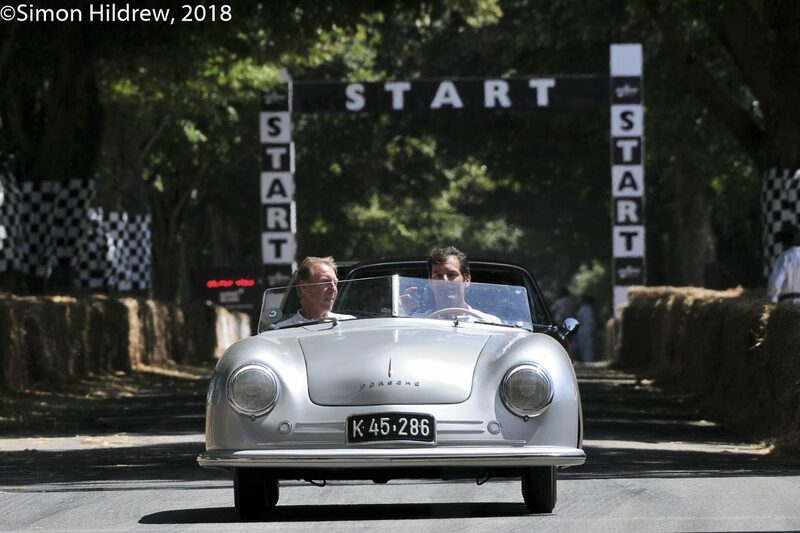 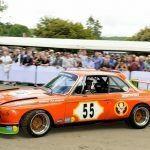 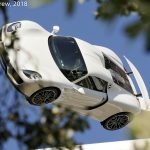 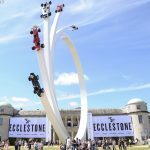 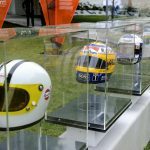 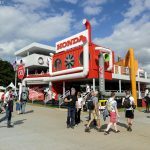 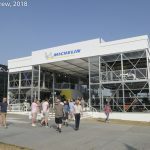 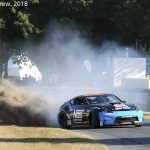 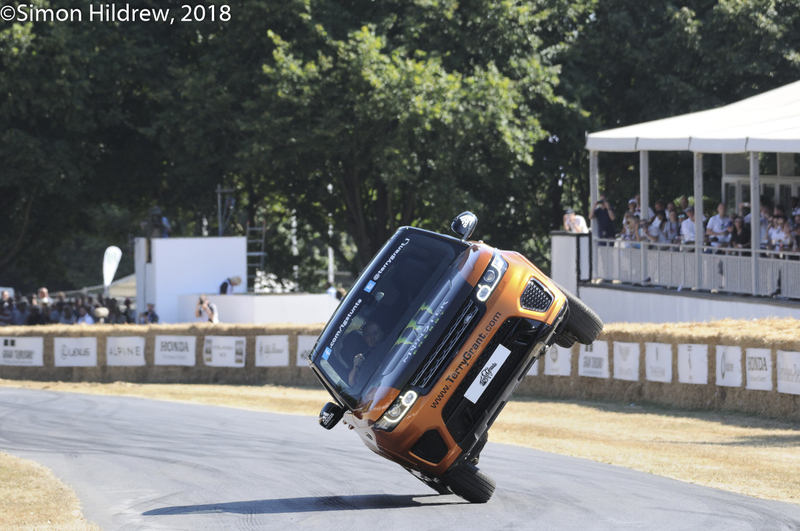 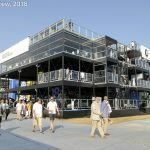 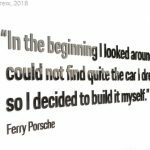 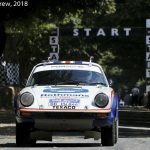 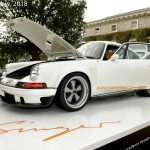 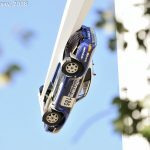 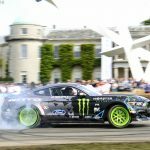 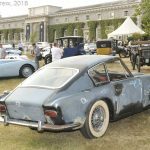 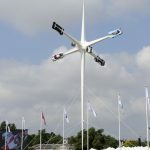 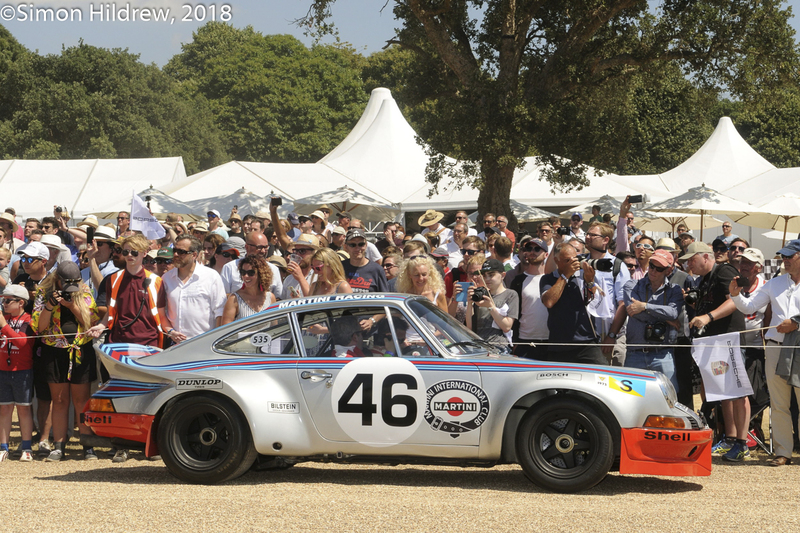 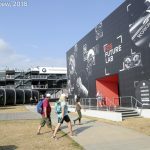 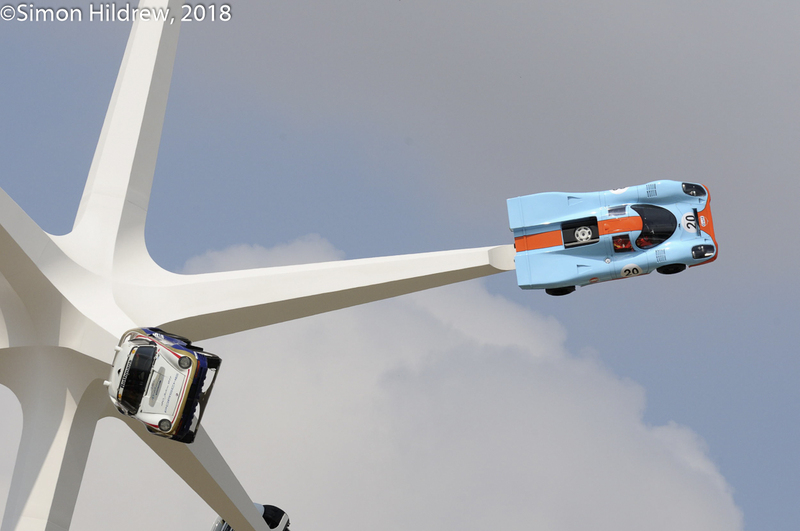 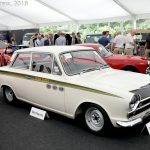 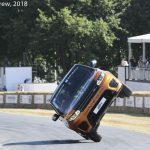 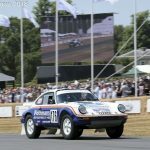 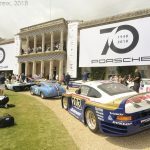 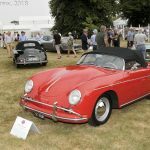 The Goodwood Festival of Speed was the usual cornucopia of all things automotive – something for everyone……………..so enjoy the scene. 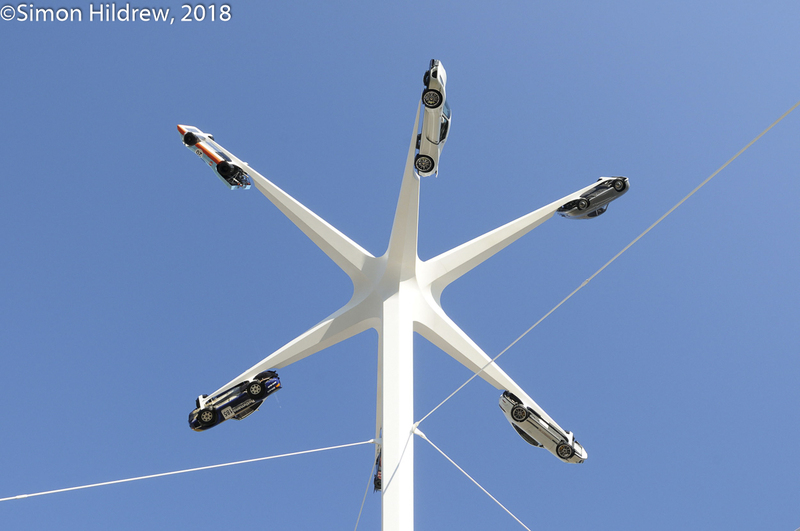 And like England’s cricketers, this post sees the 300 up for us in this first innings. 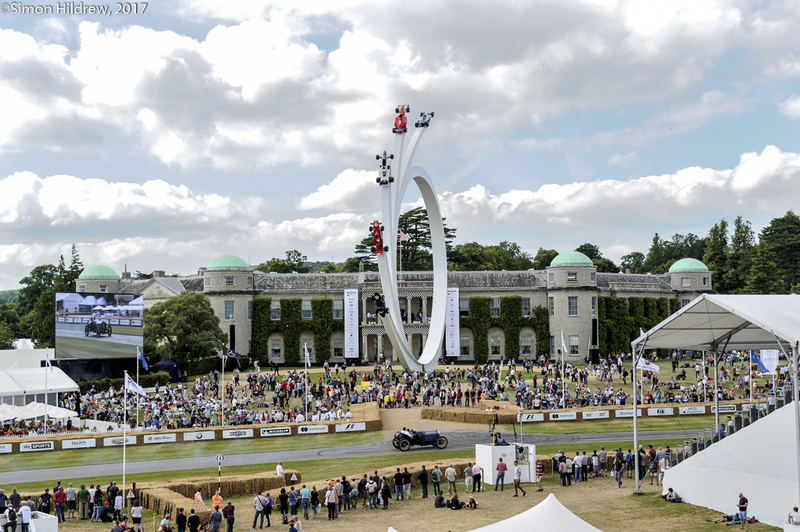 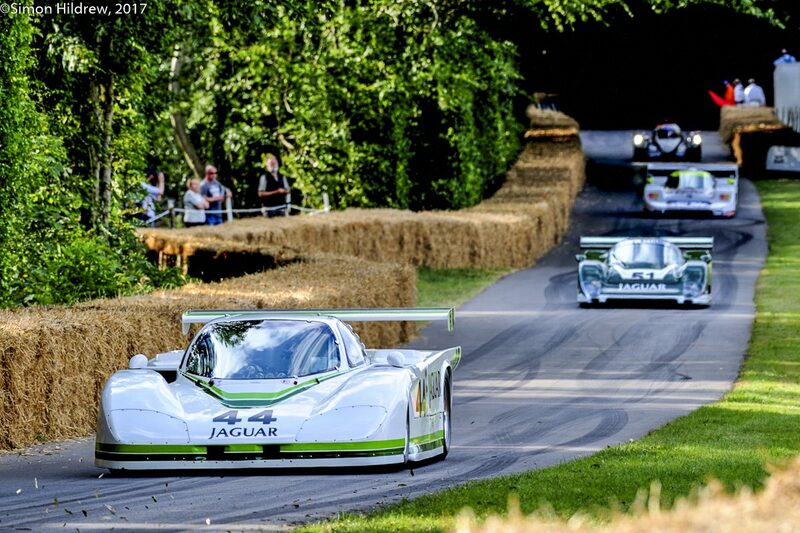 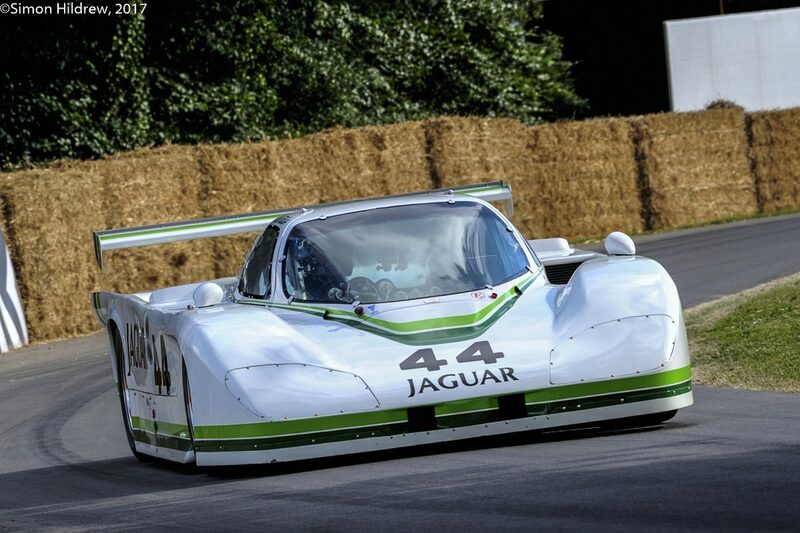 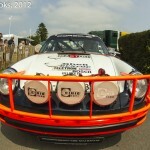 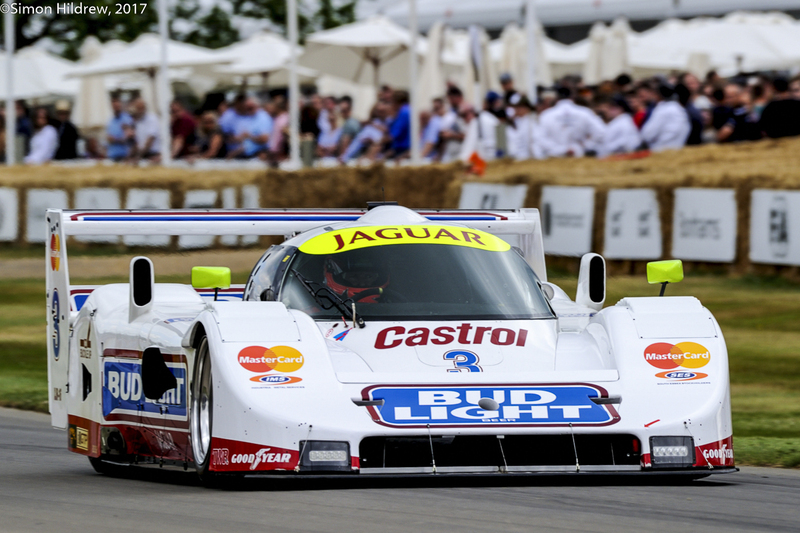 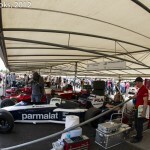 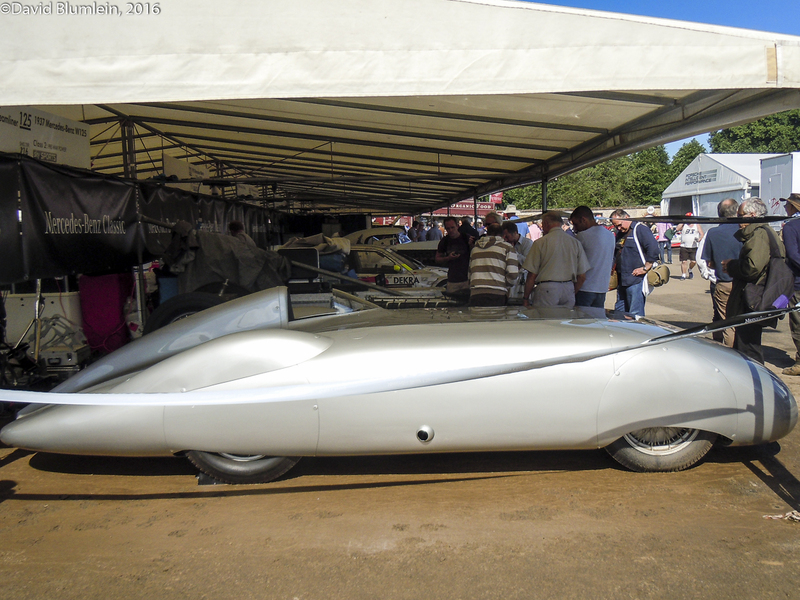 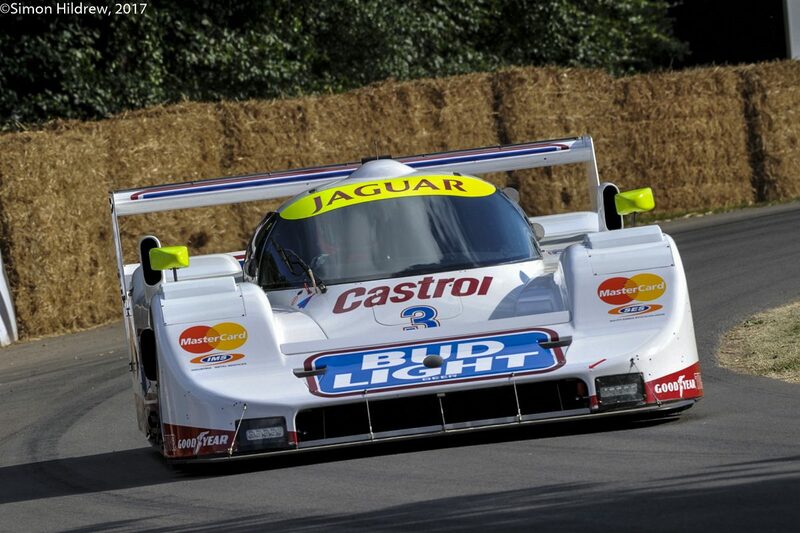 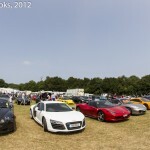 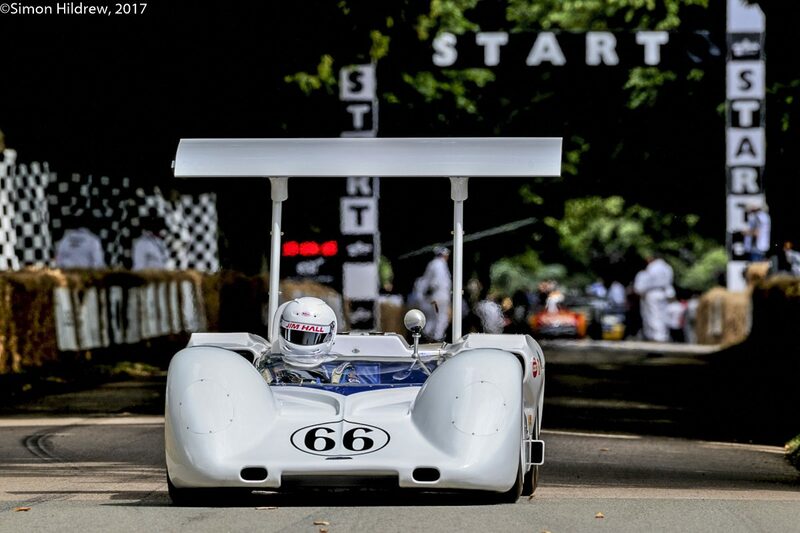 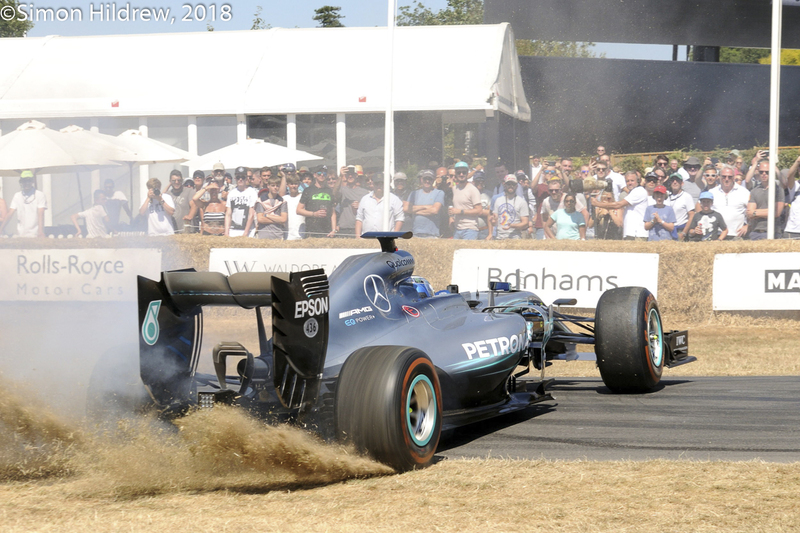 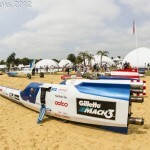 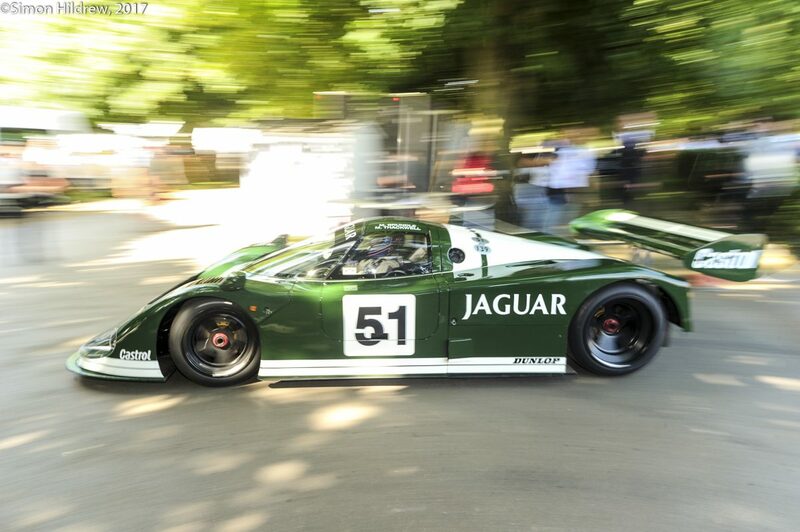 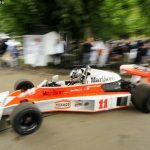 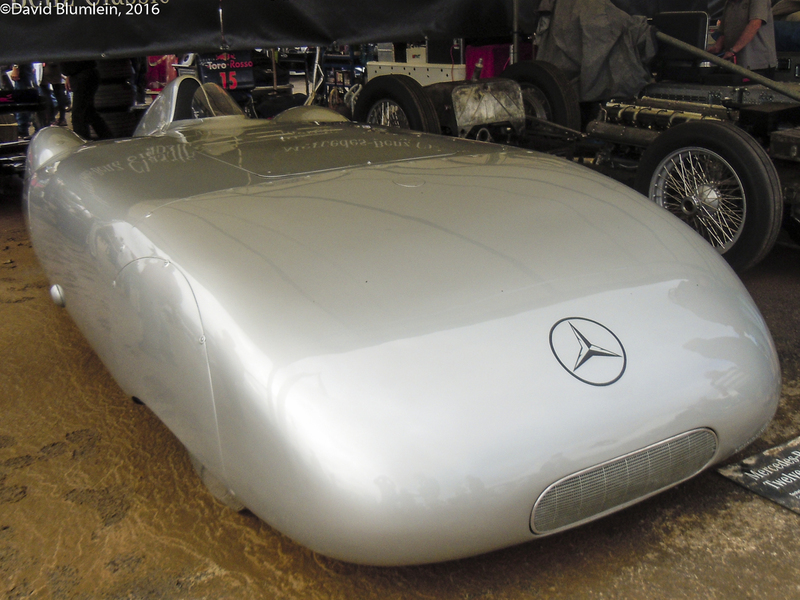 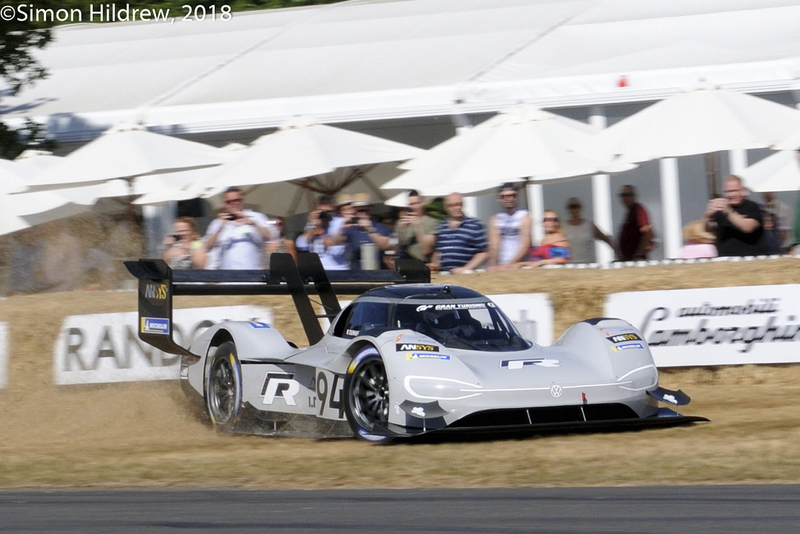 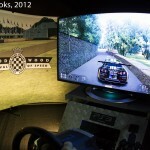 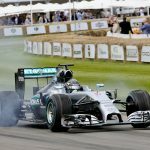 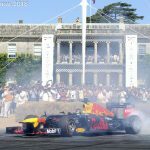 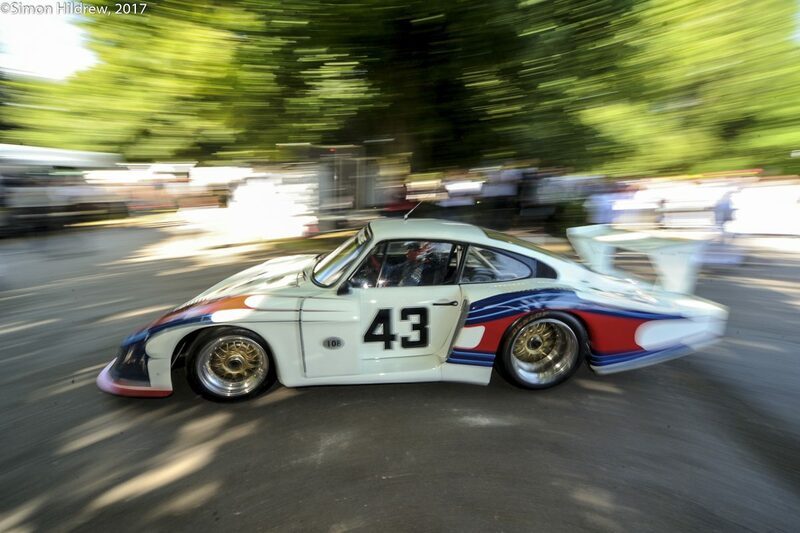 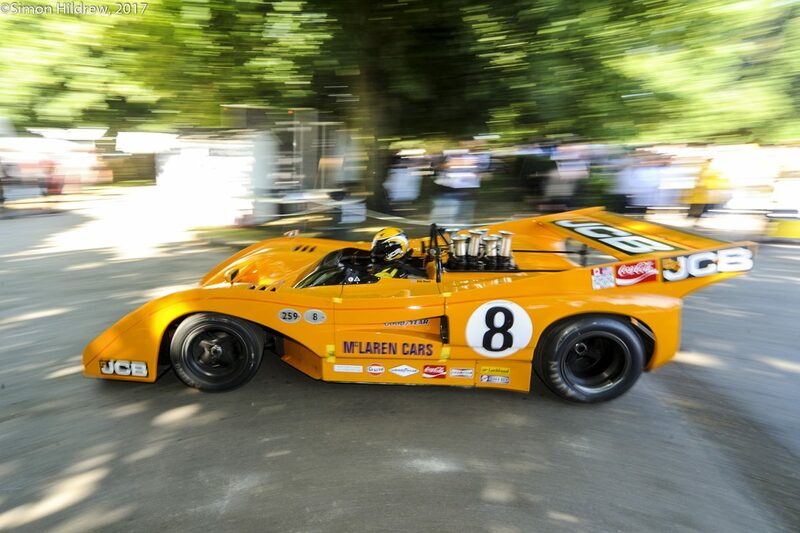 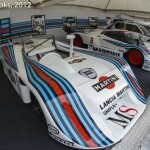 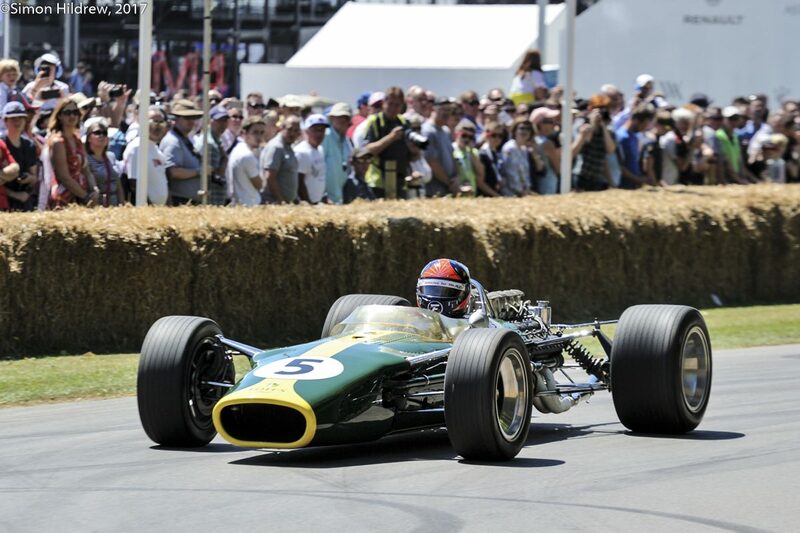 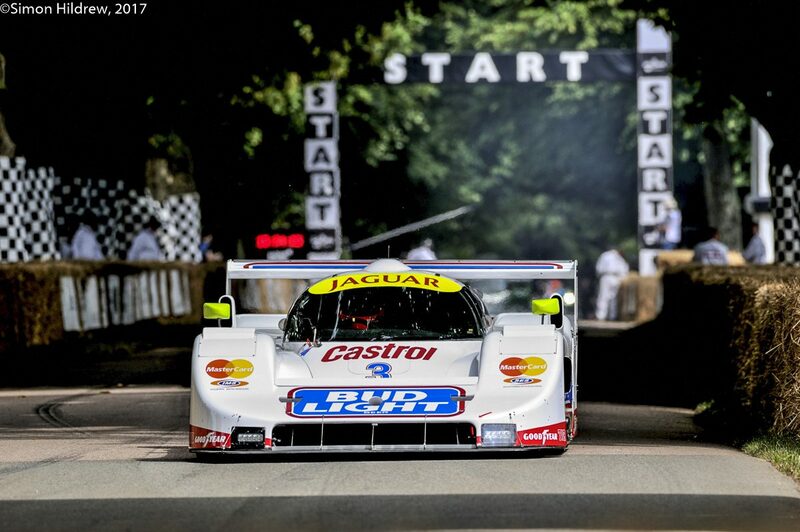 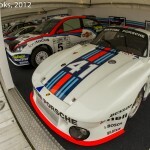 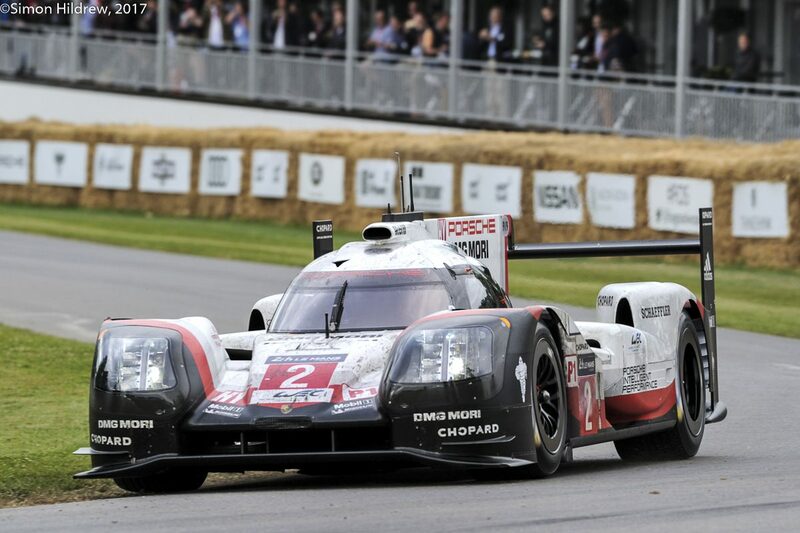 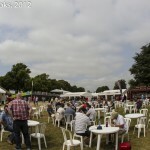 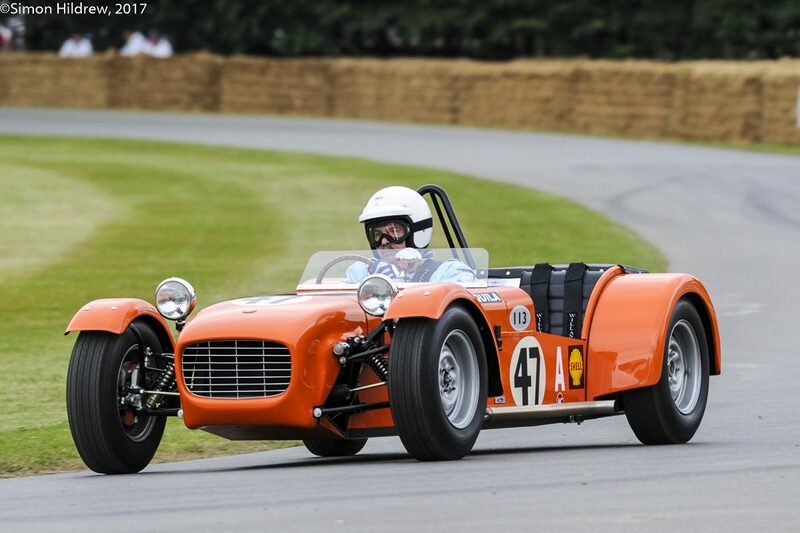 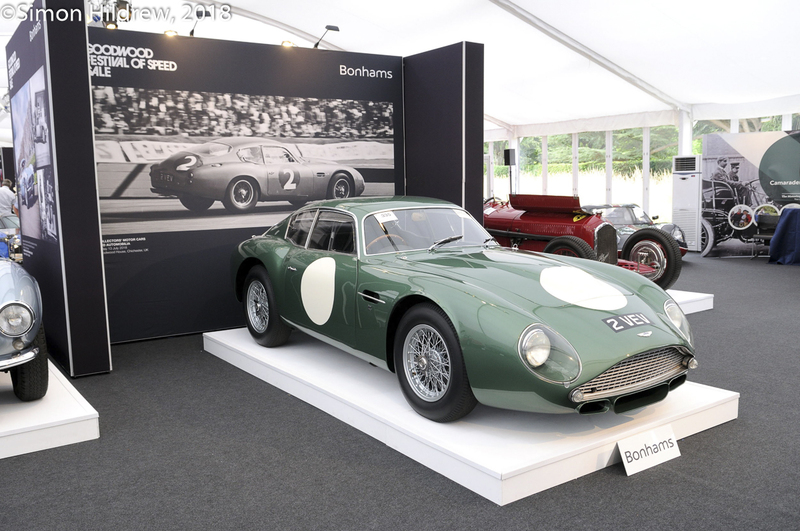 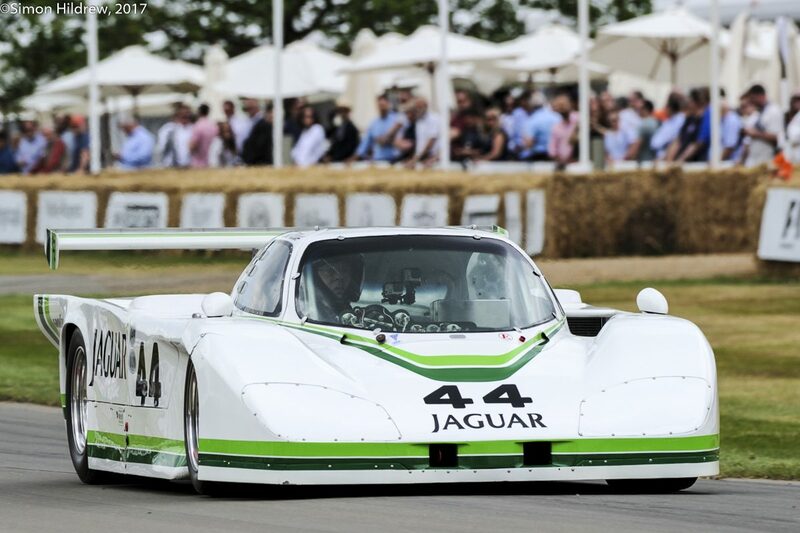 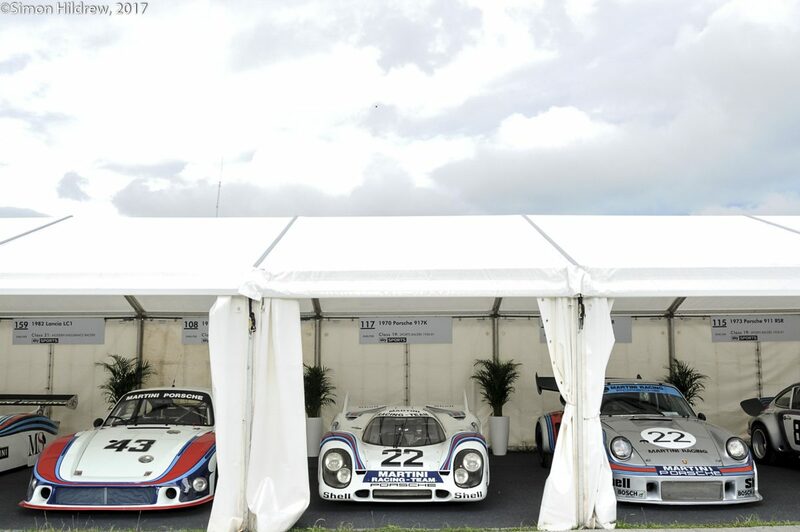 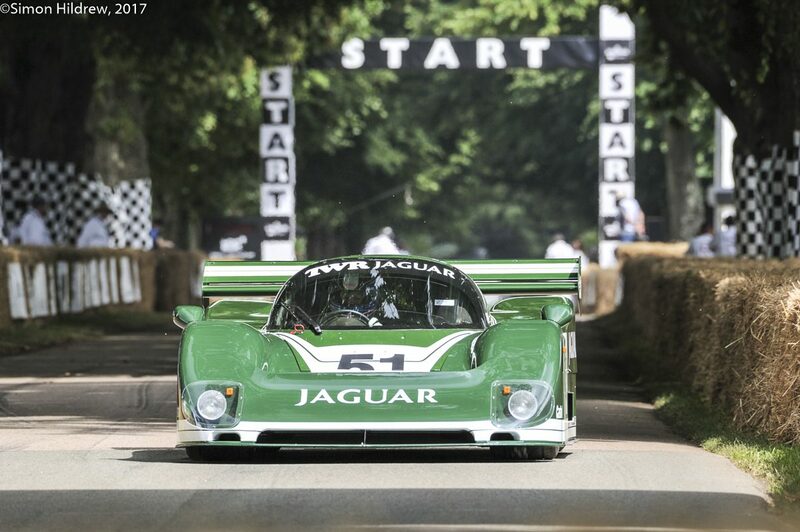 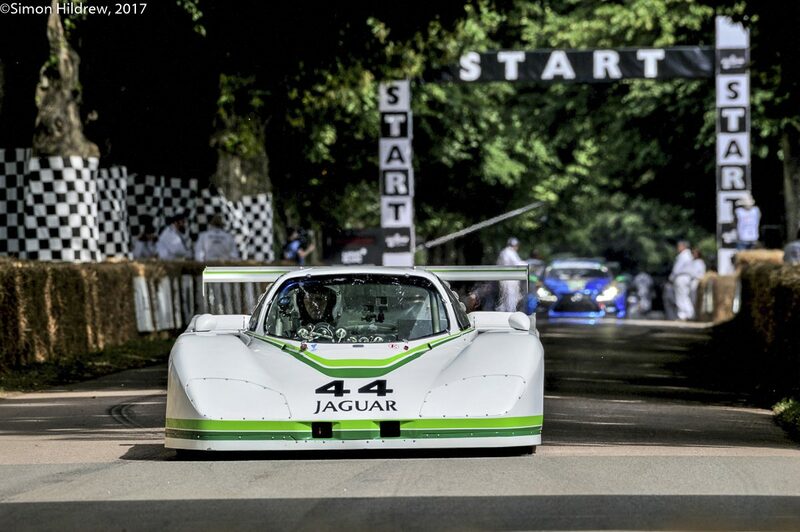 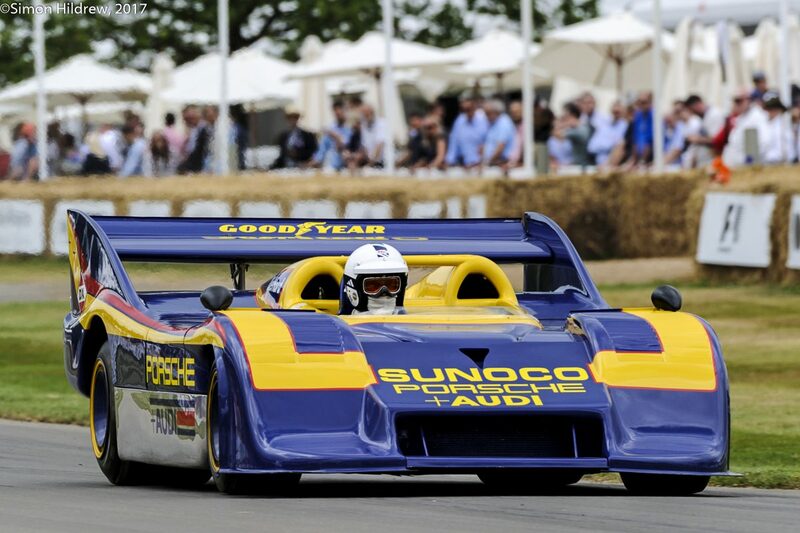 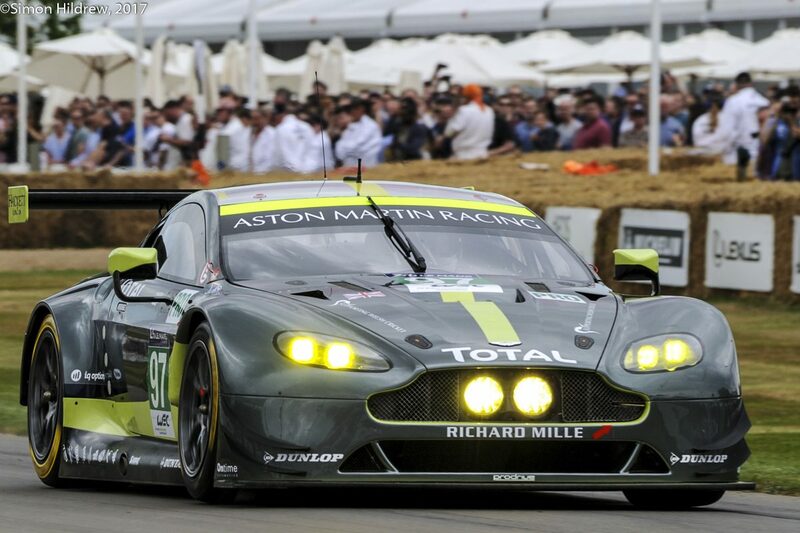 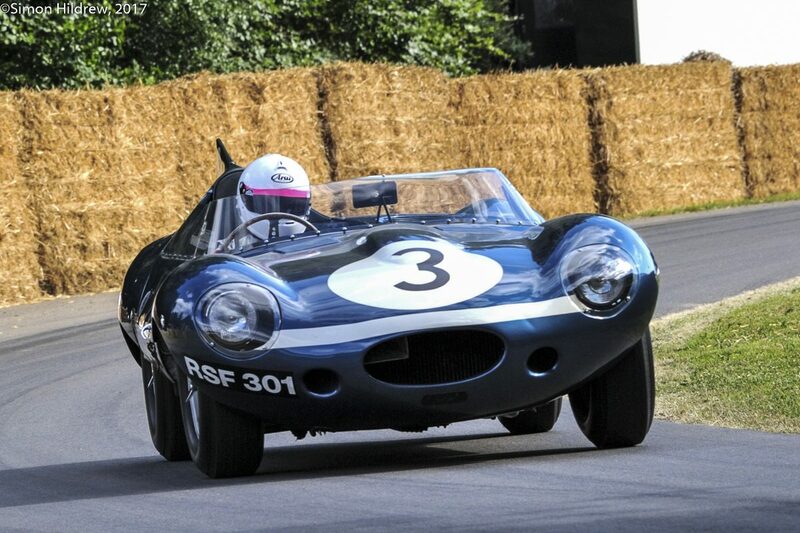 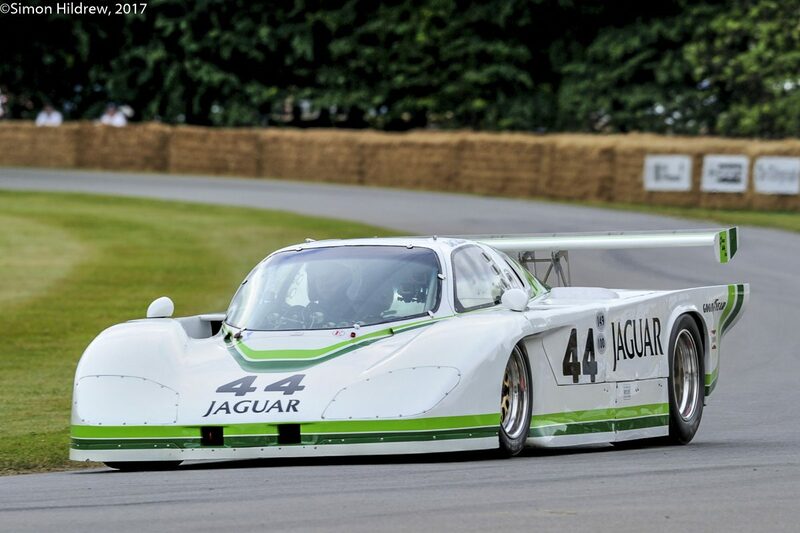 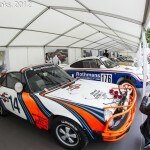 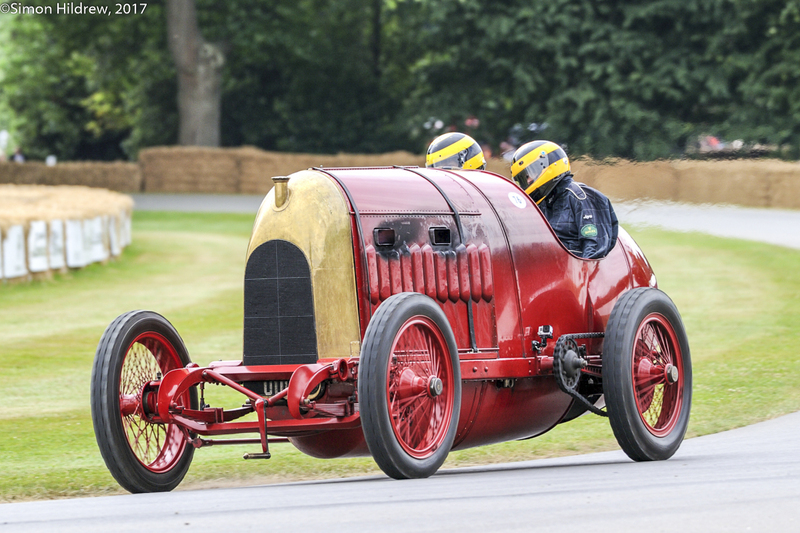 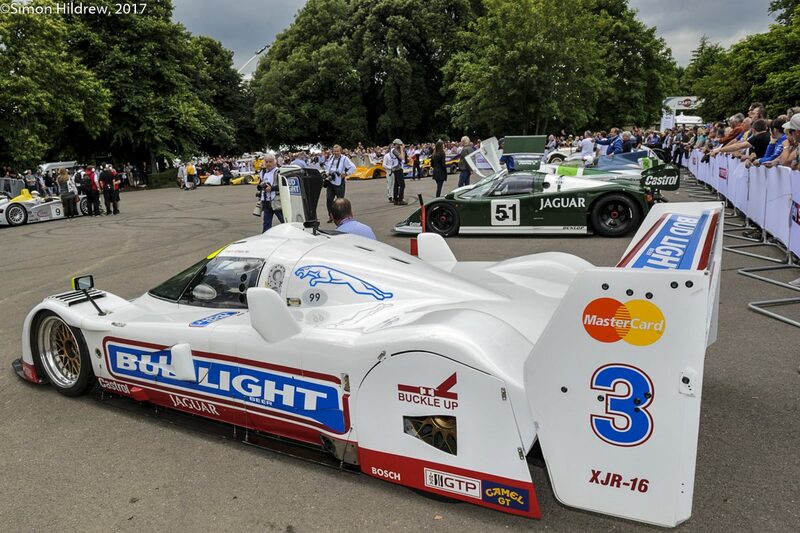 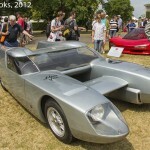 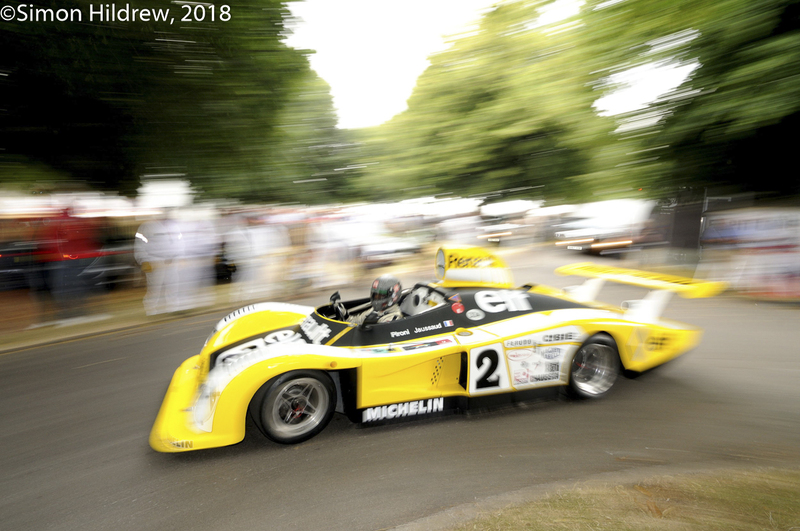 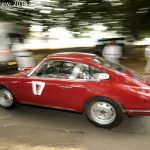 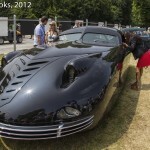 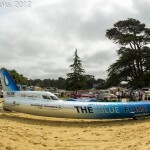 This entry was posted in Notes from the Cellar, The Blink of An Eye and tagged Goodwood Festival of Speed on July 19, 2013 by John Brooks.